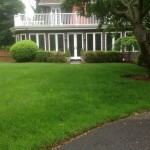 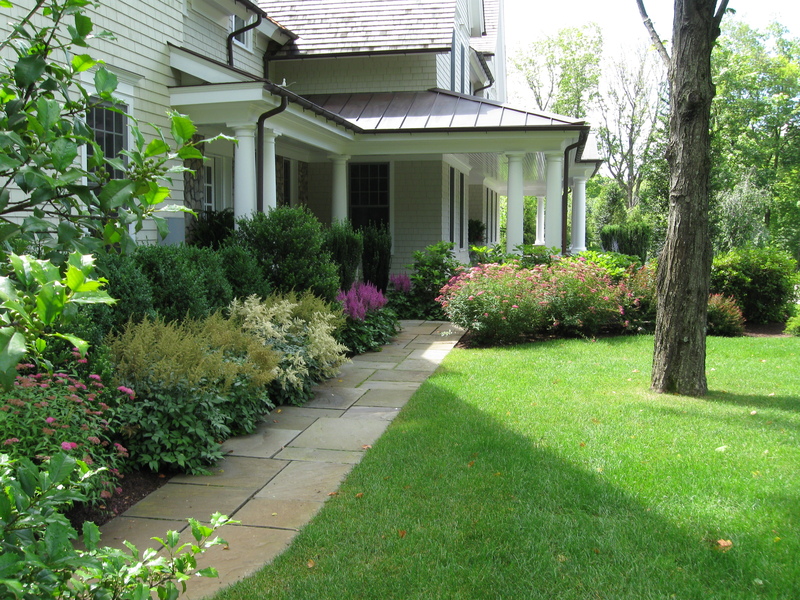 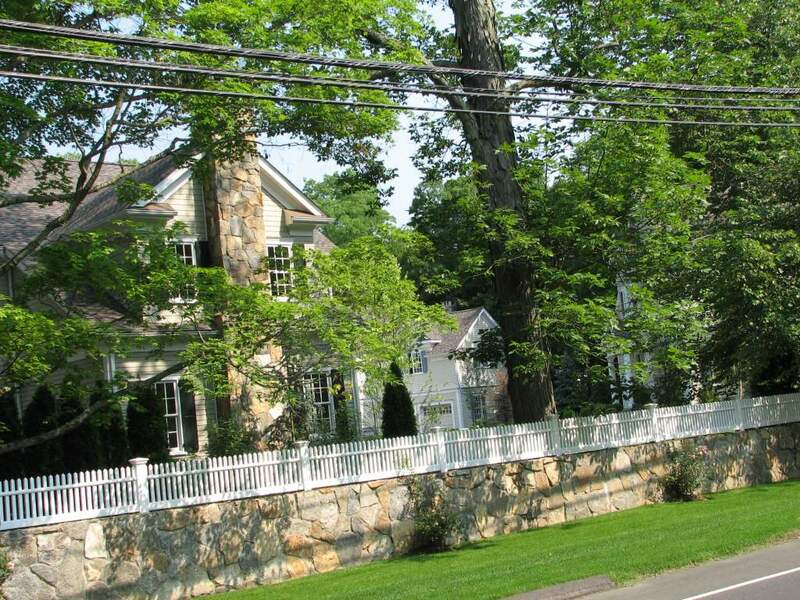 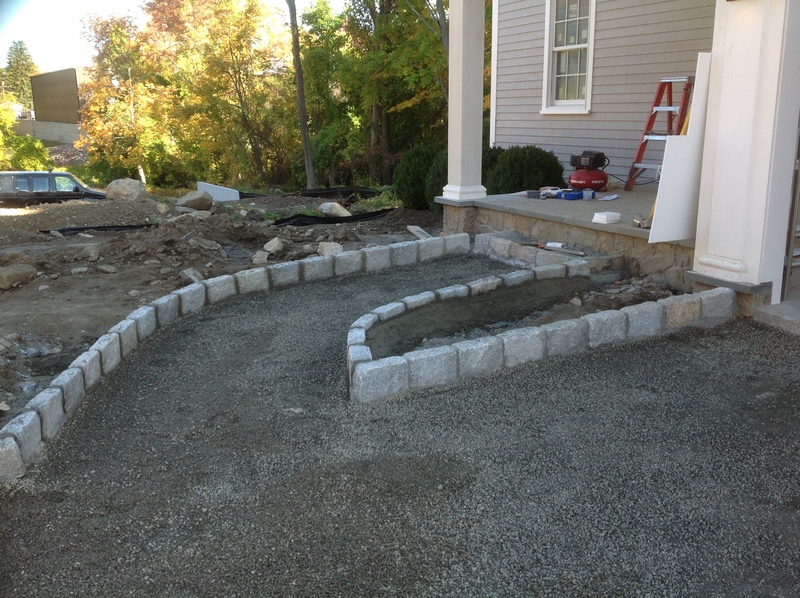 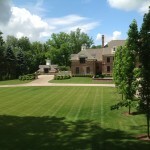 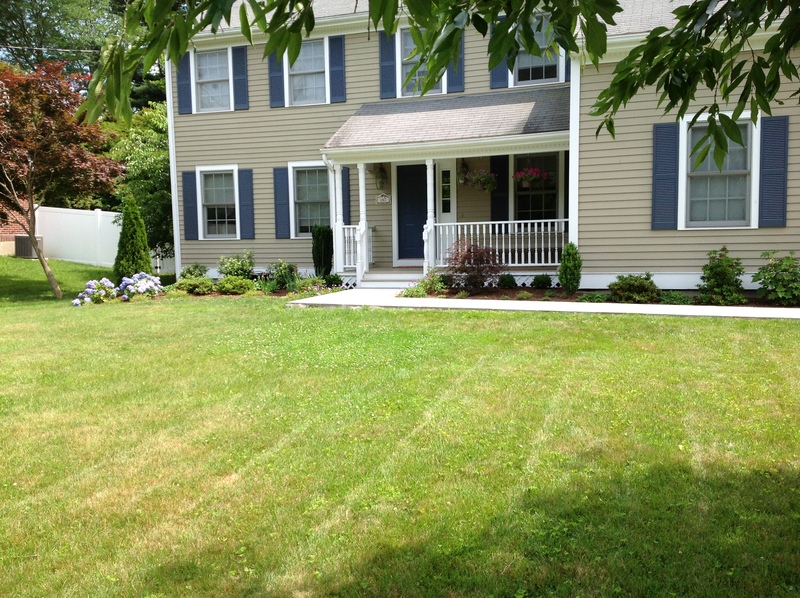 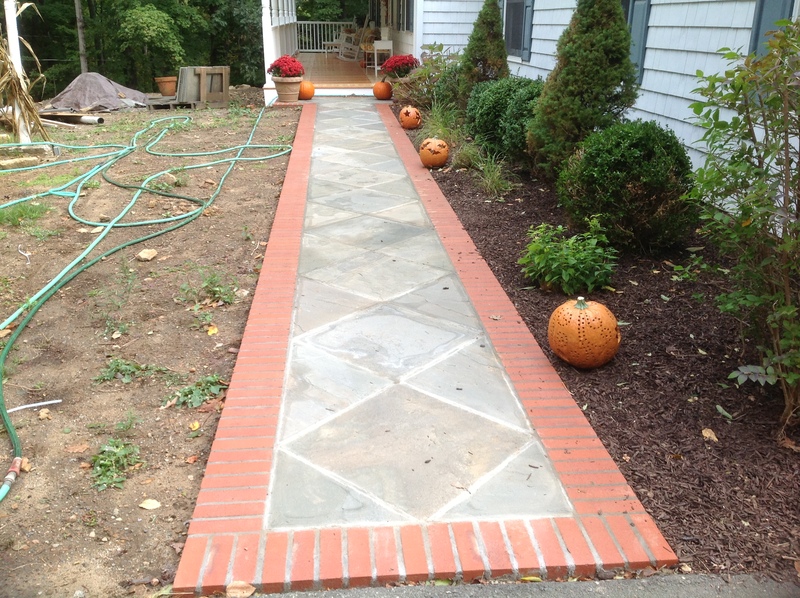 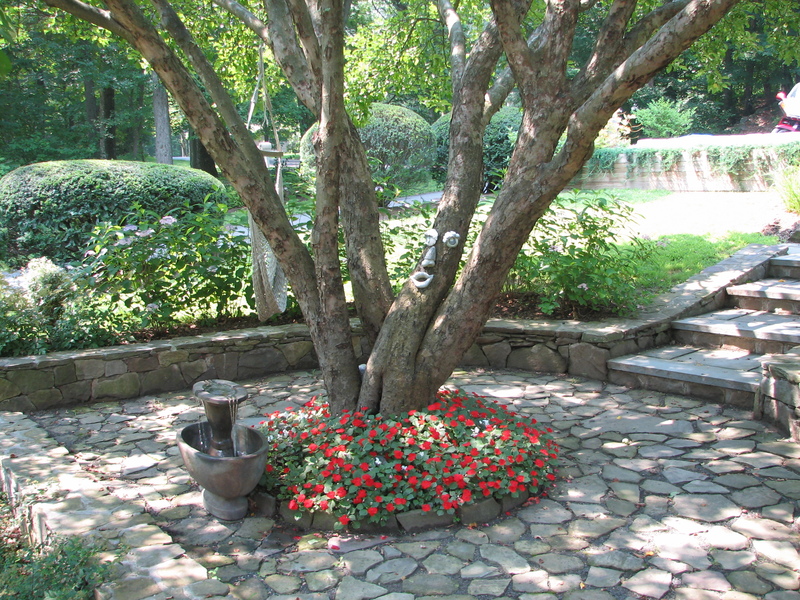 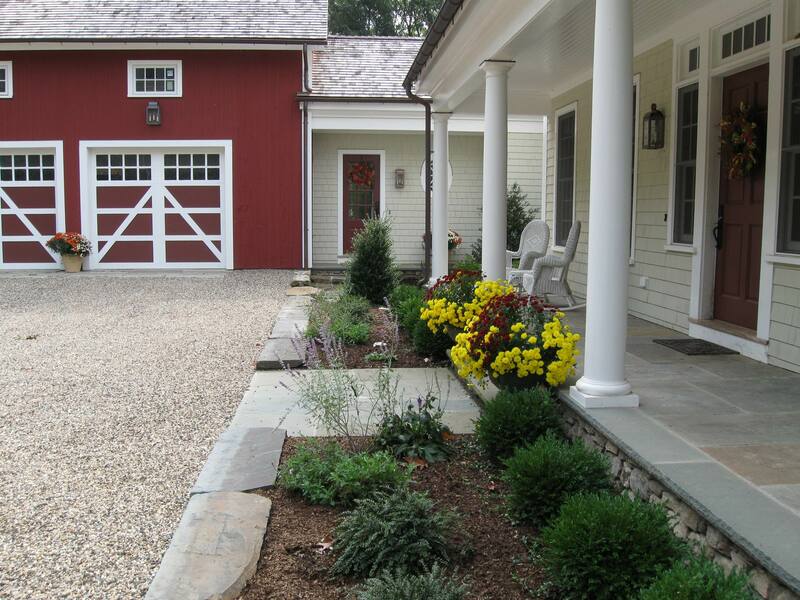 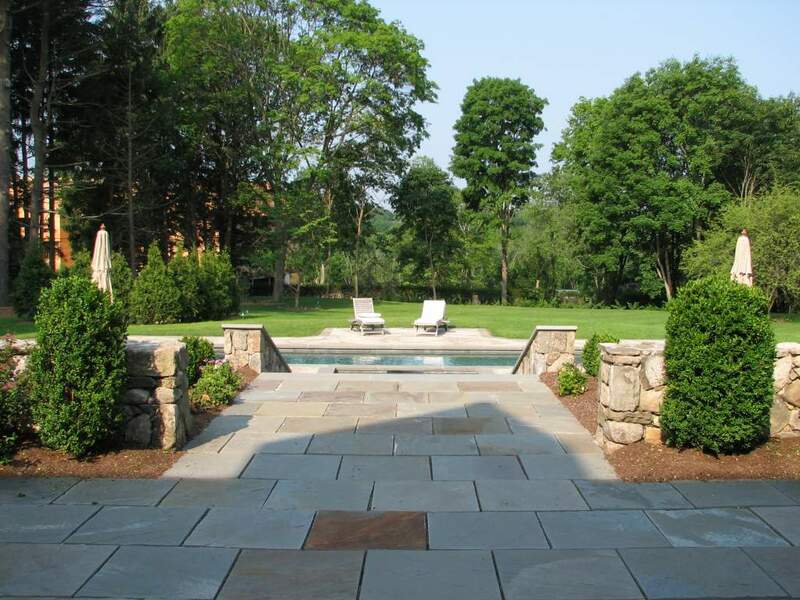 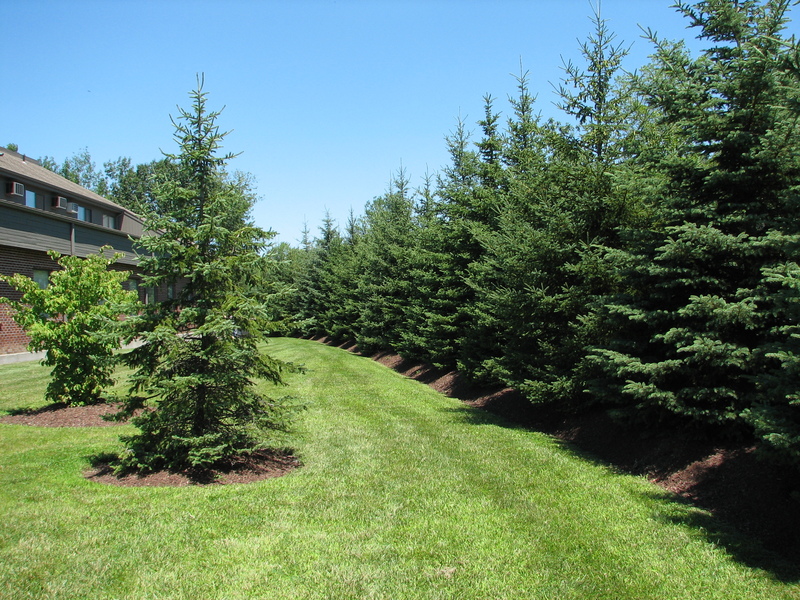 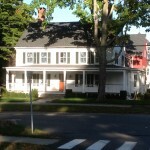 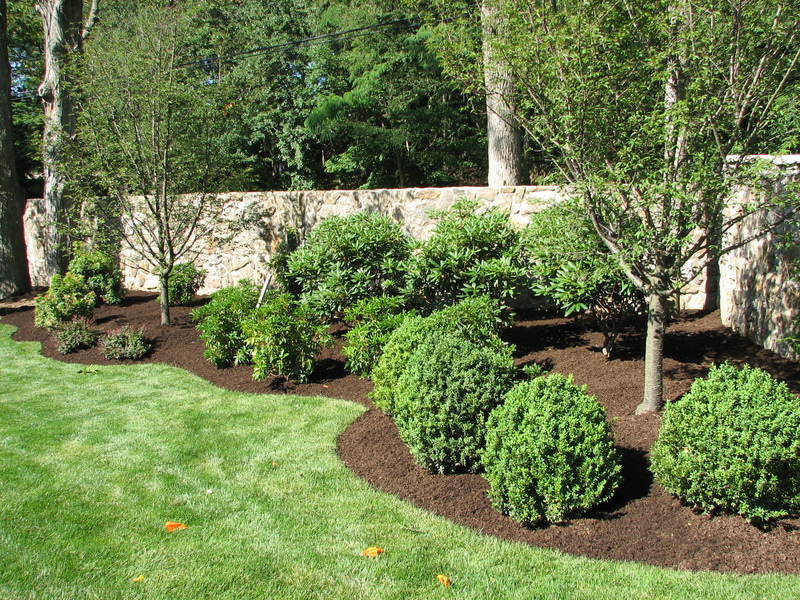 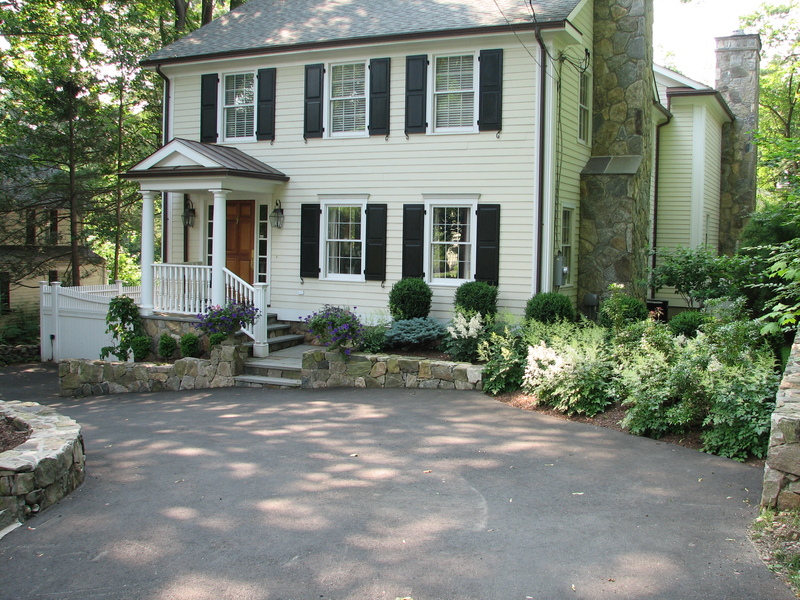 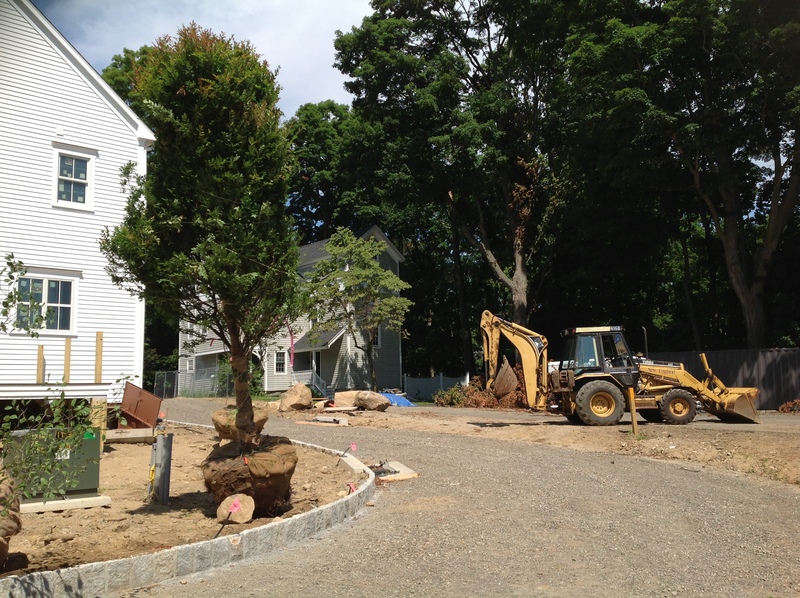 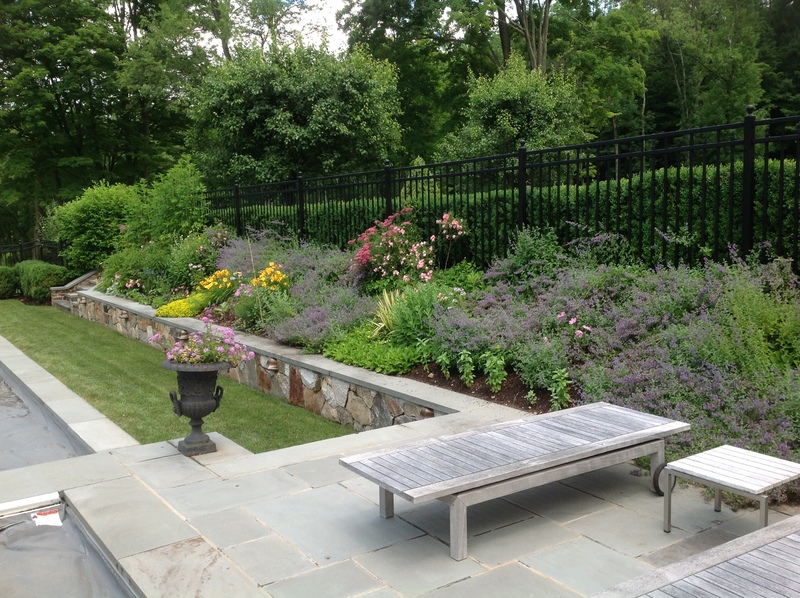 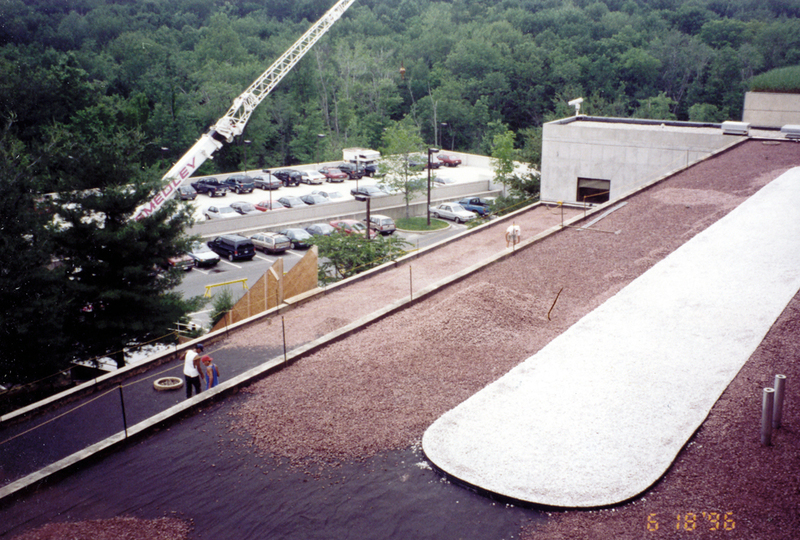 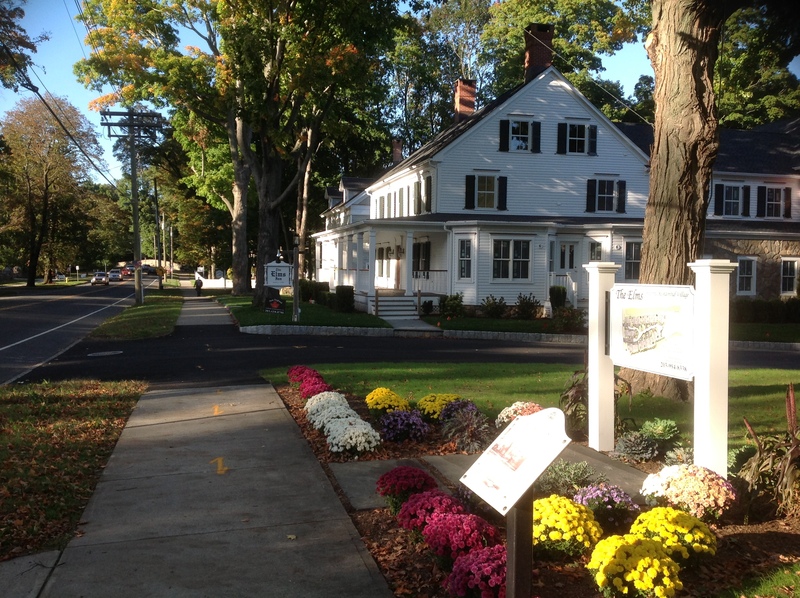 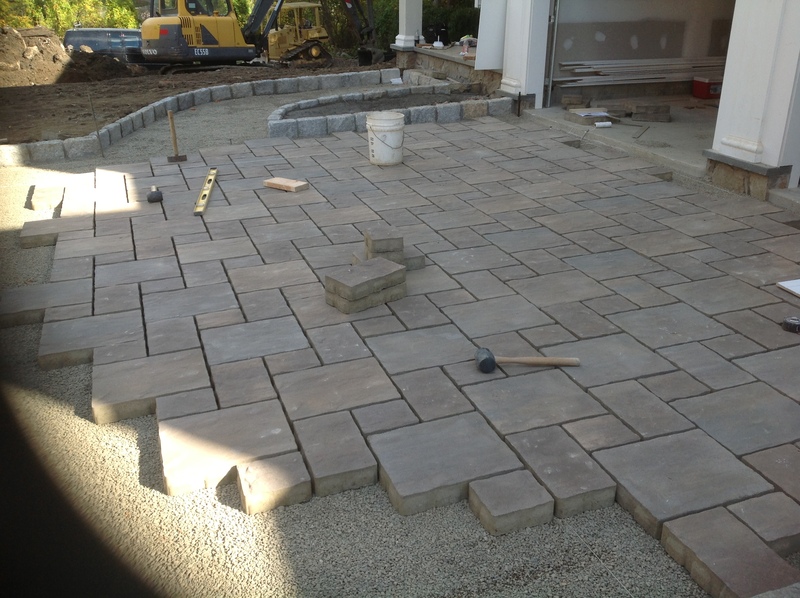 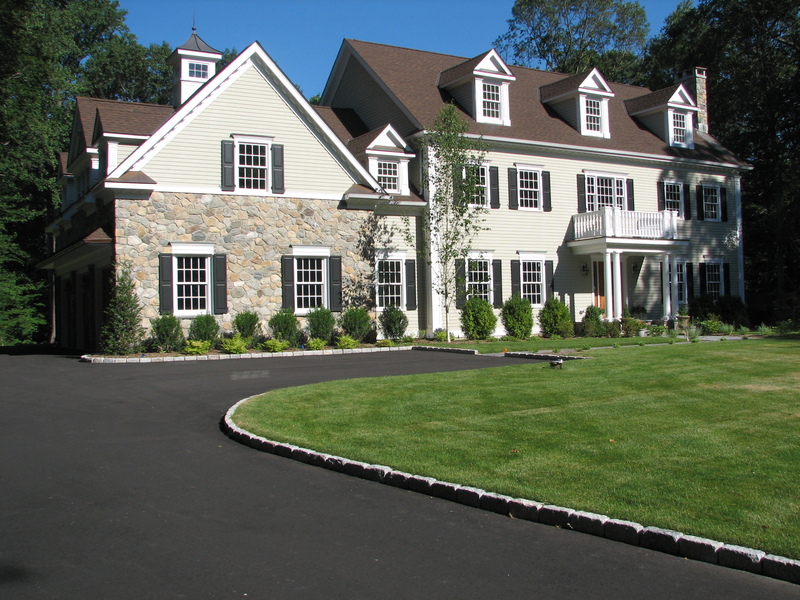 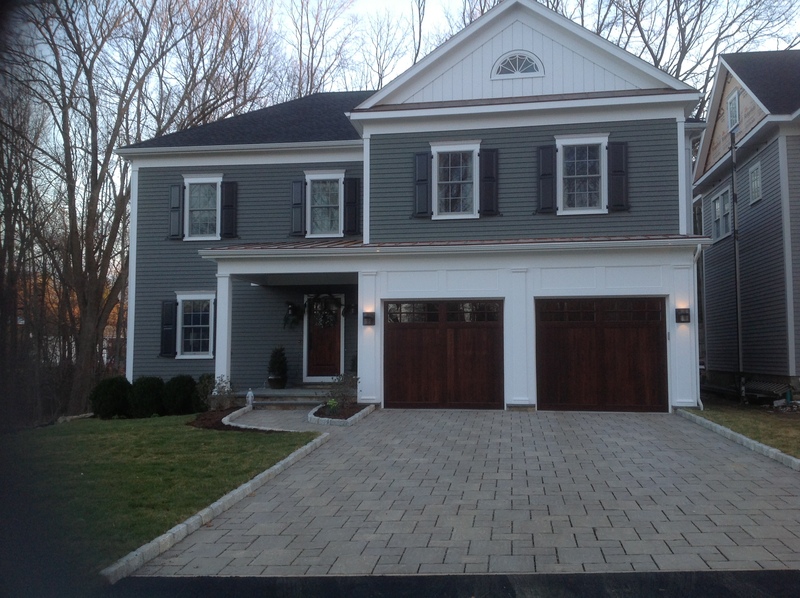 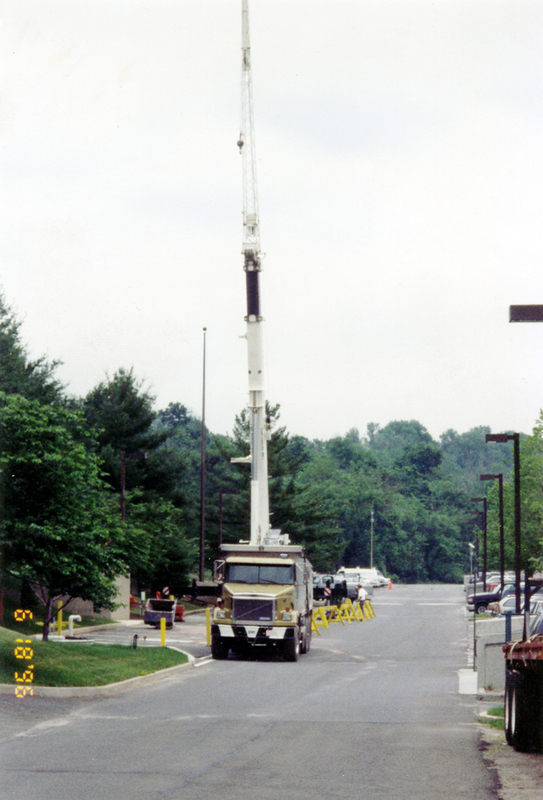 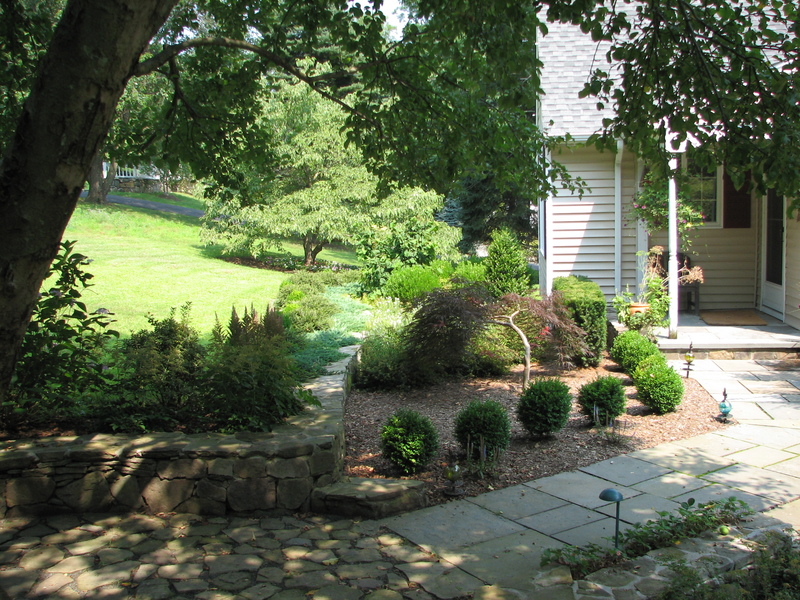 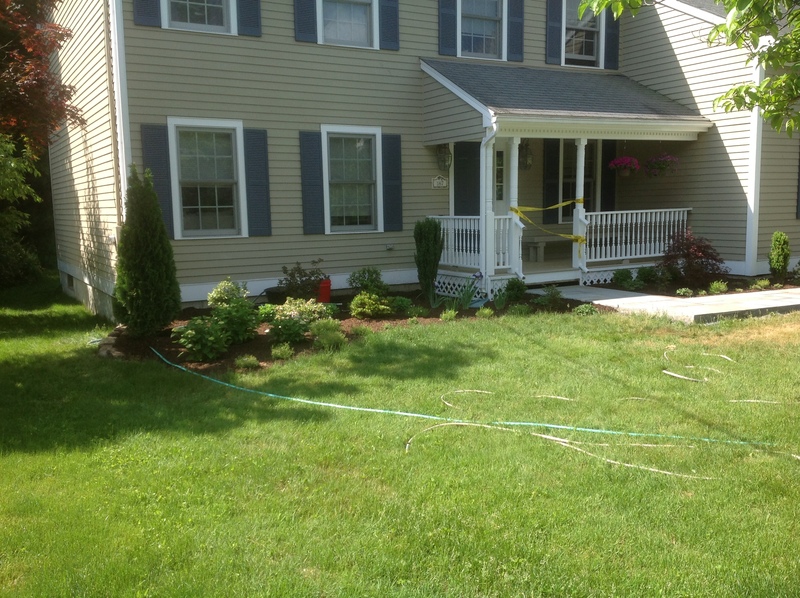 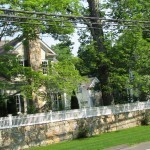 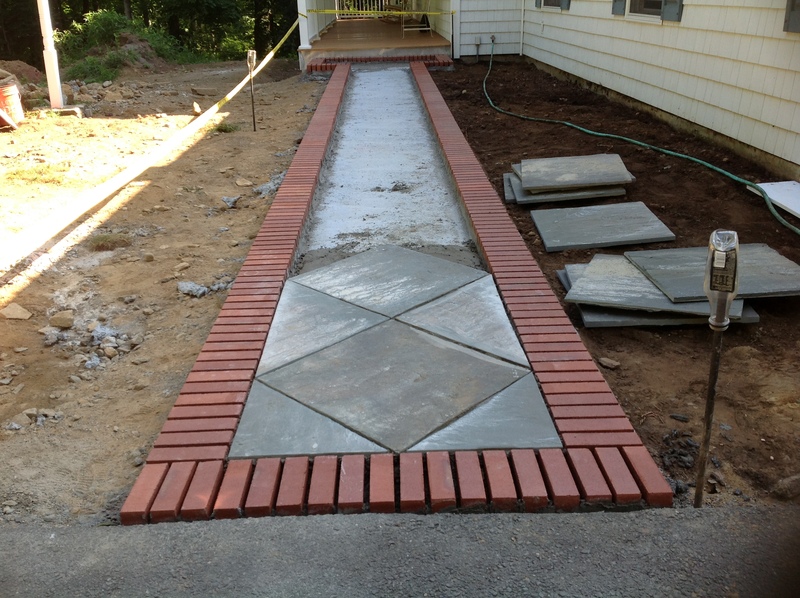 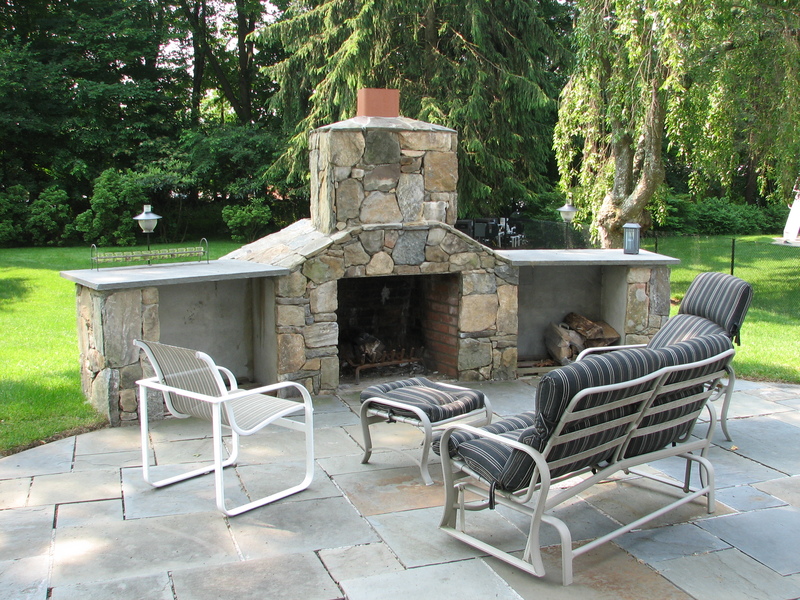 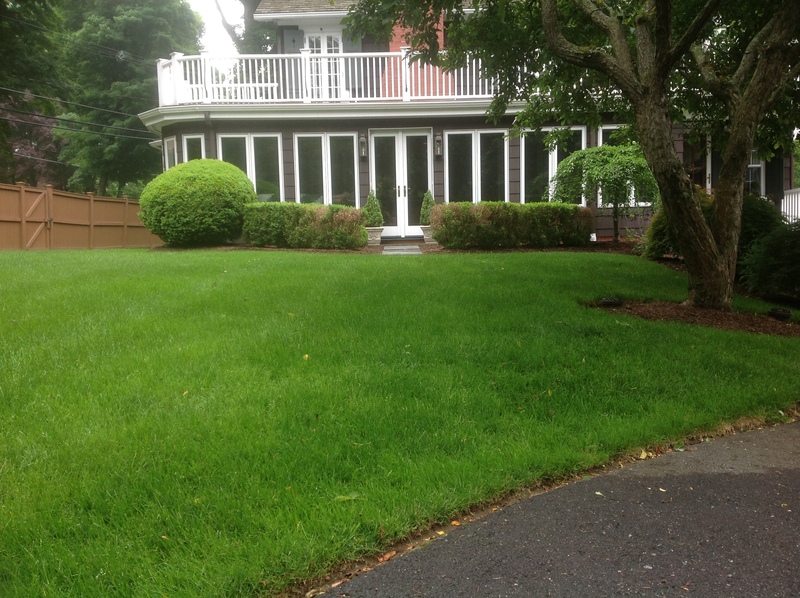 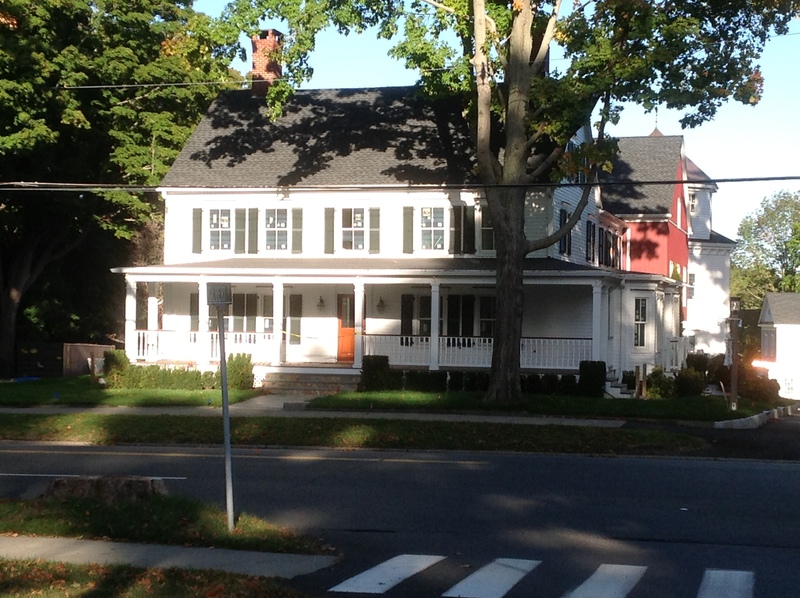 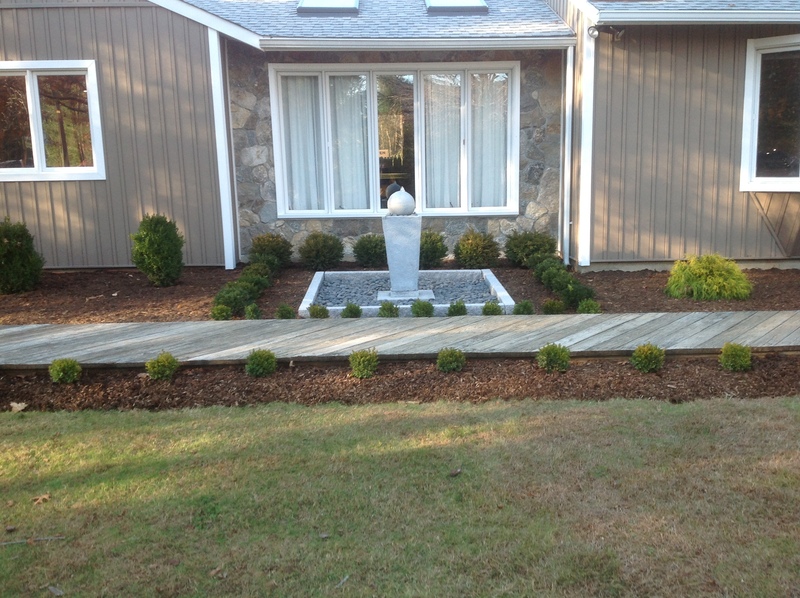 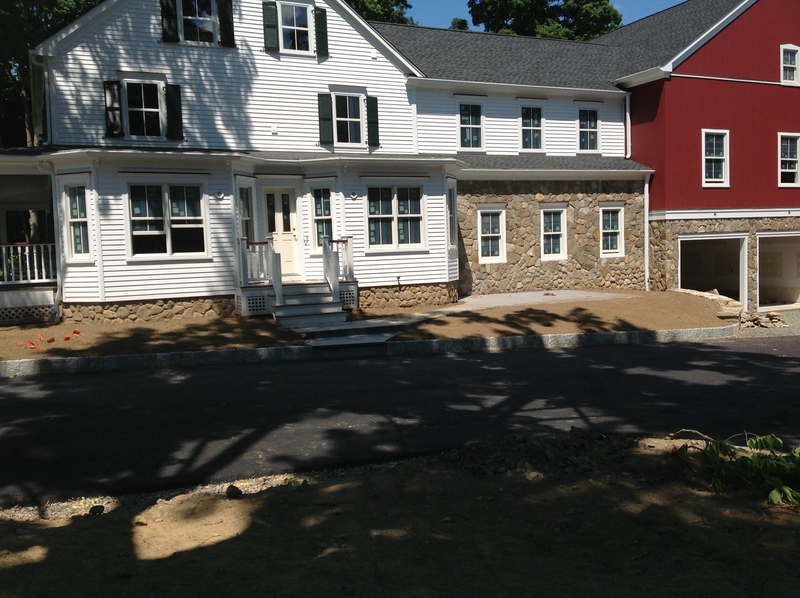 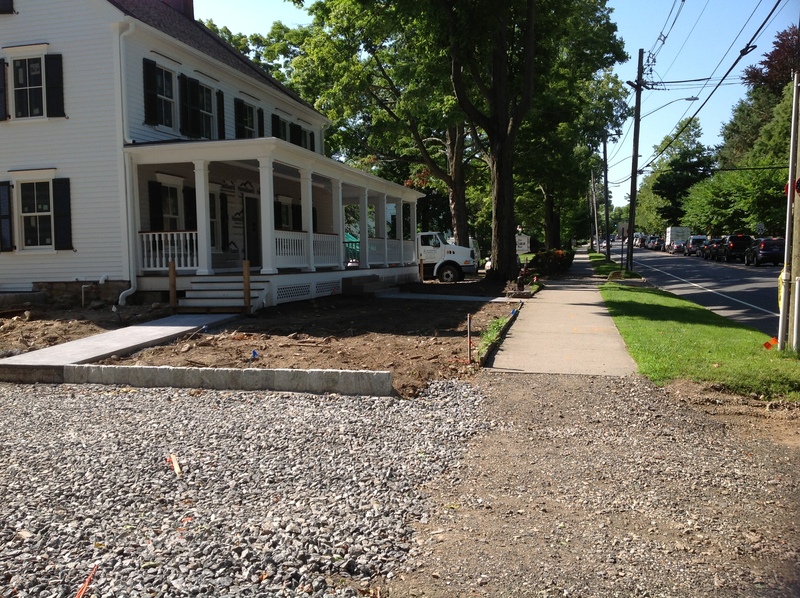 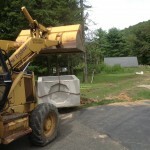 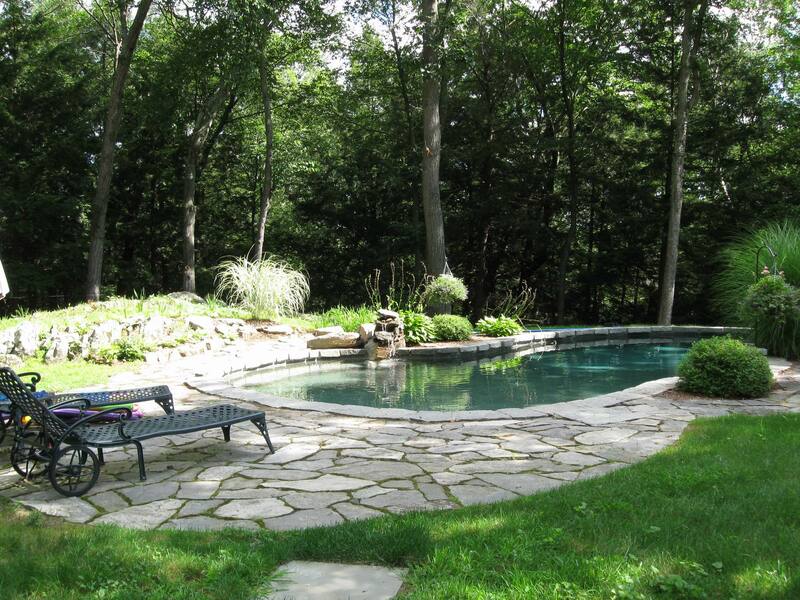 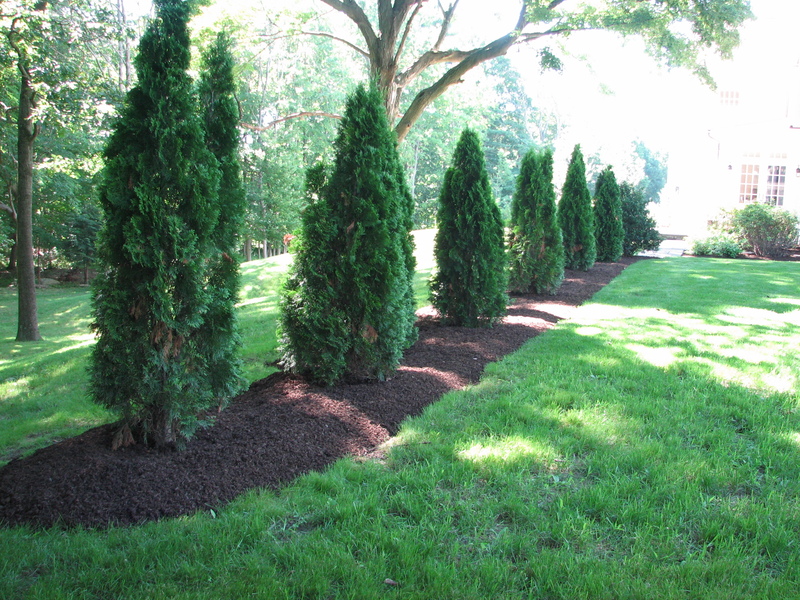 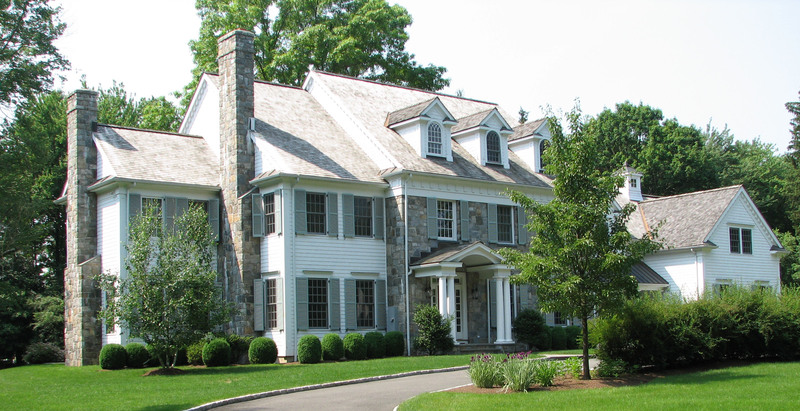 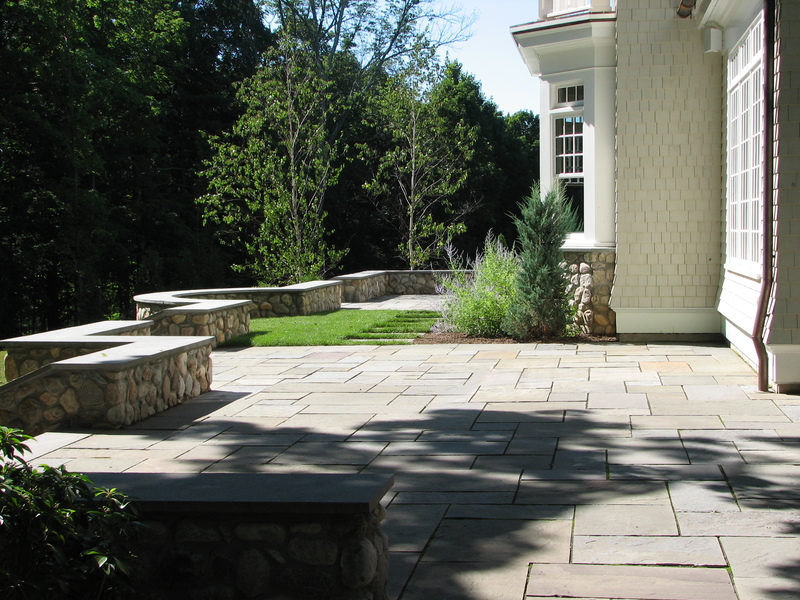 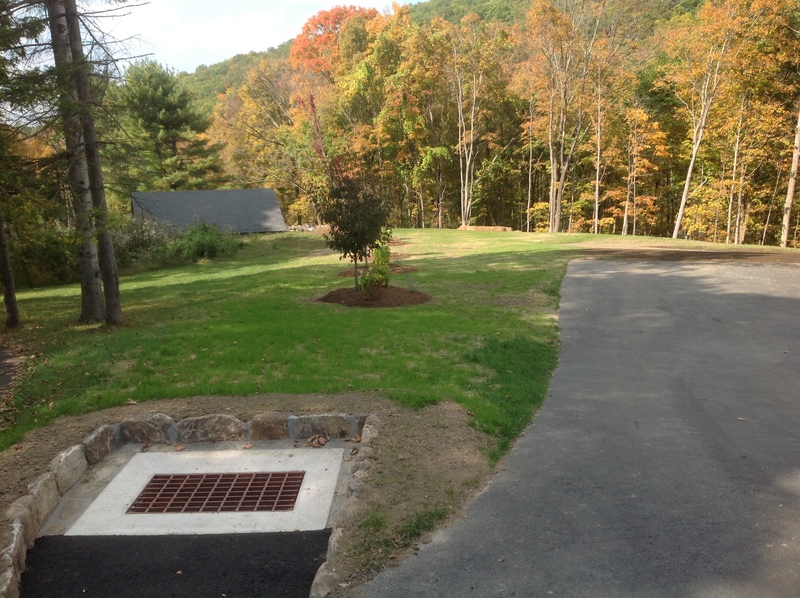 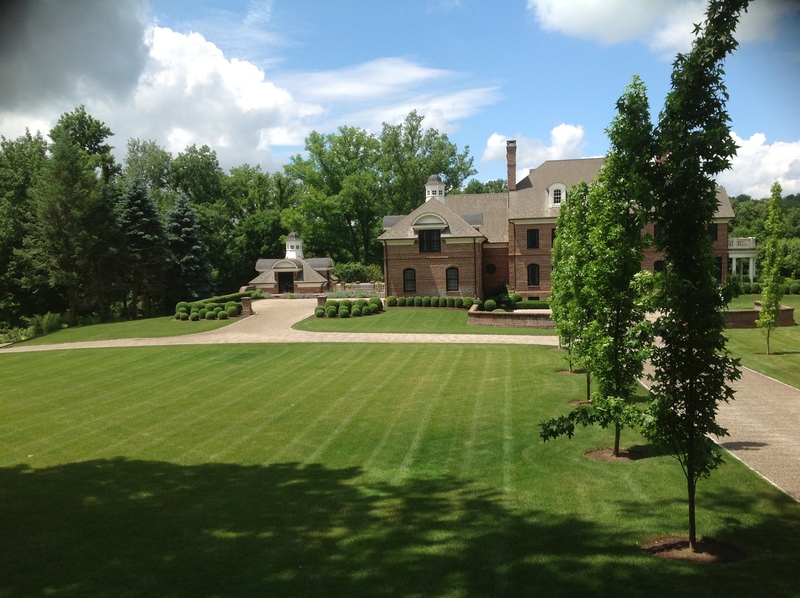 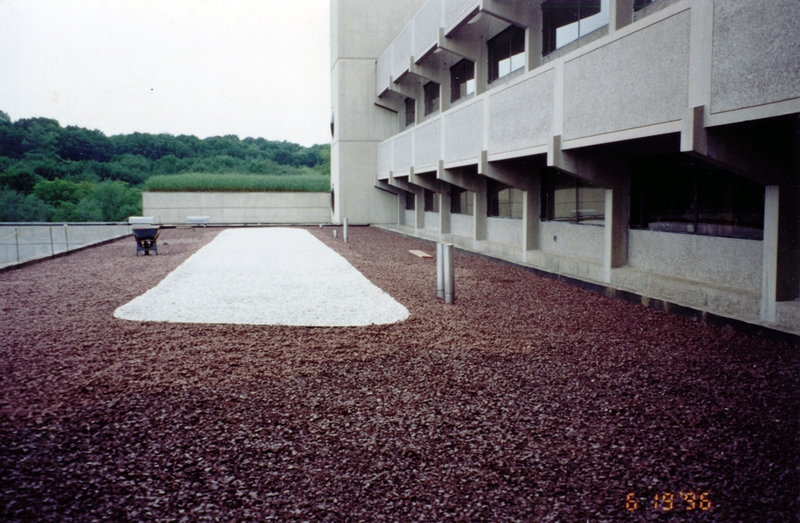 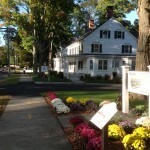 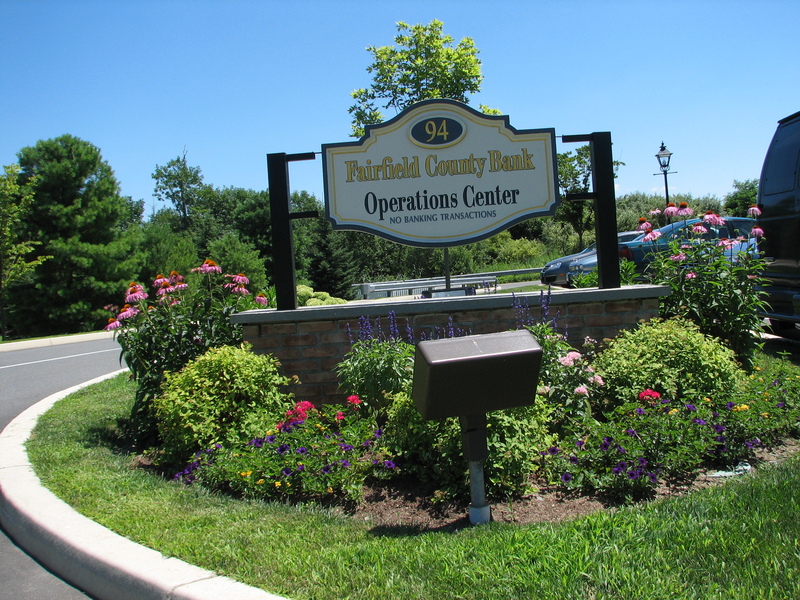 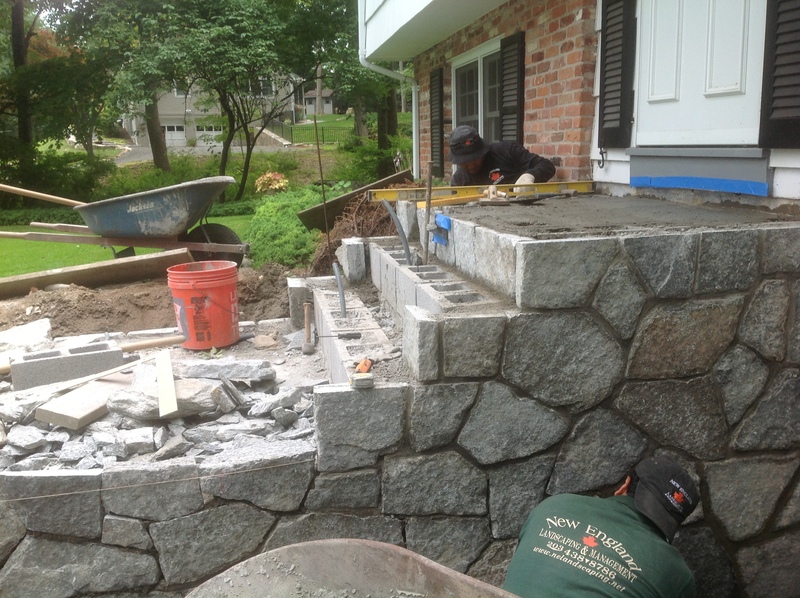 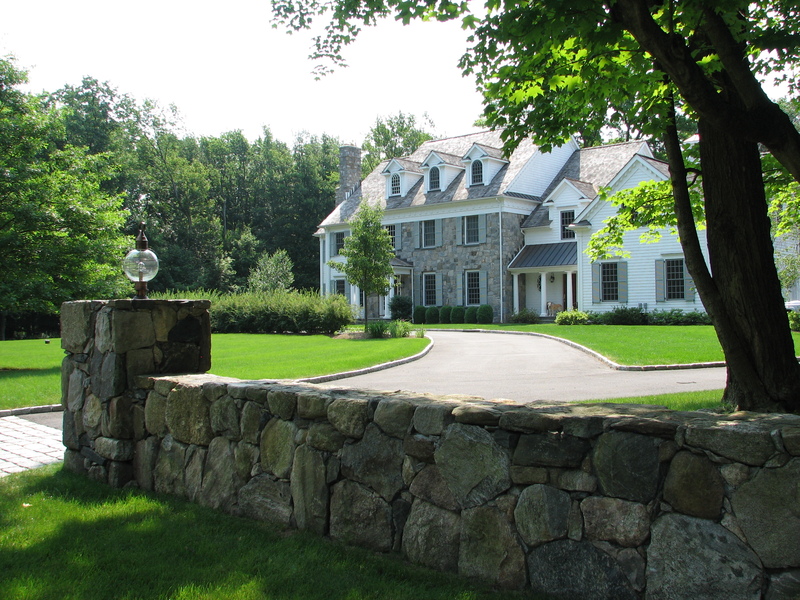 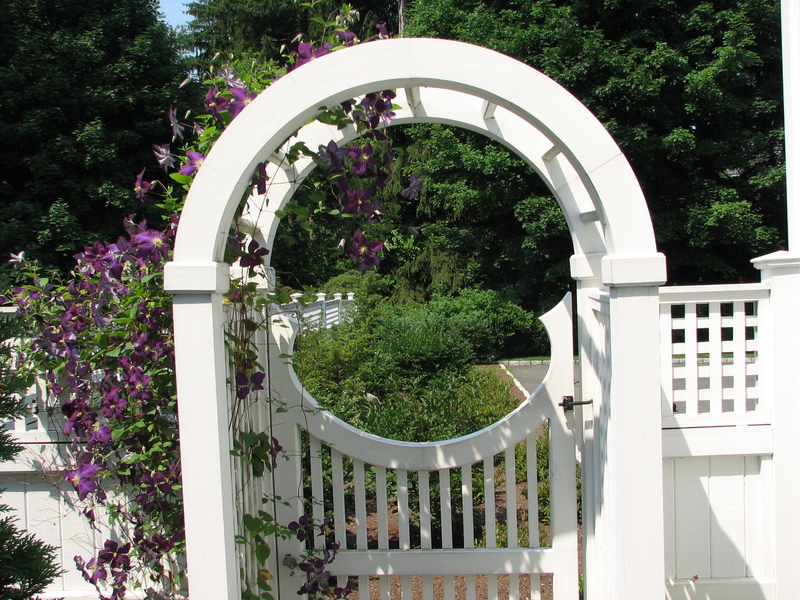 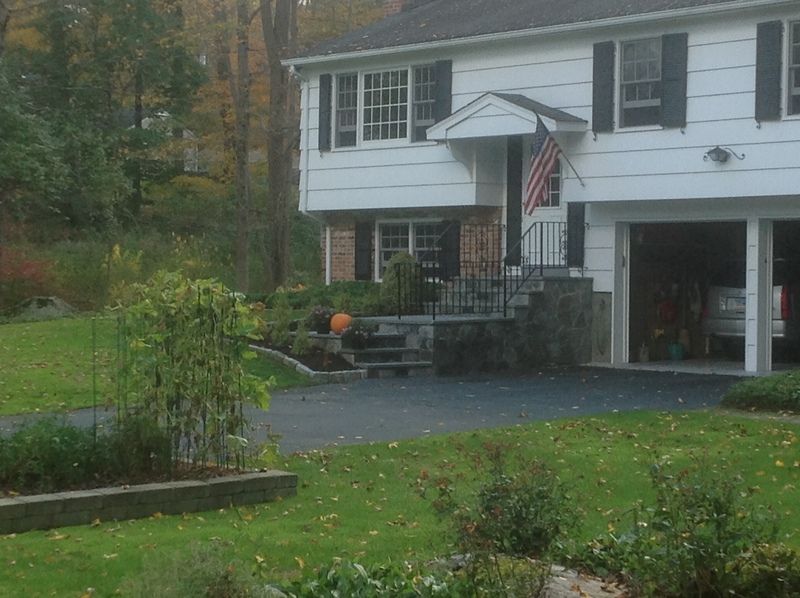 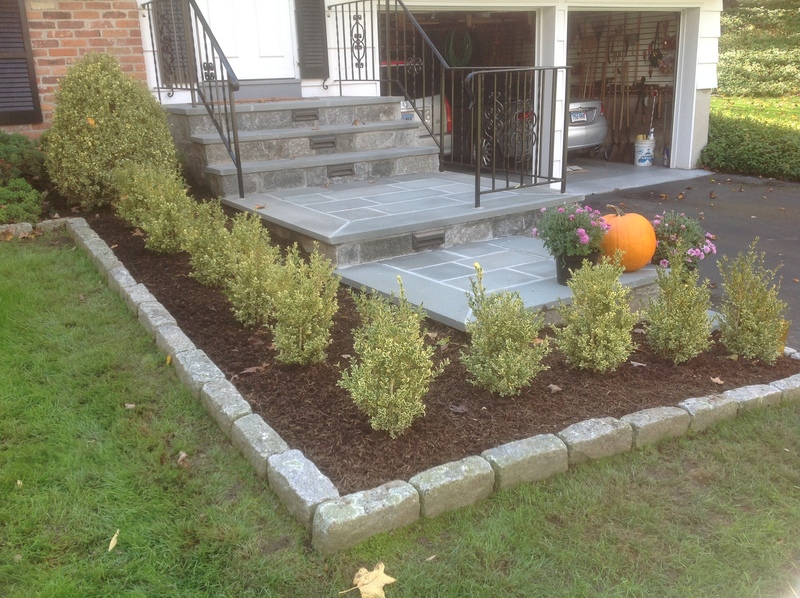 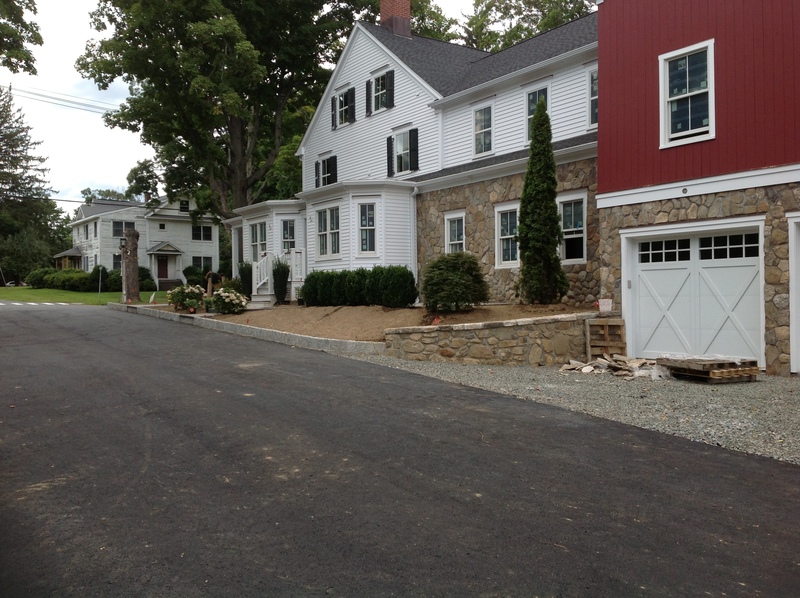 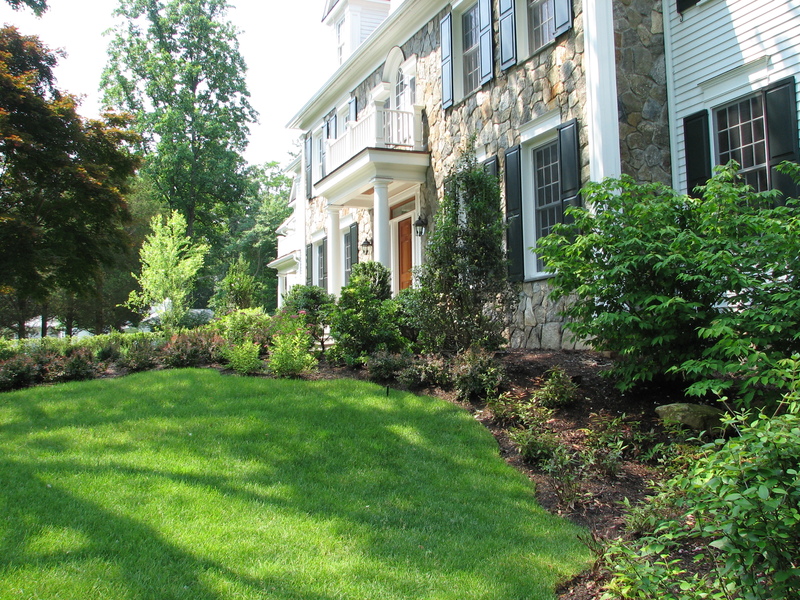 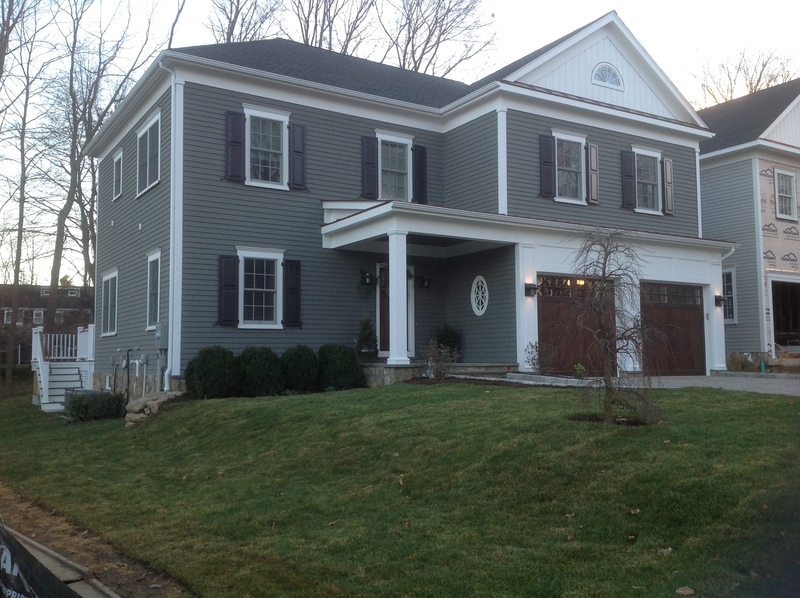 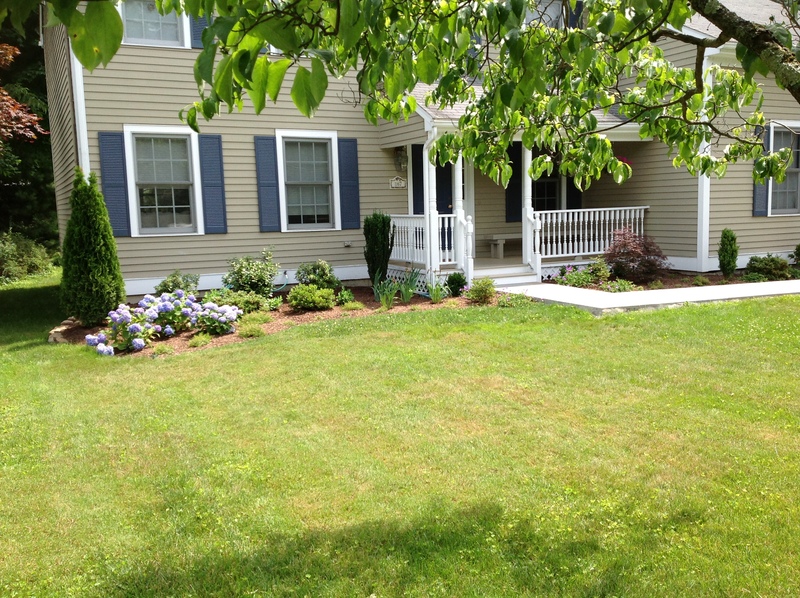 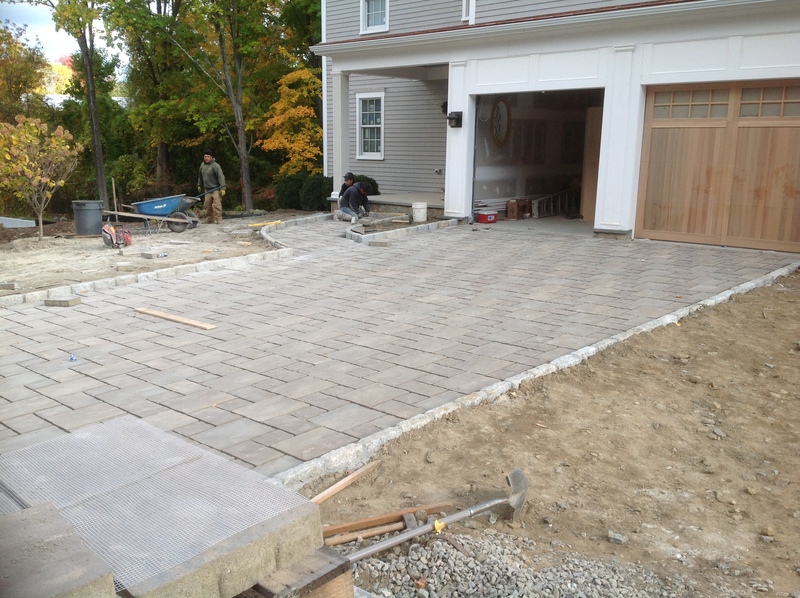 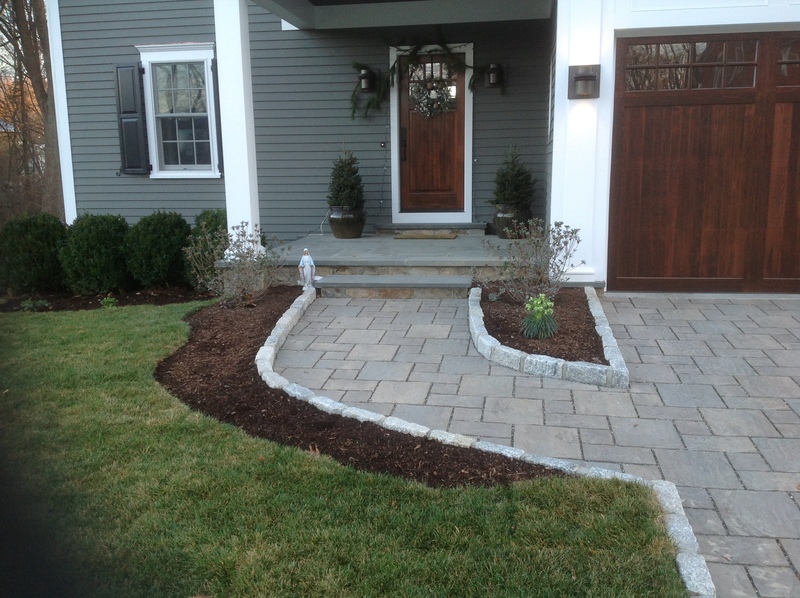 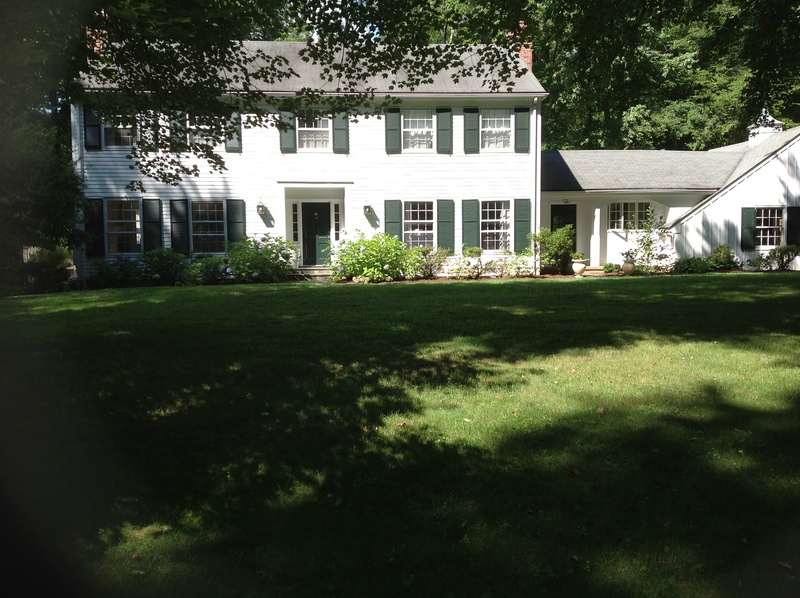 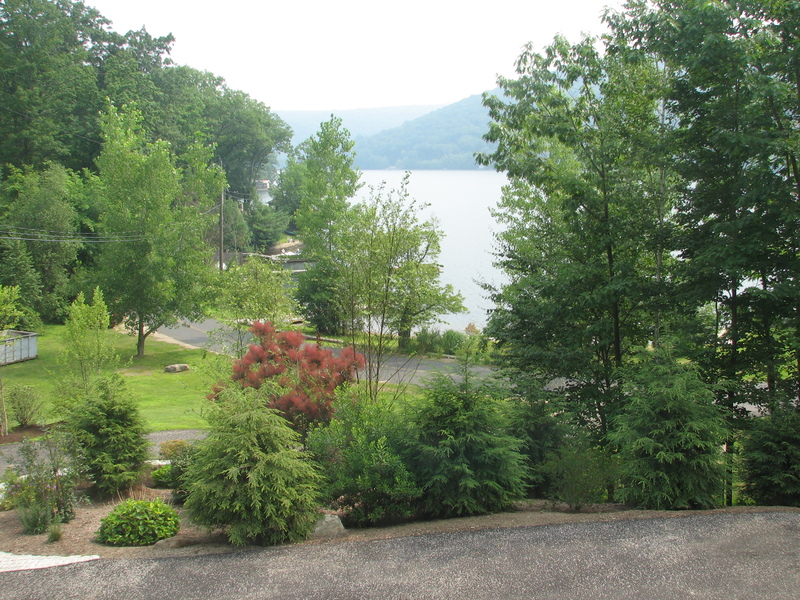 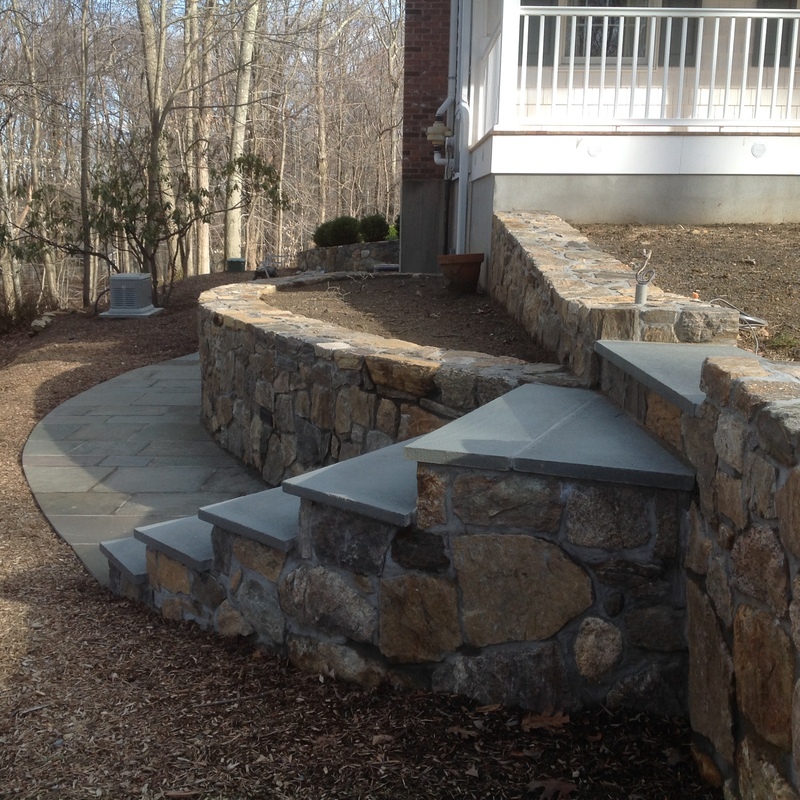 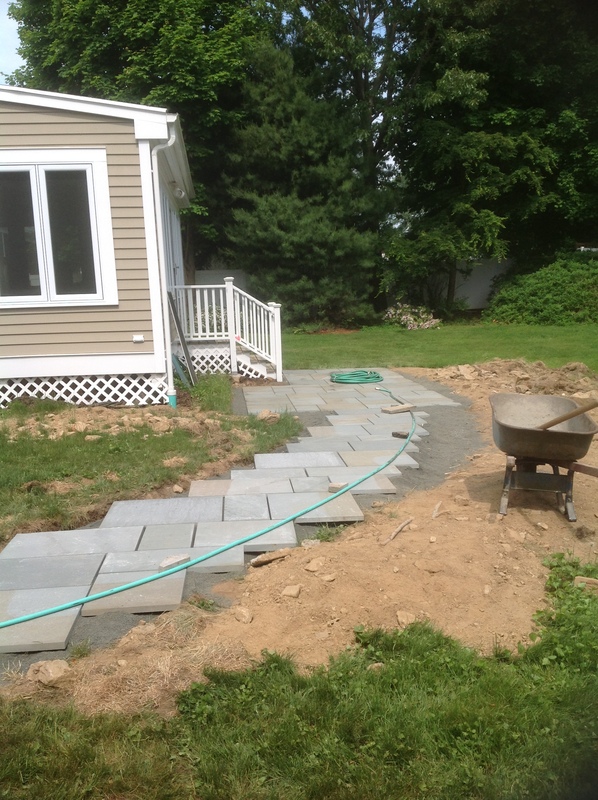 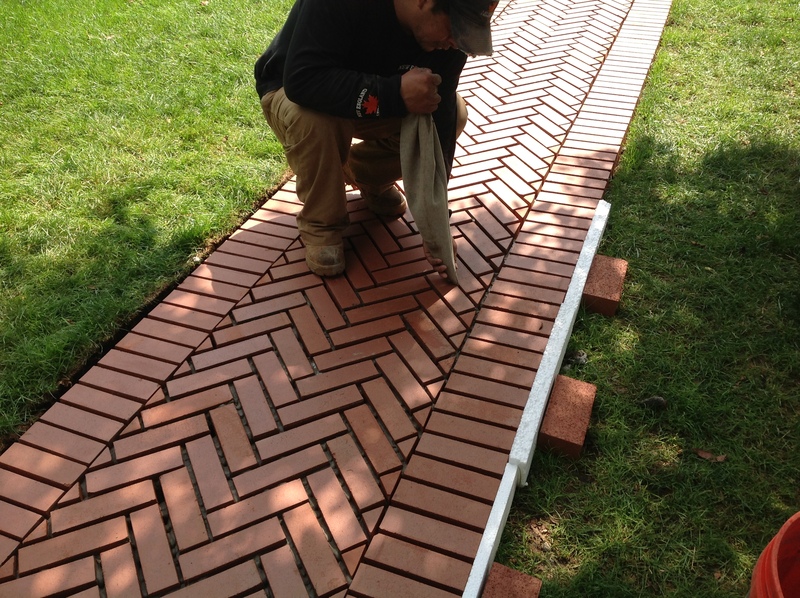 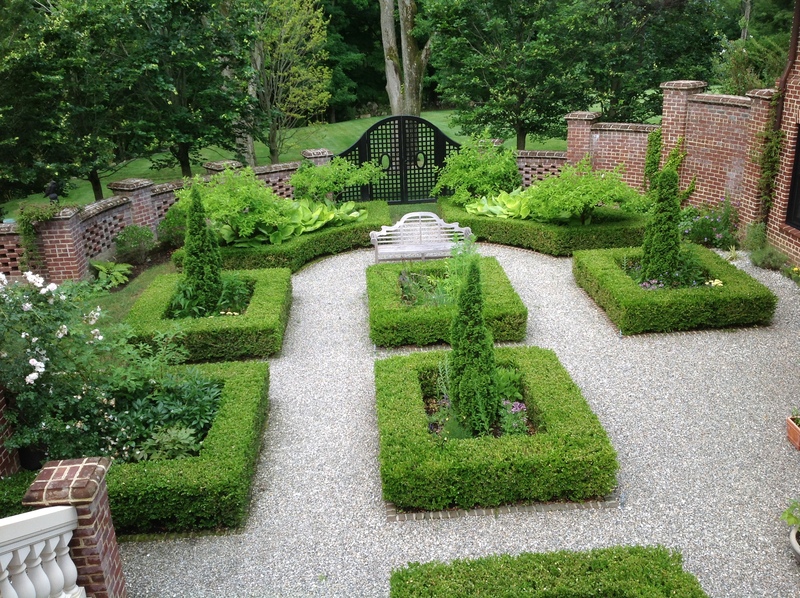 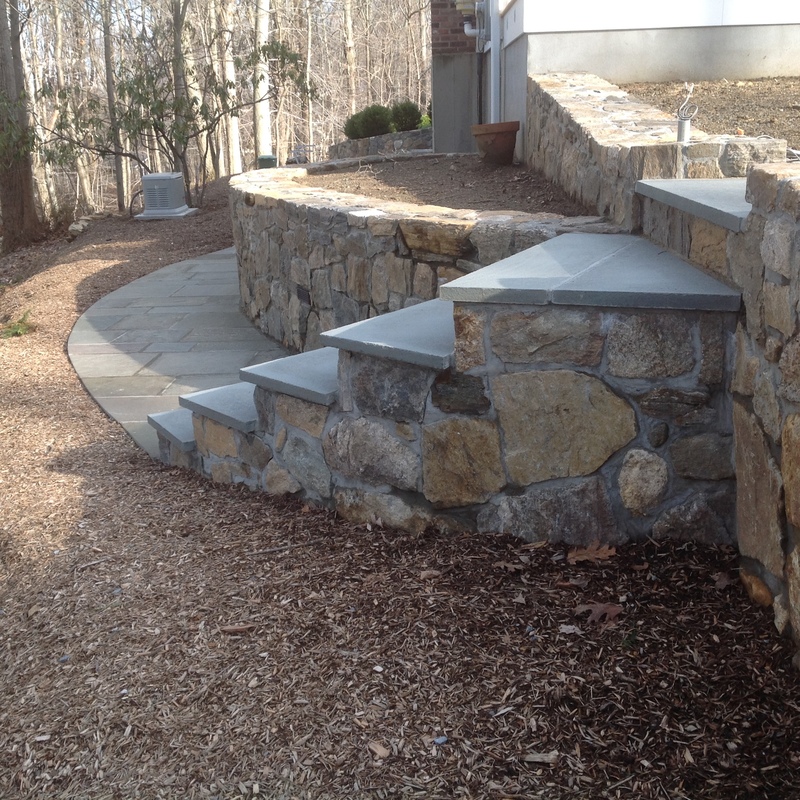 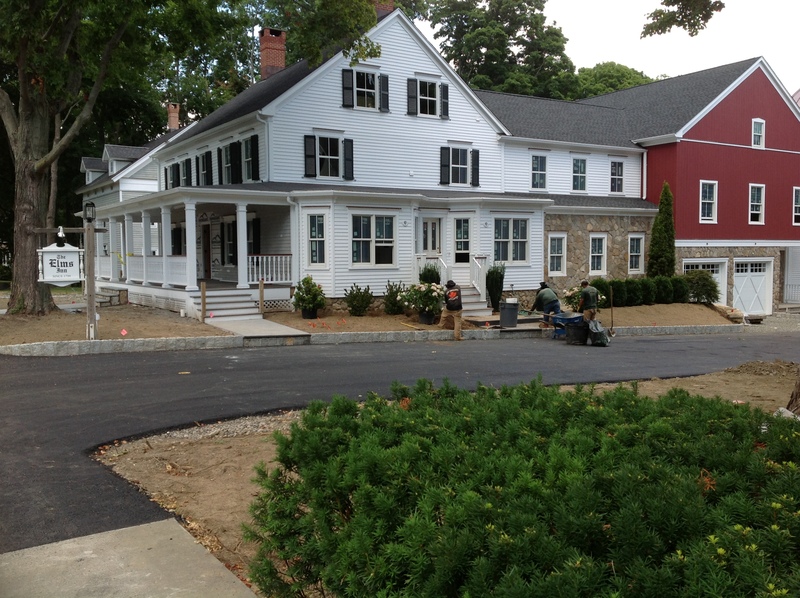 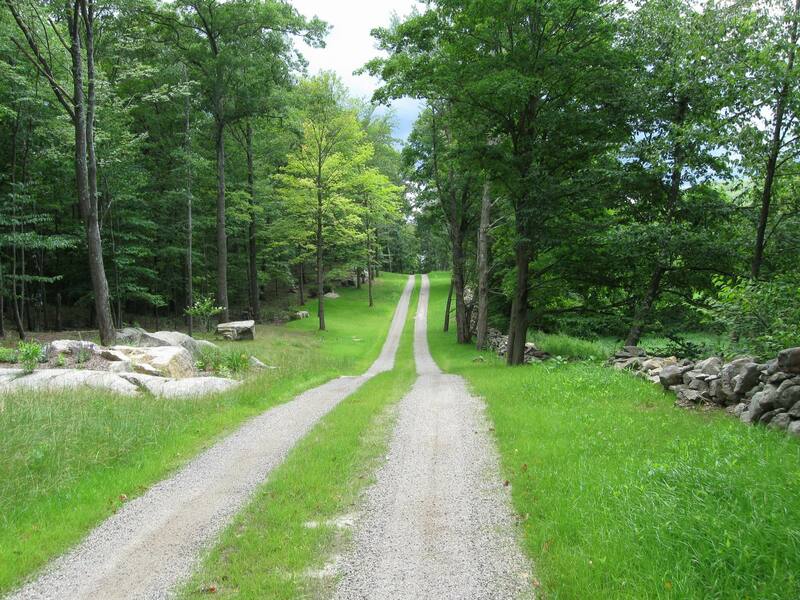 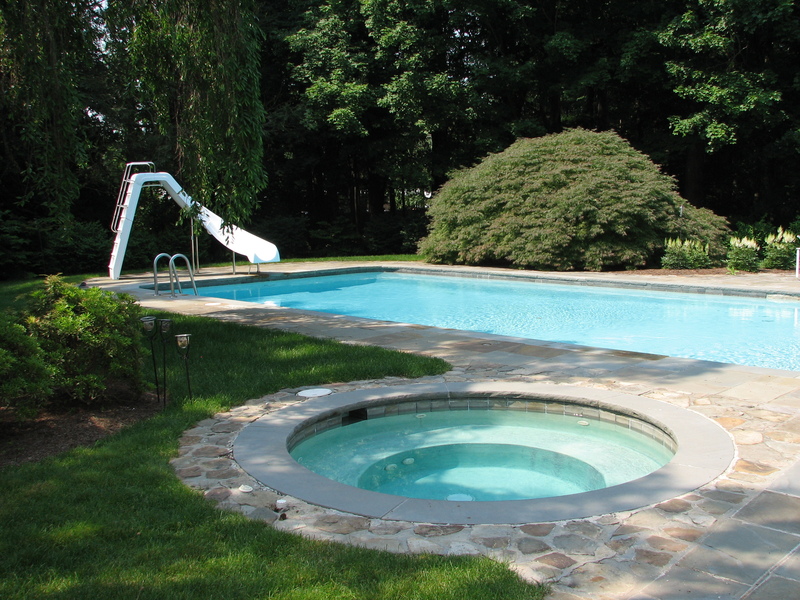 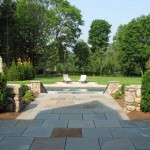 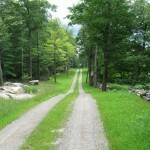 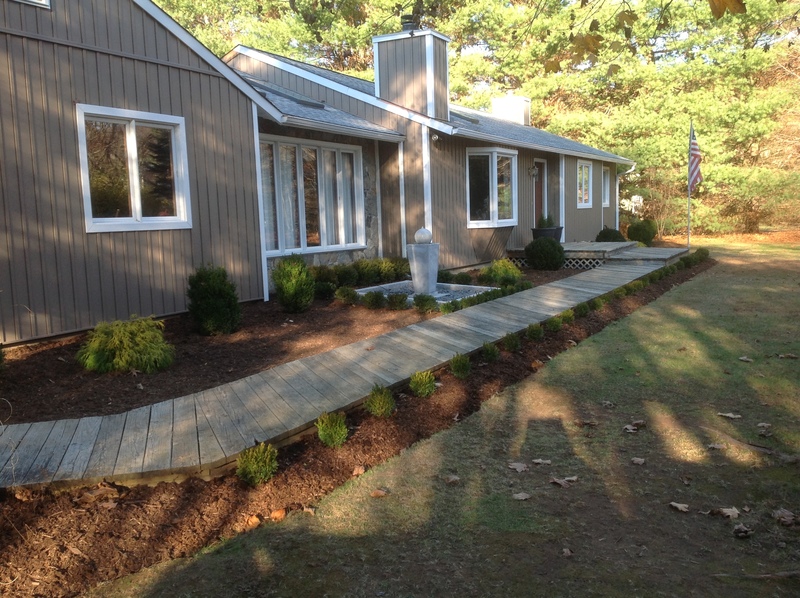 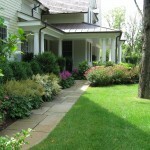 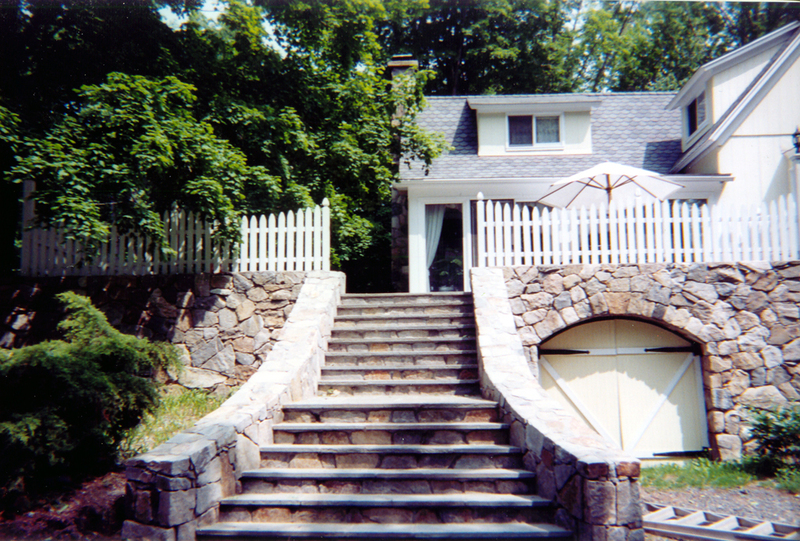 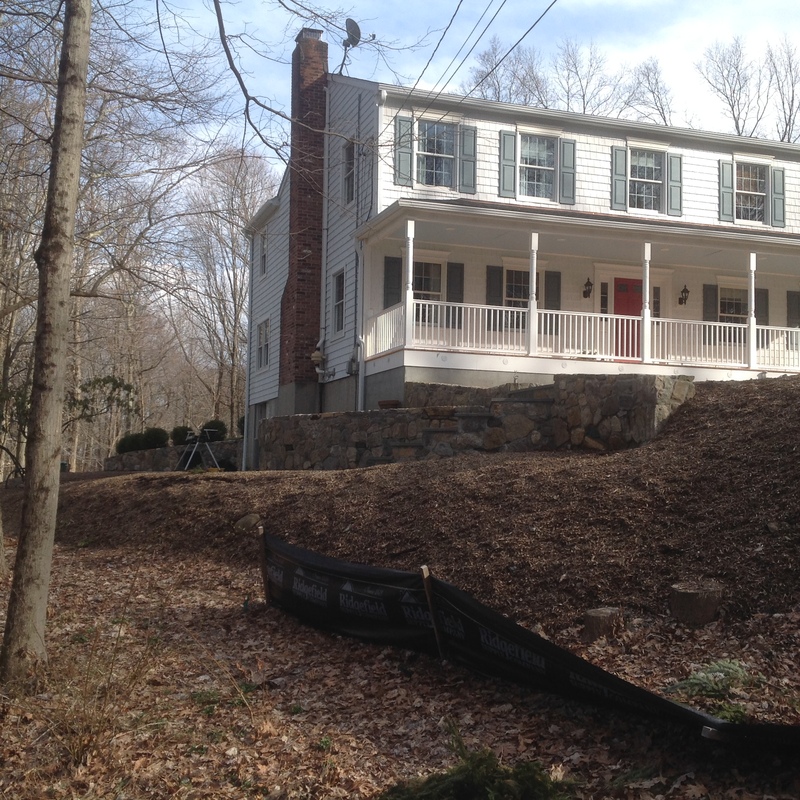 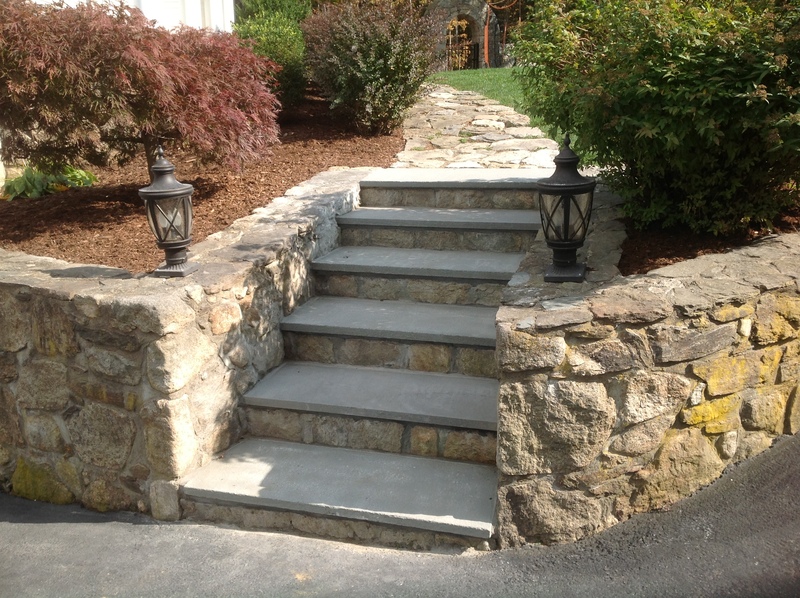 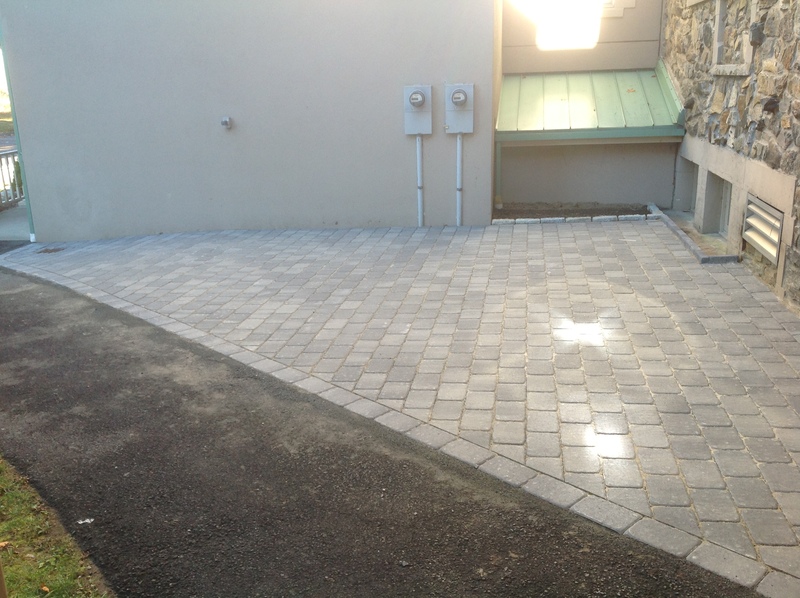 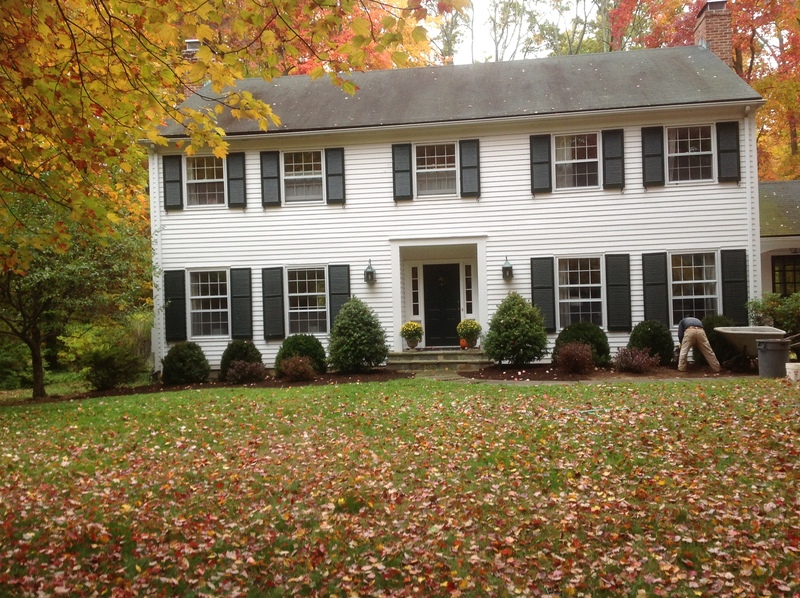 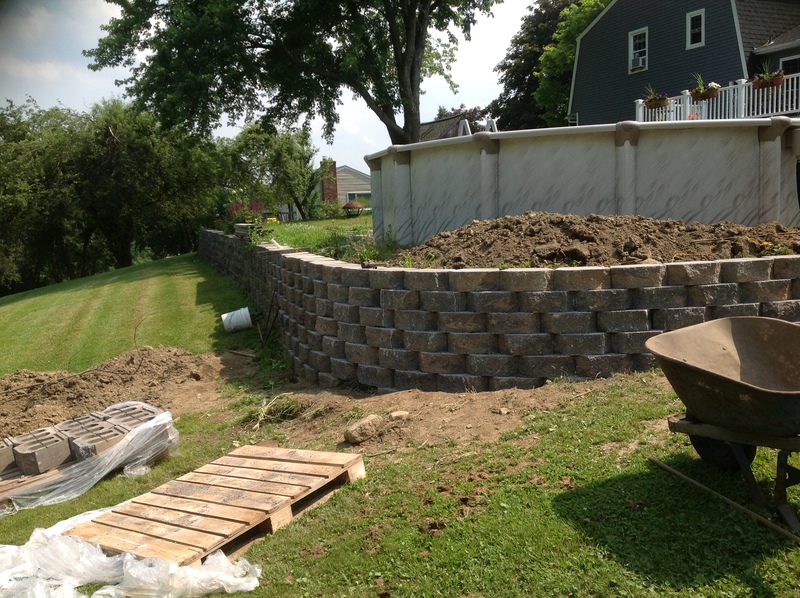 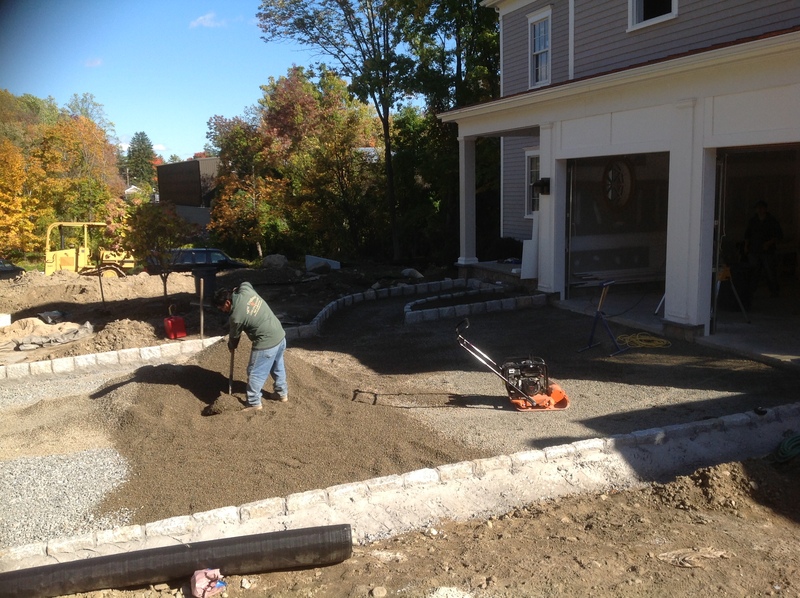 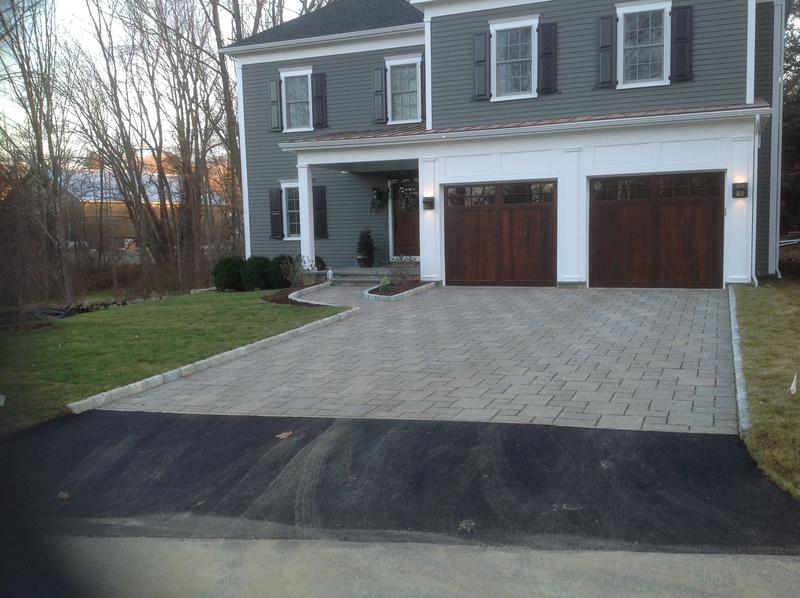 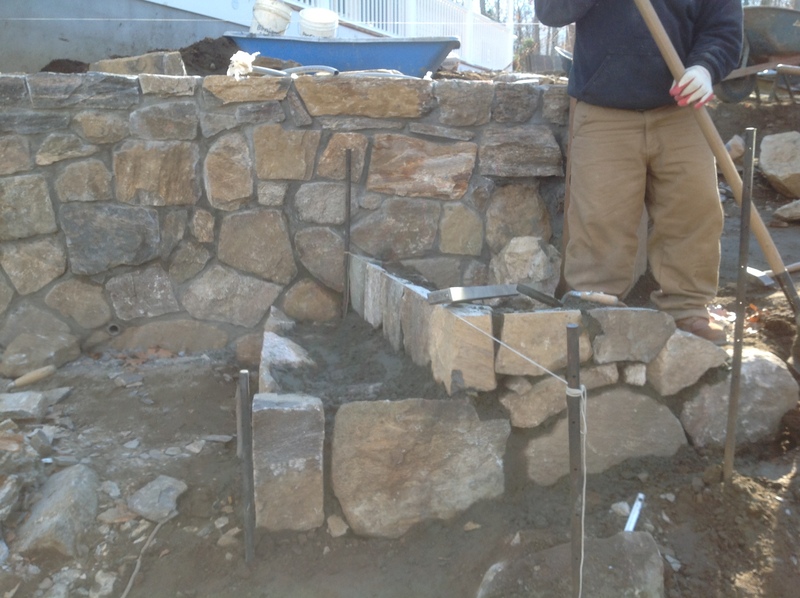 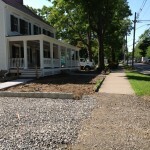 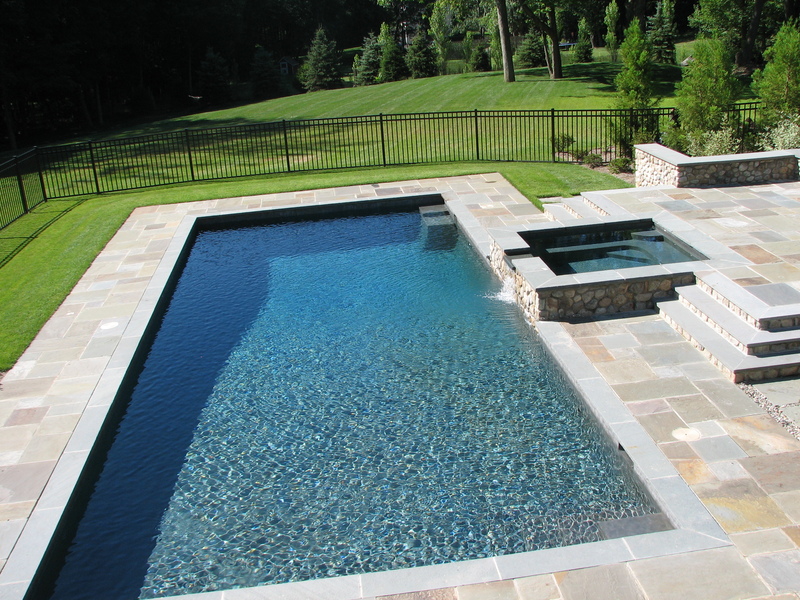 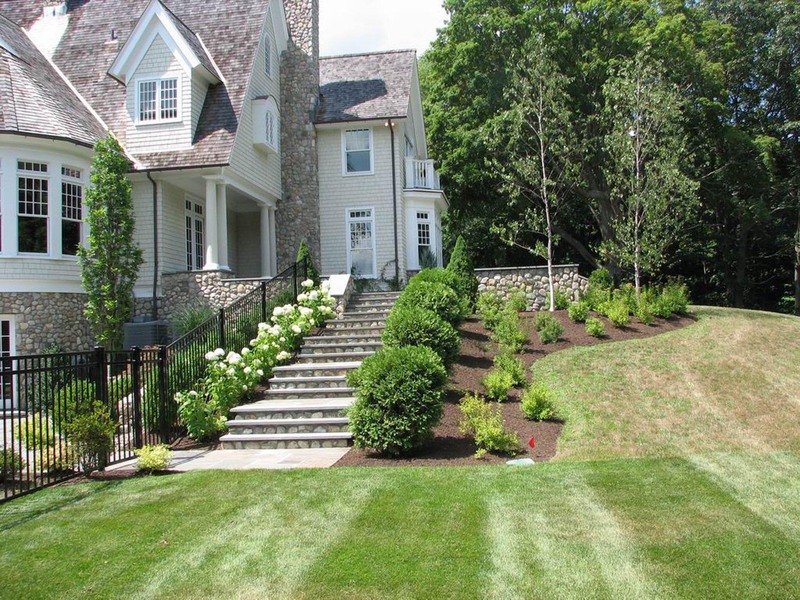 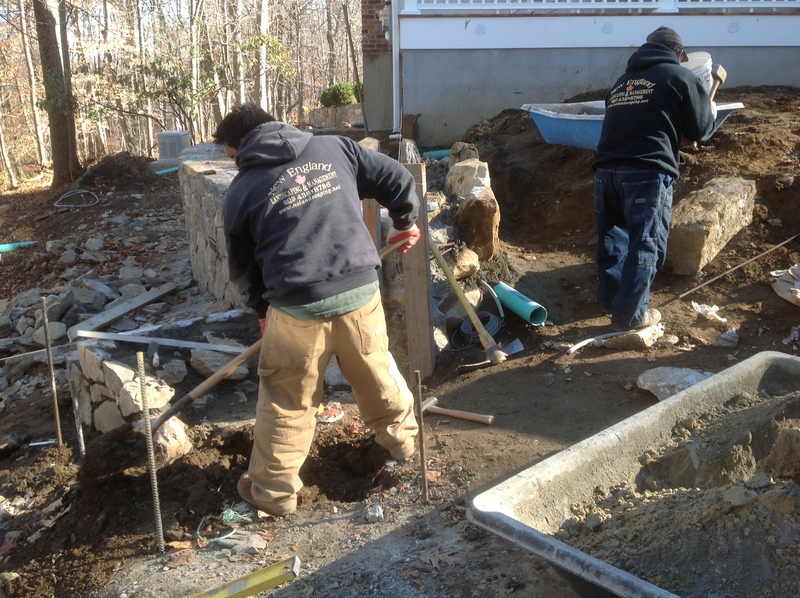 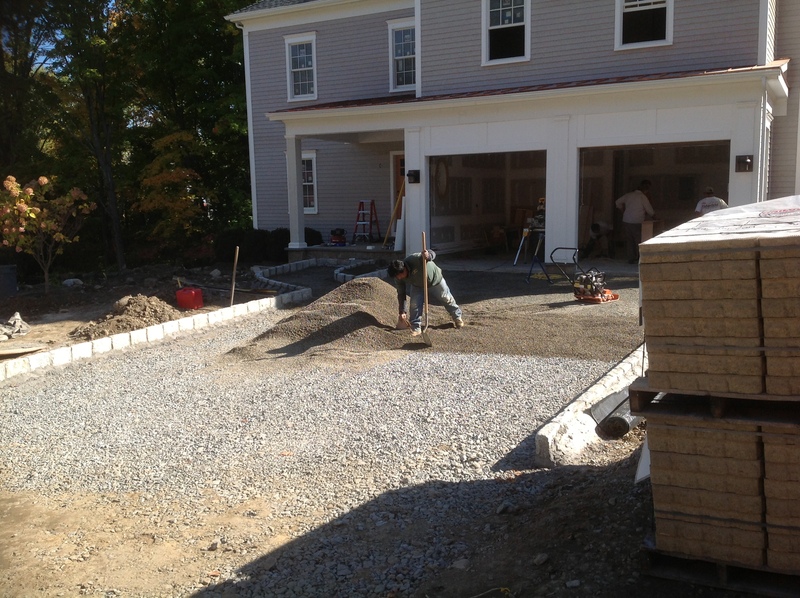 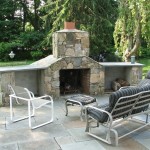 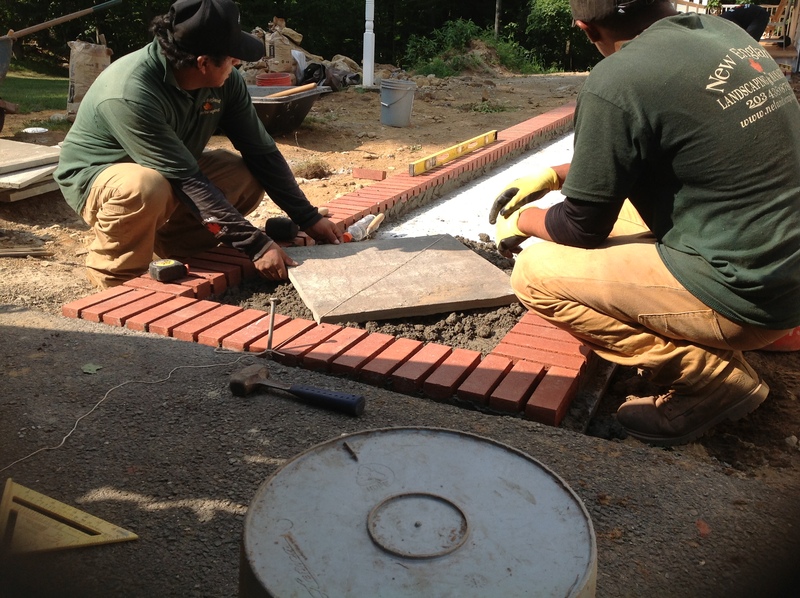 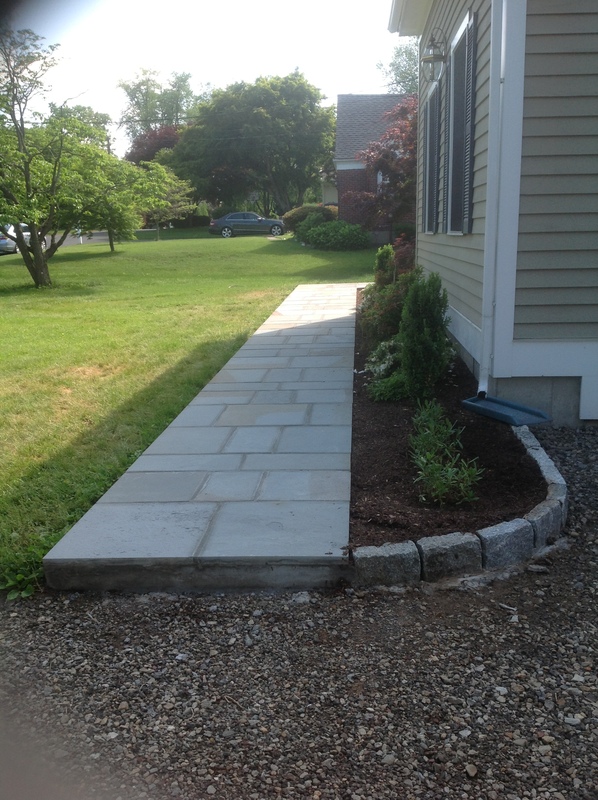 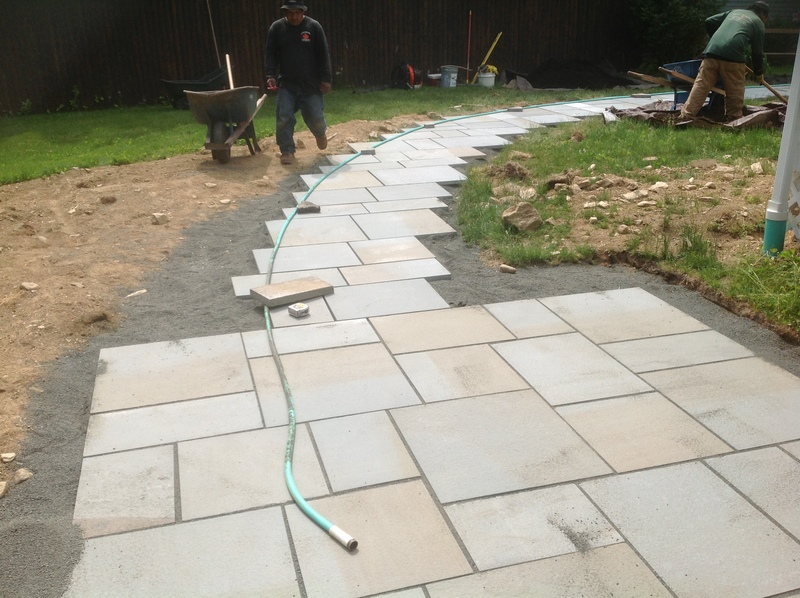 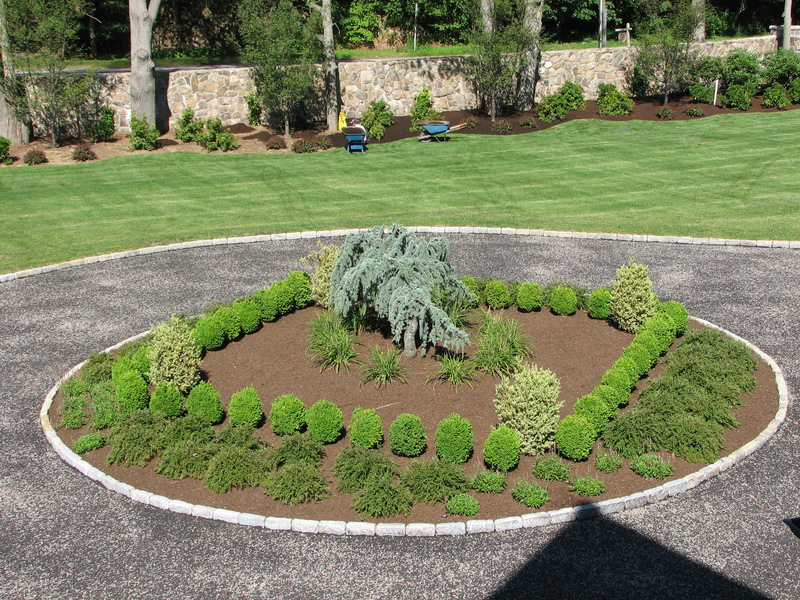 35 Years of service excellence in the landscaping profession, servicing Fairfield and Litchfield counties, Connecticut. 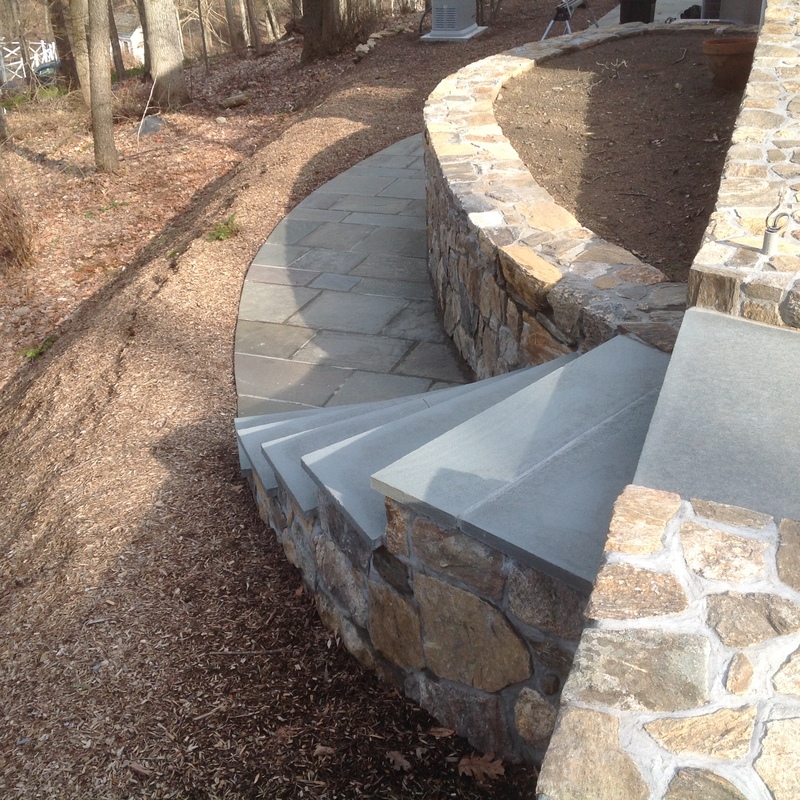 A collection of some recent examples of client projects that reflect the level of skill our team possesses. 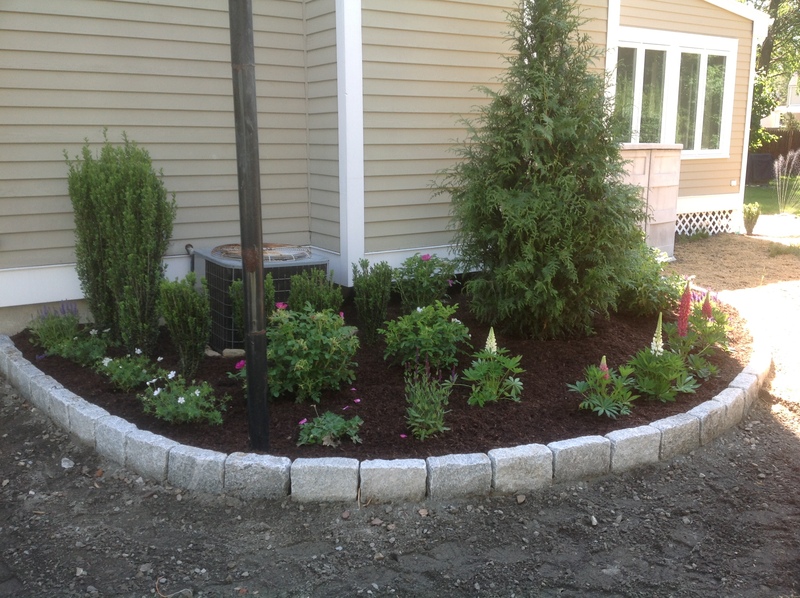 Click an album below to view it. 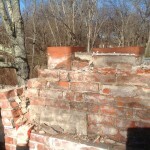 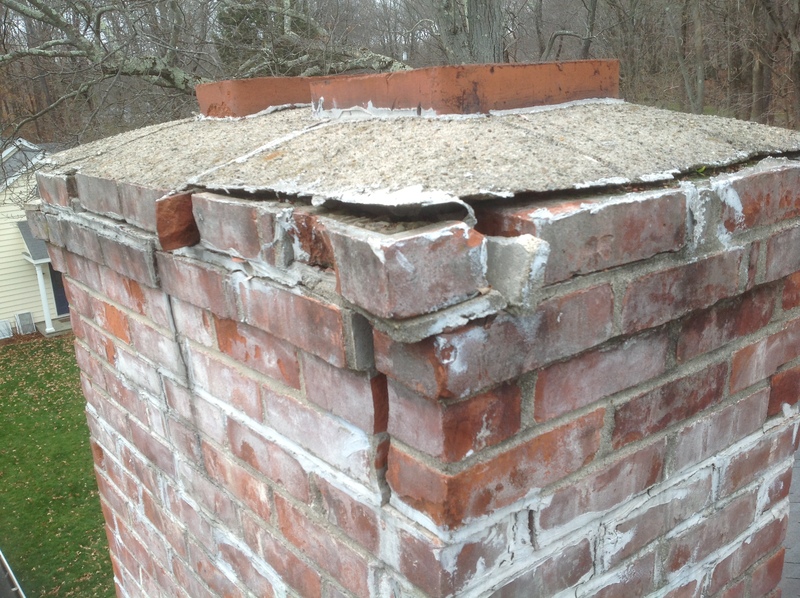 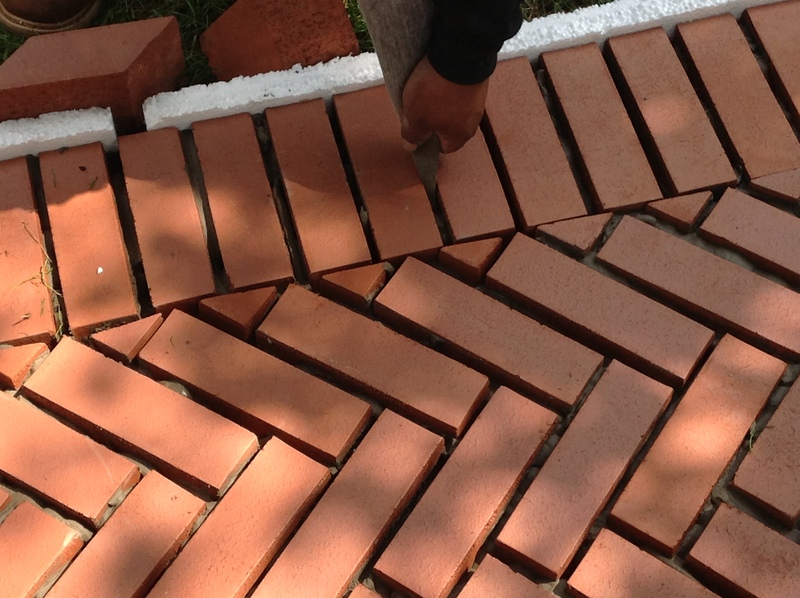 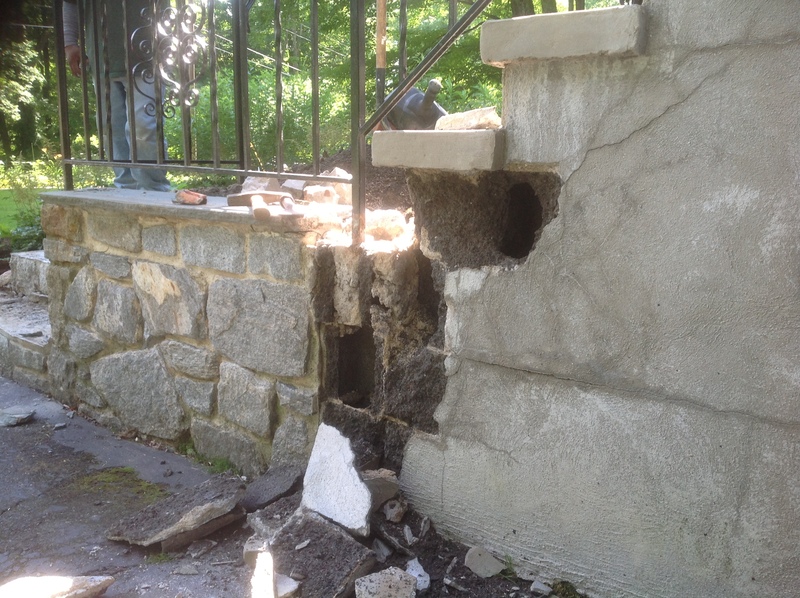 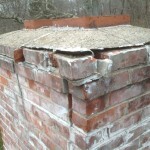 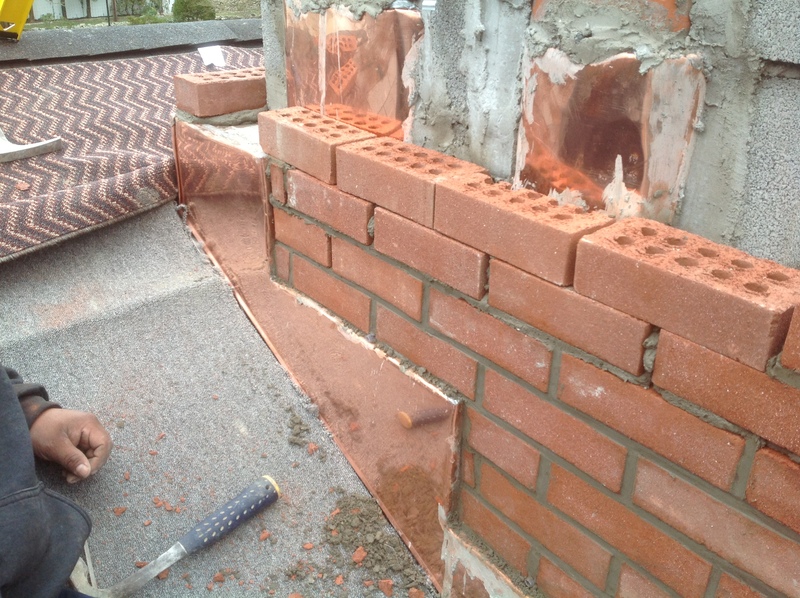 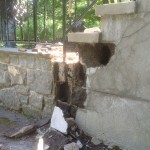 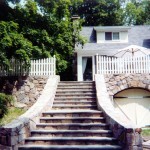 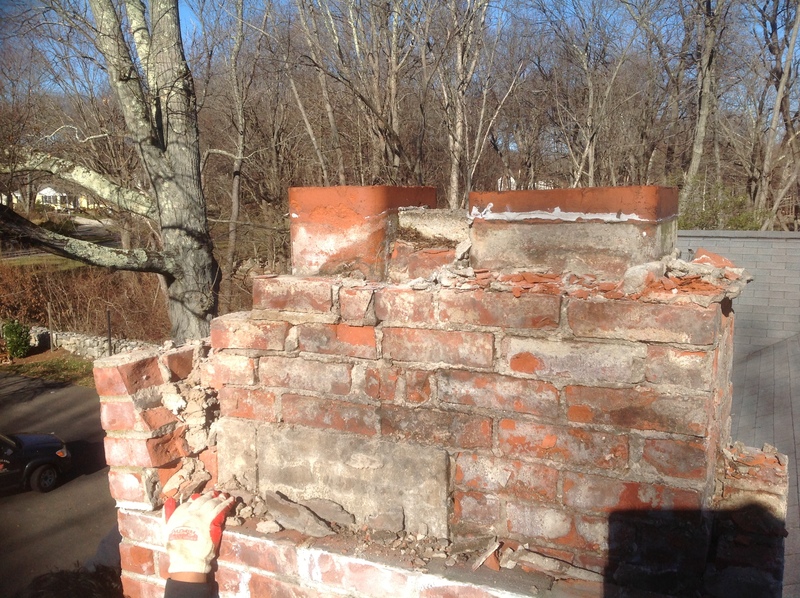 Problem: The original cinder block front stoop was over 60 years old and disintegrating. 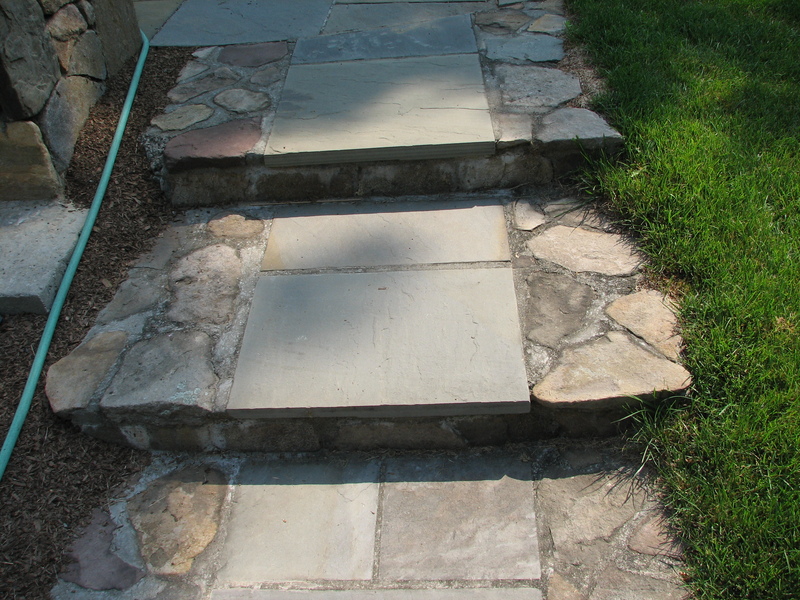 Solution: Remove and replace and face with stone. 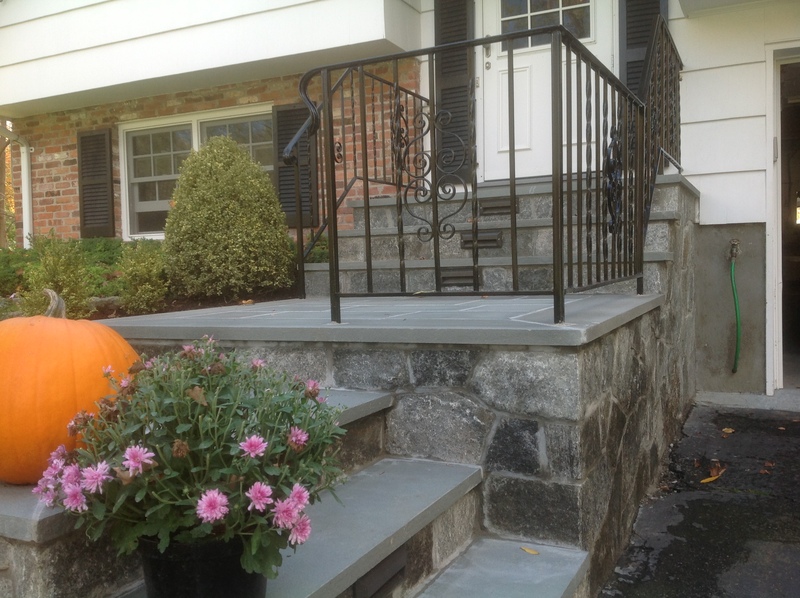 The challenges for this job were that the customer required the existing wrought iron railing to be reinstalled with no modification which was extremely difficult! 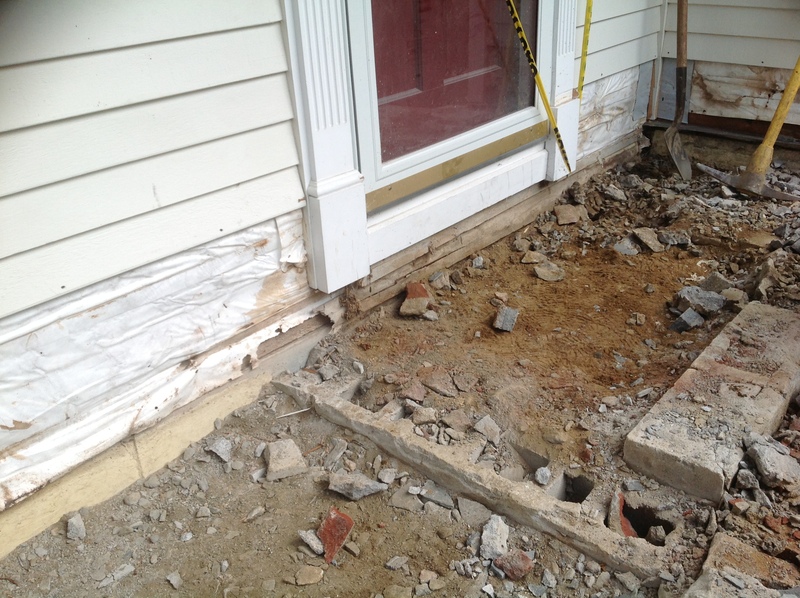 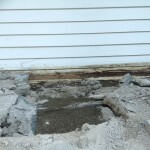 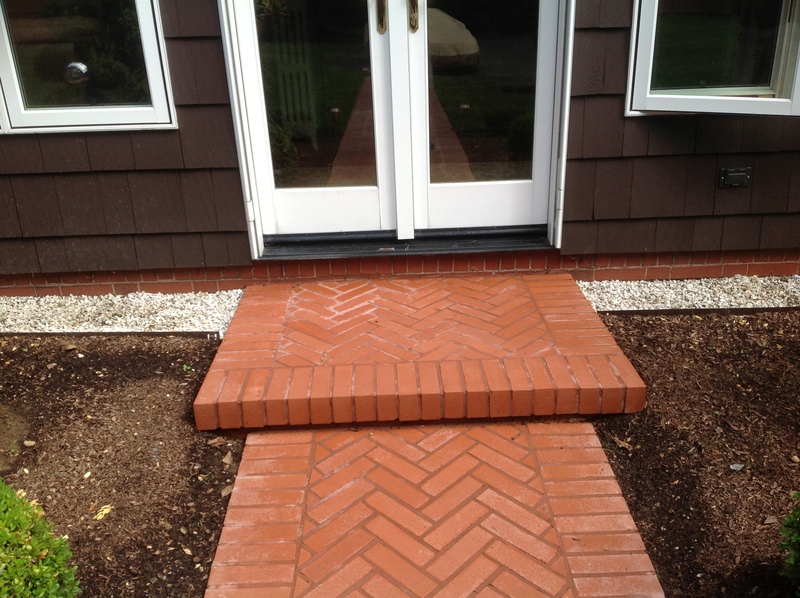 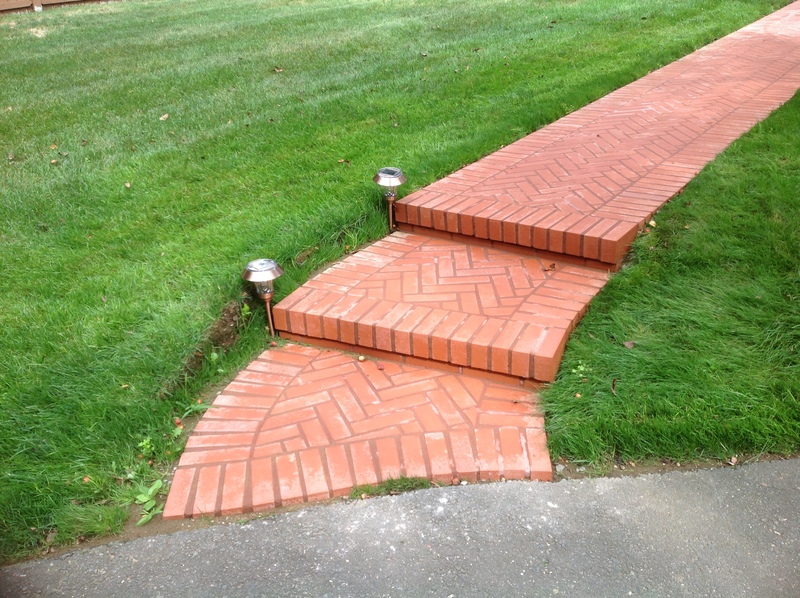 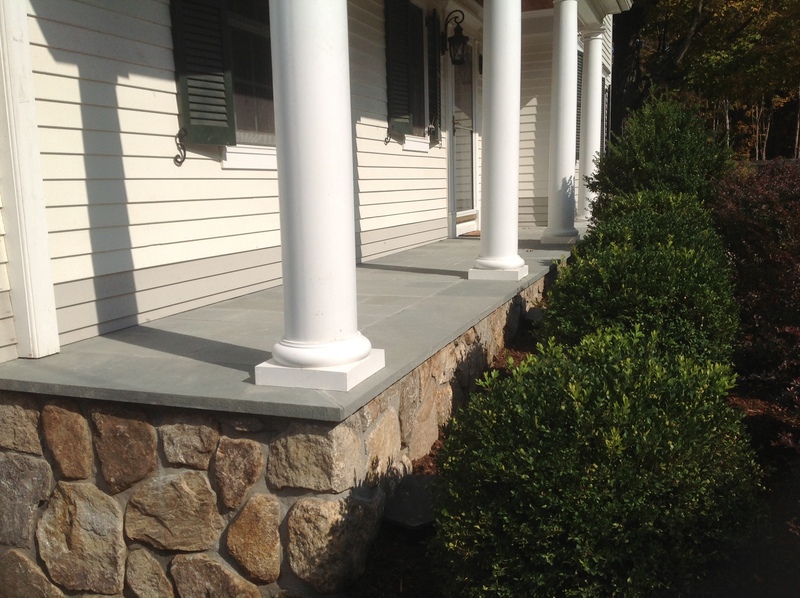 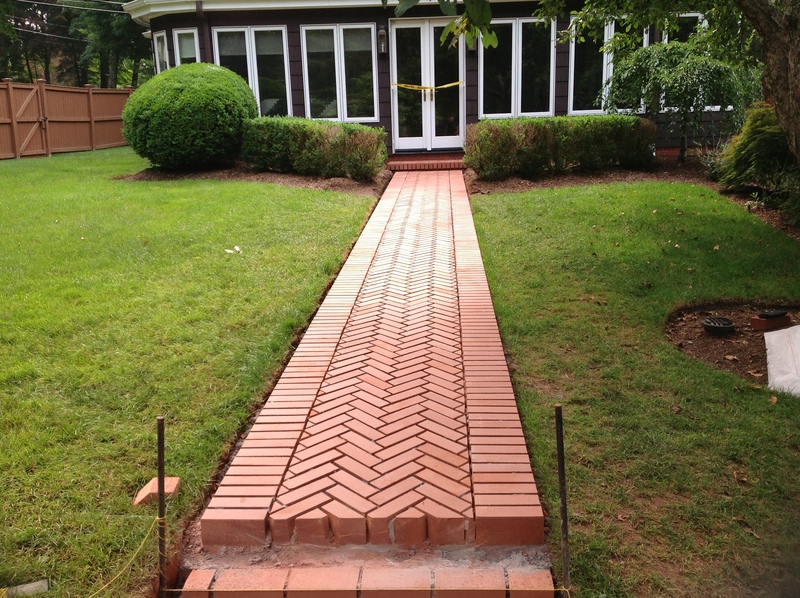 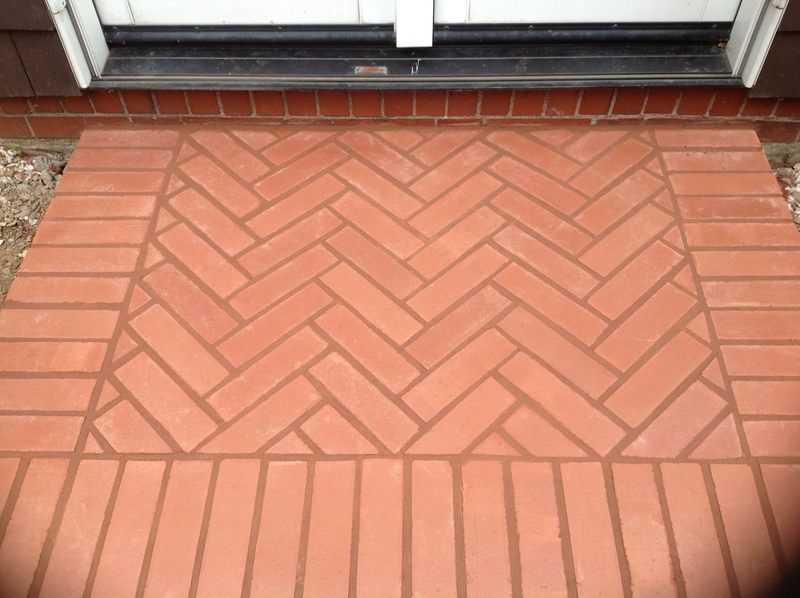 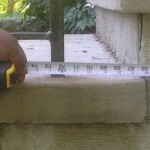 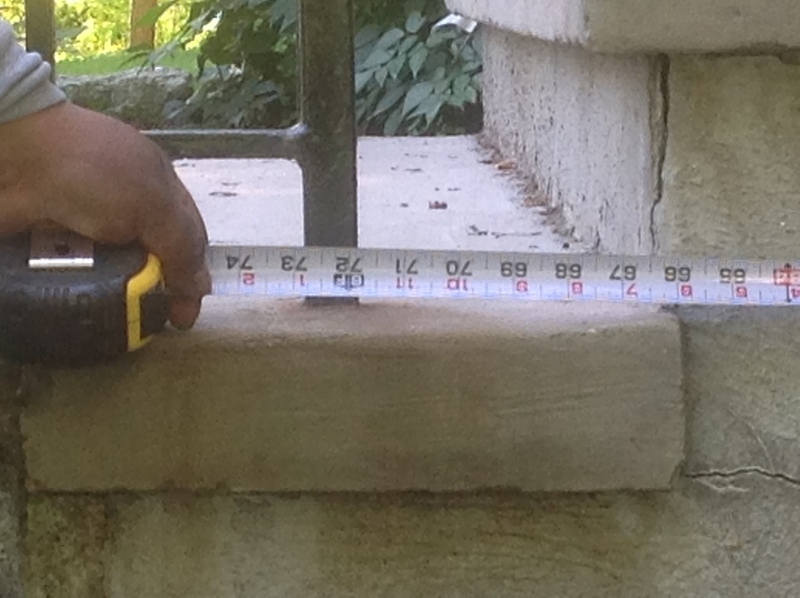 Problem: The existing front porch/patio was settling and cracking. 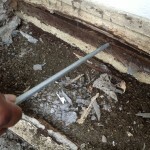 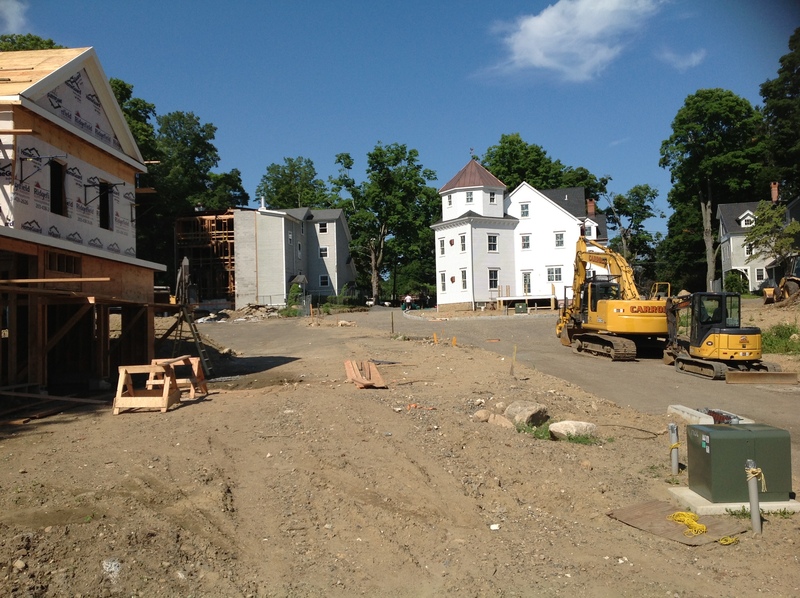 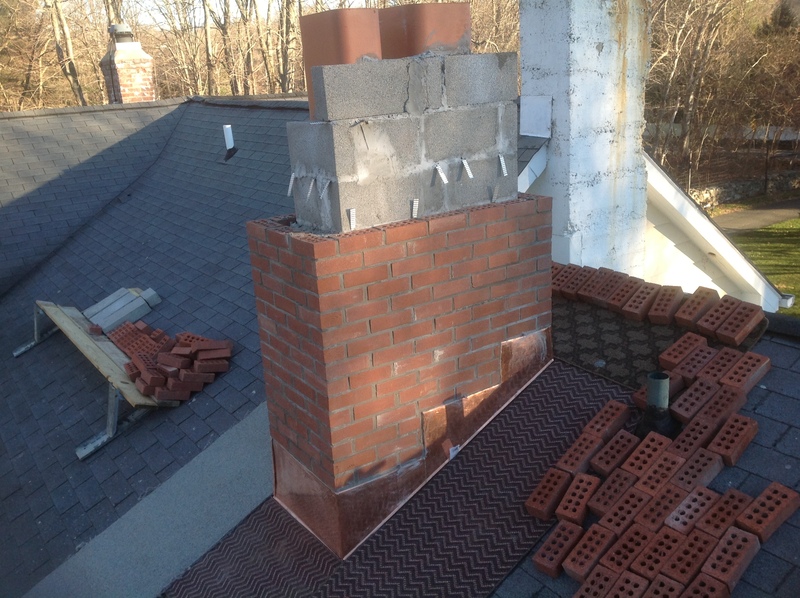 Solution: We proceeding with the demolition and renovation. 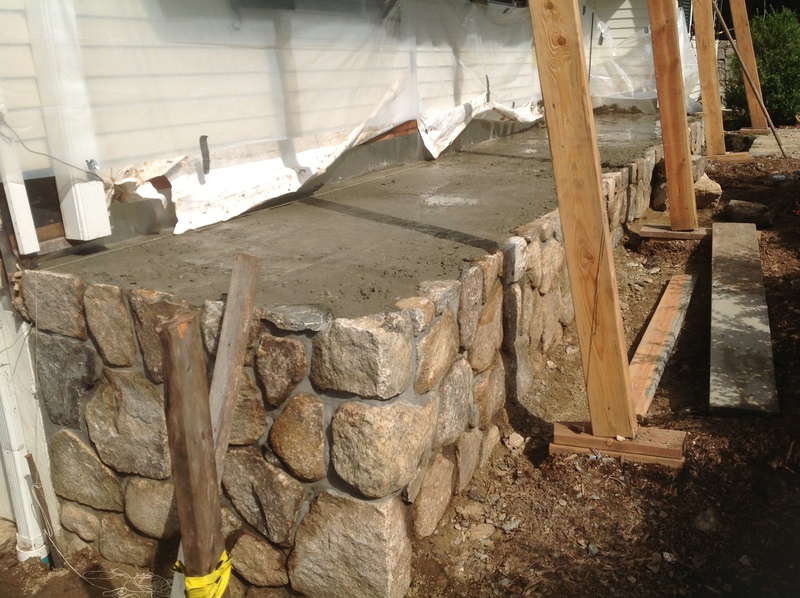 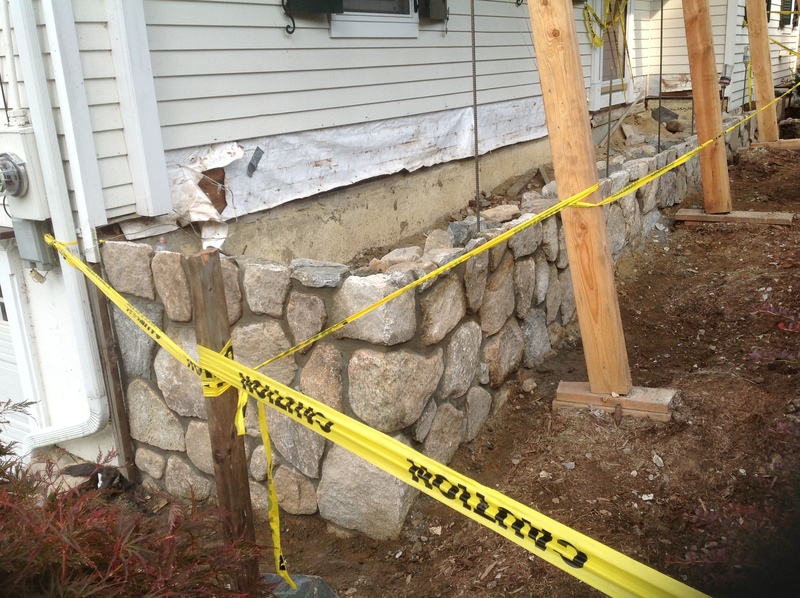 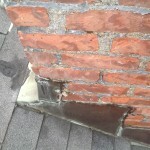 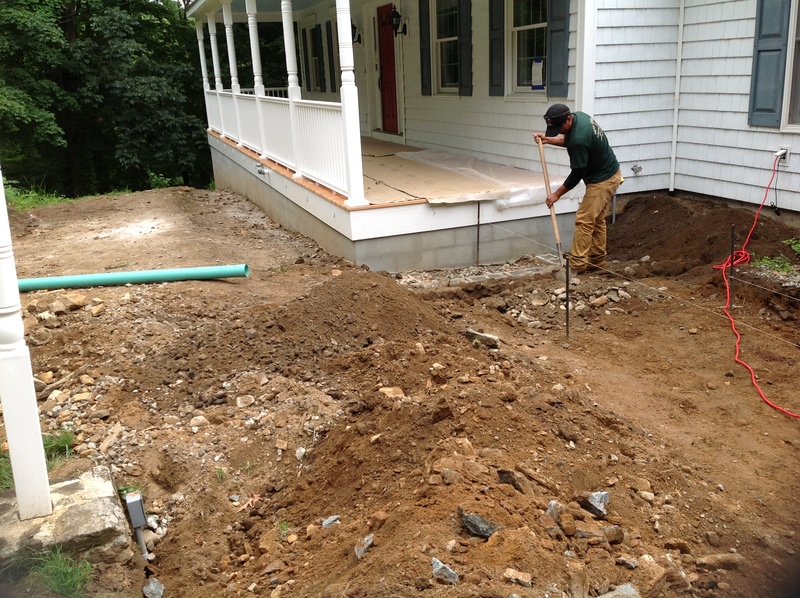 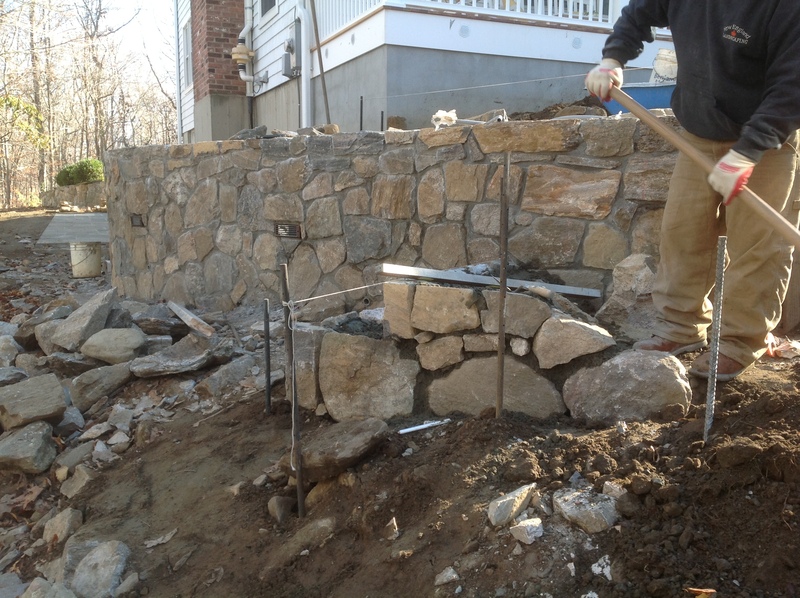 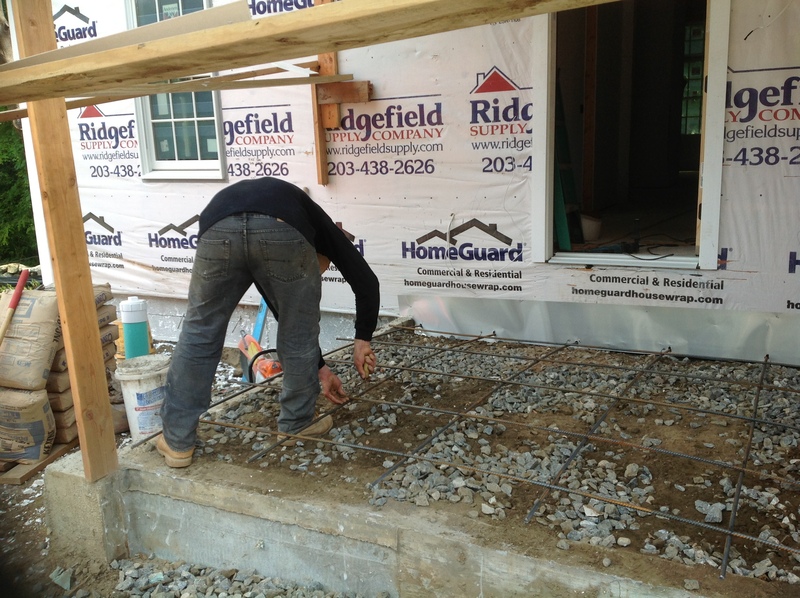 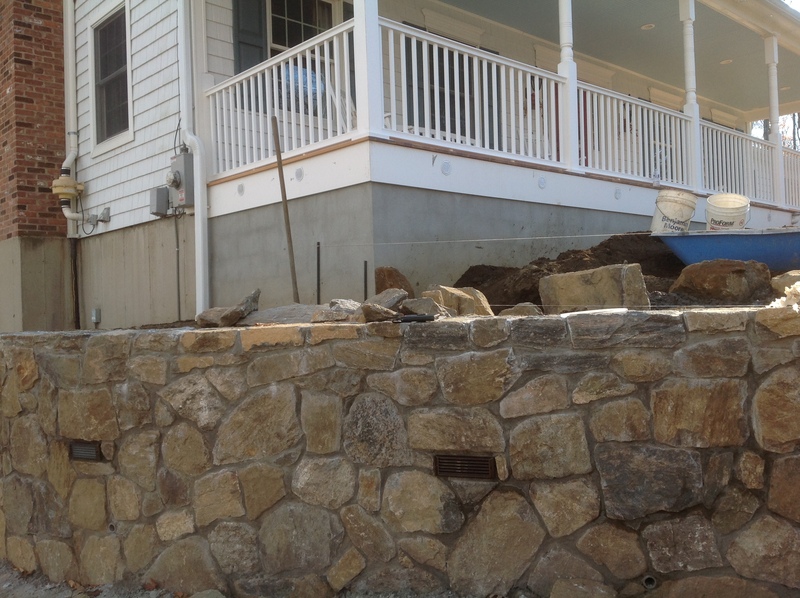 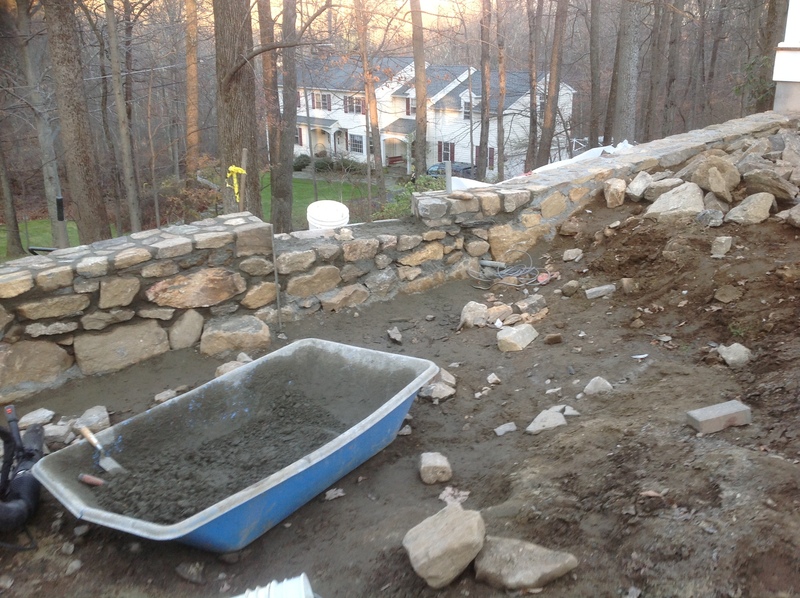 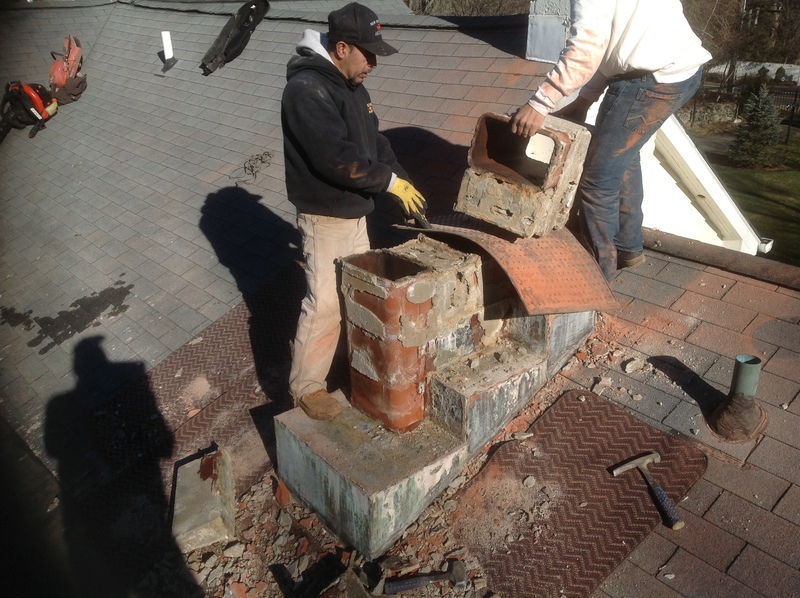 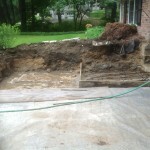 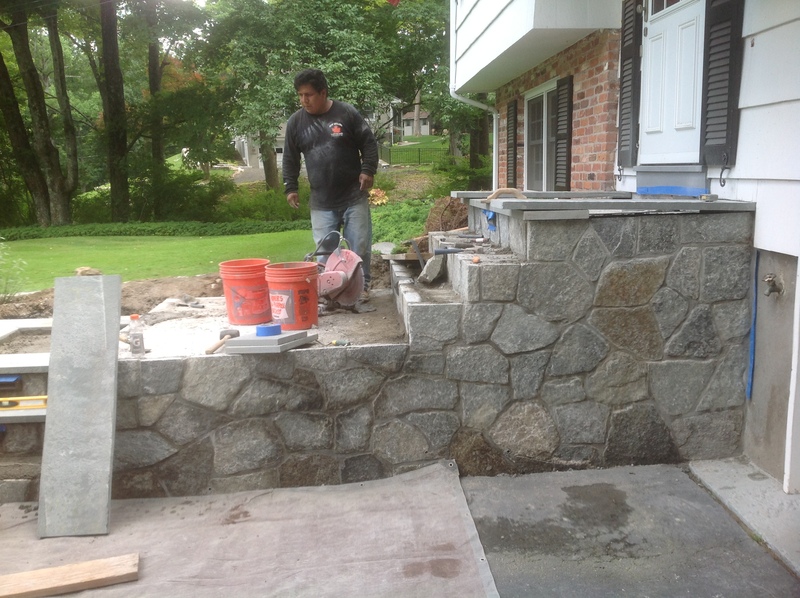 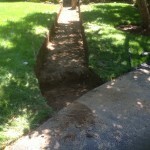 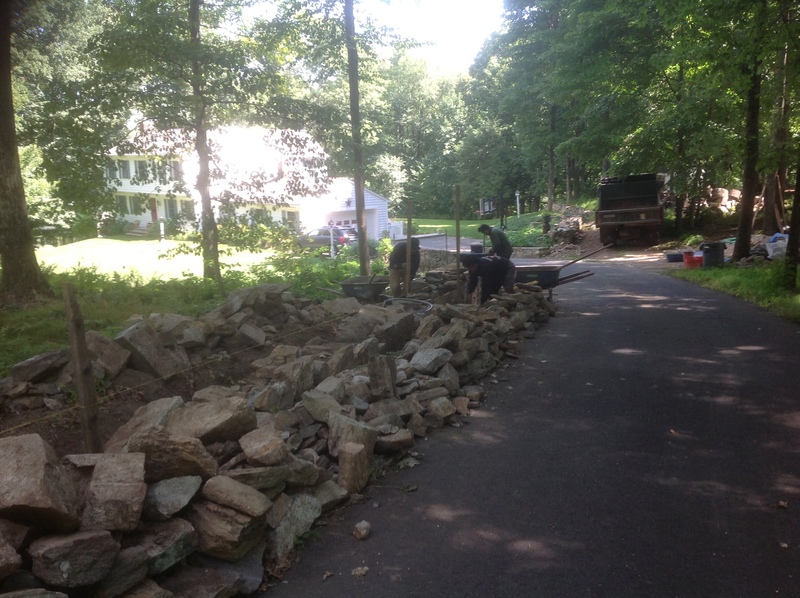 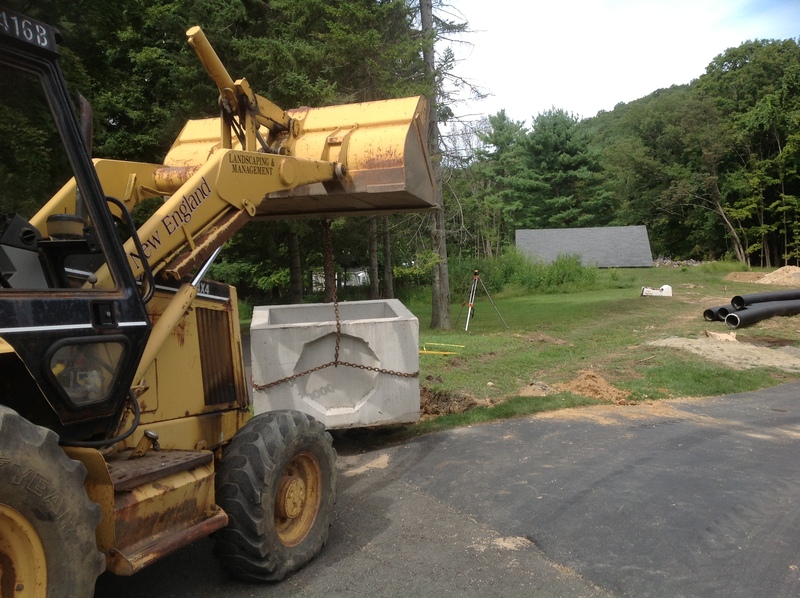 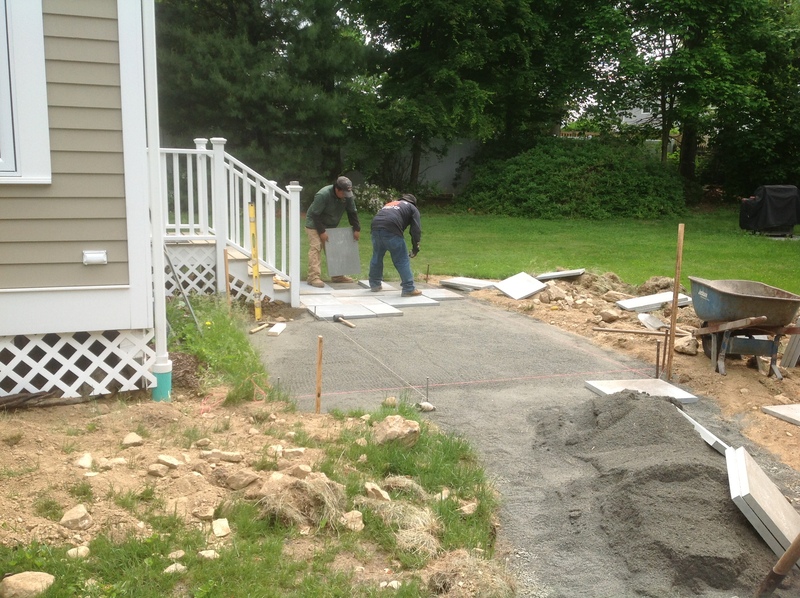 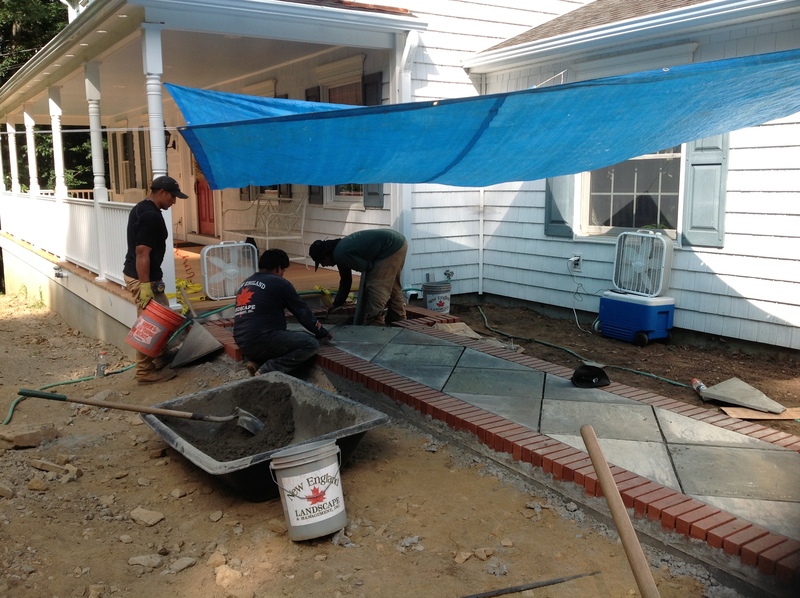 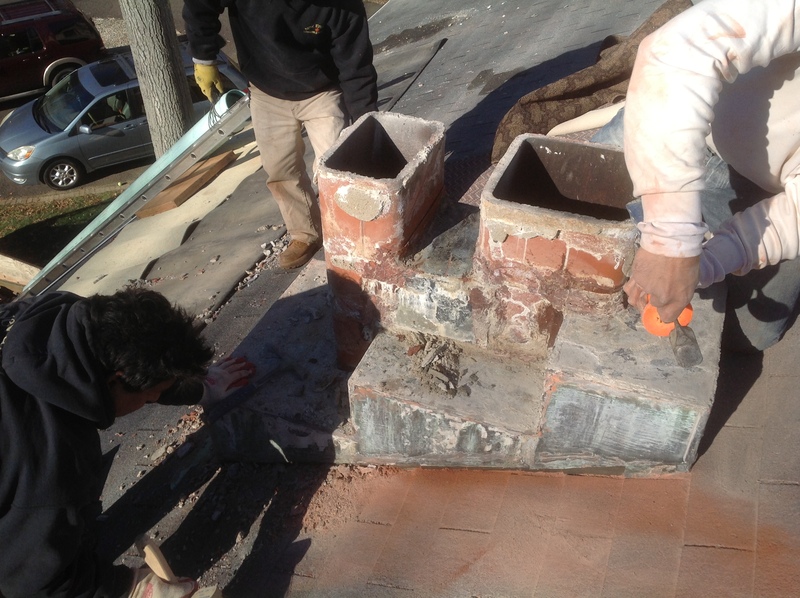 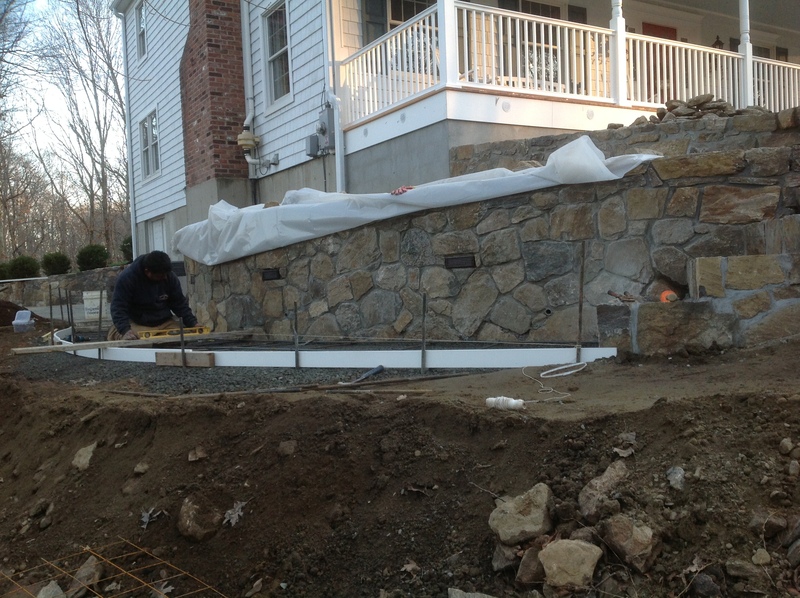 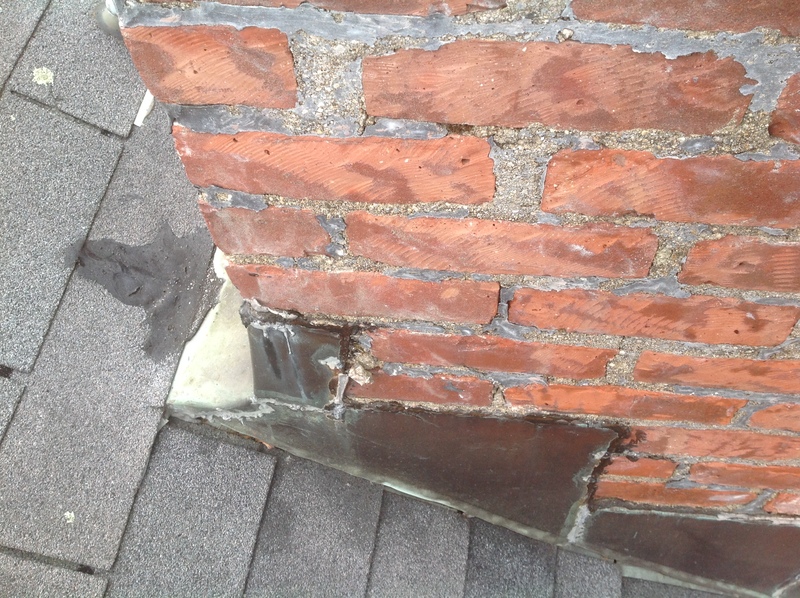 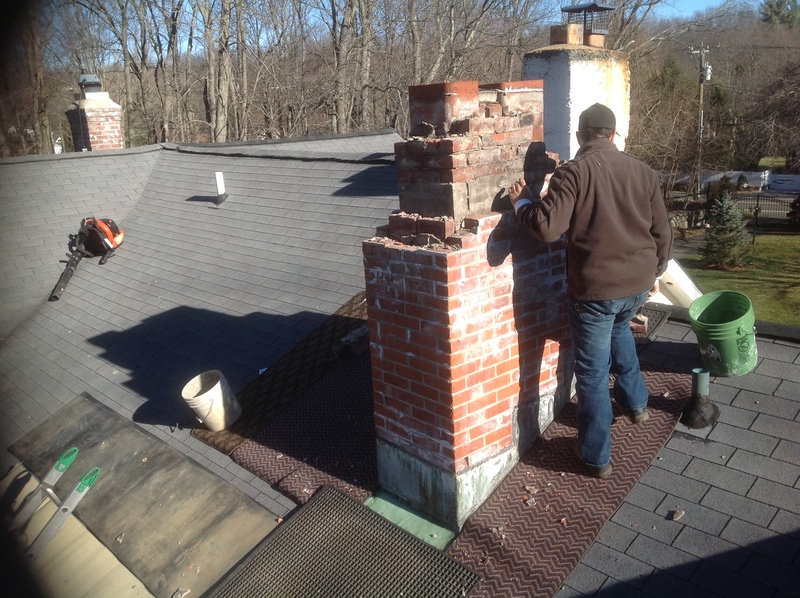 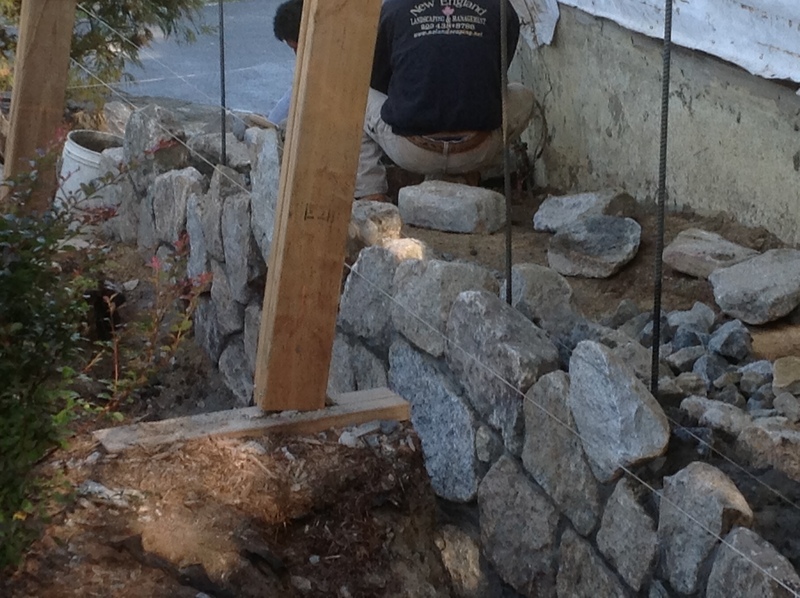 As we removed the flagstone in the settled area we found major structural issues. 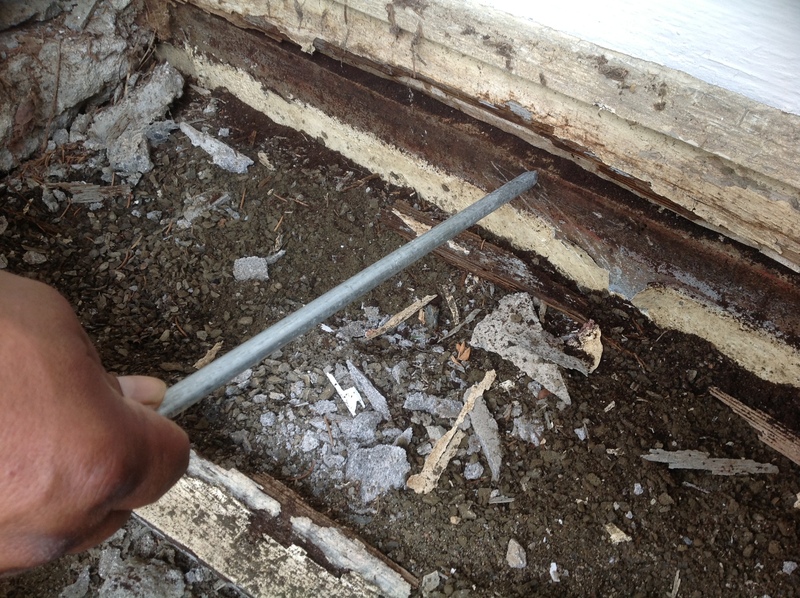 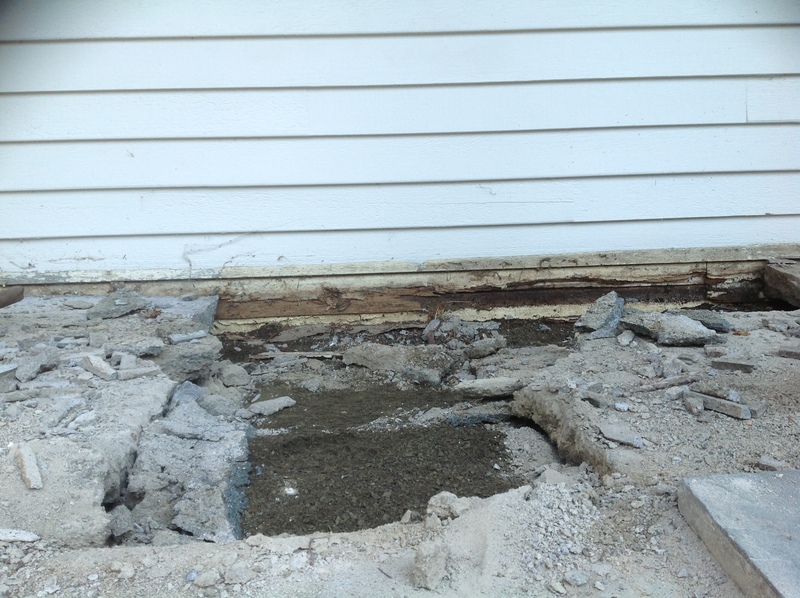 The connection between the wood structure of the house and the patio had no water barrier or flashing. 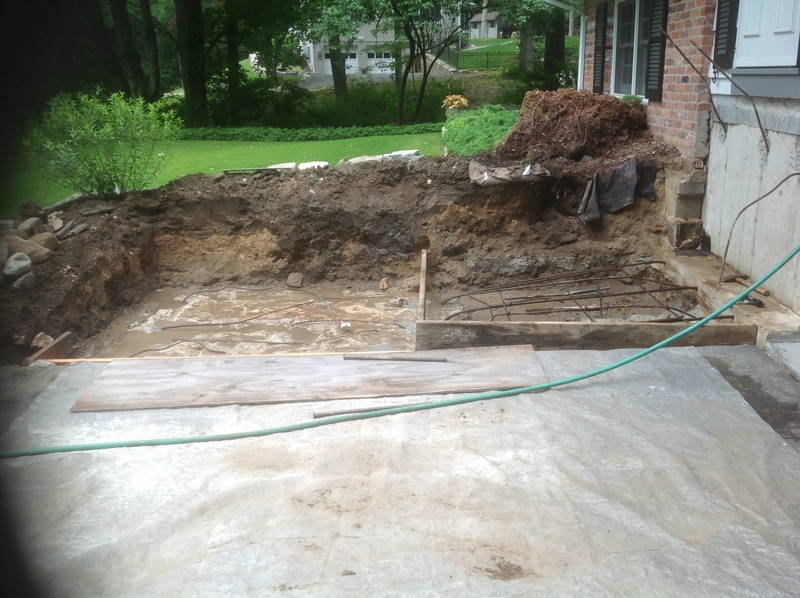 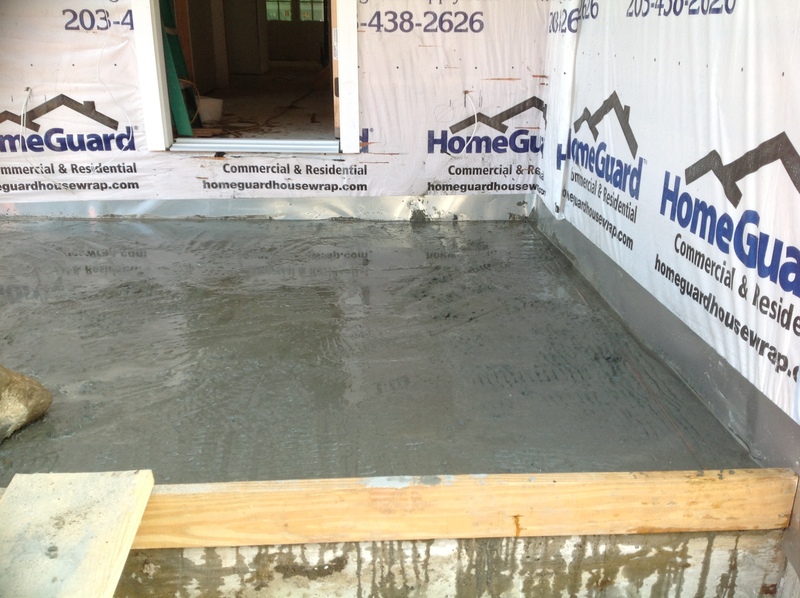 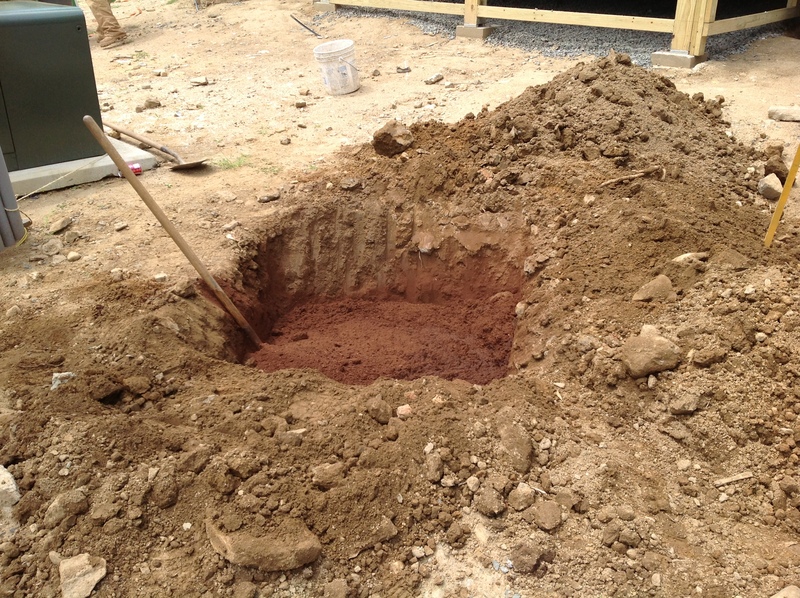 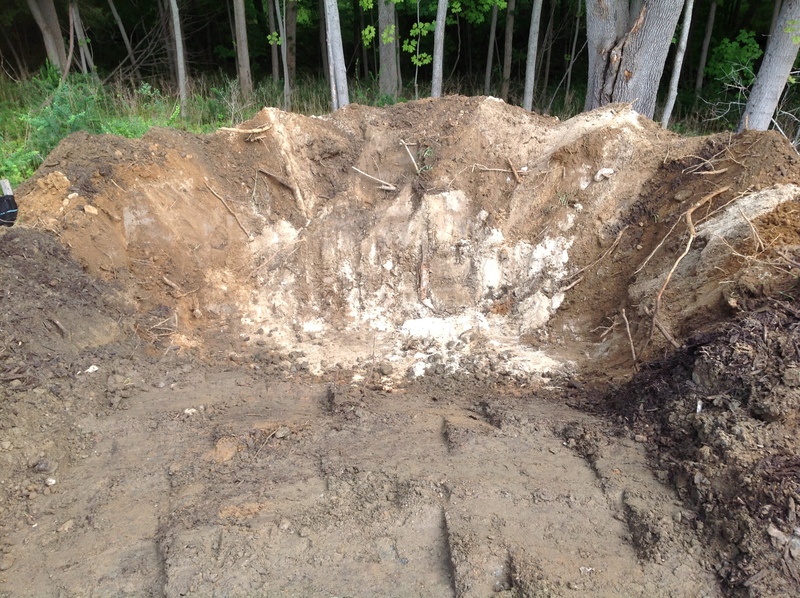 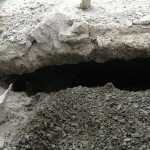 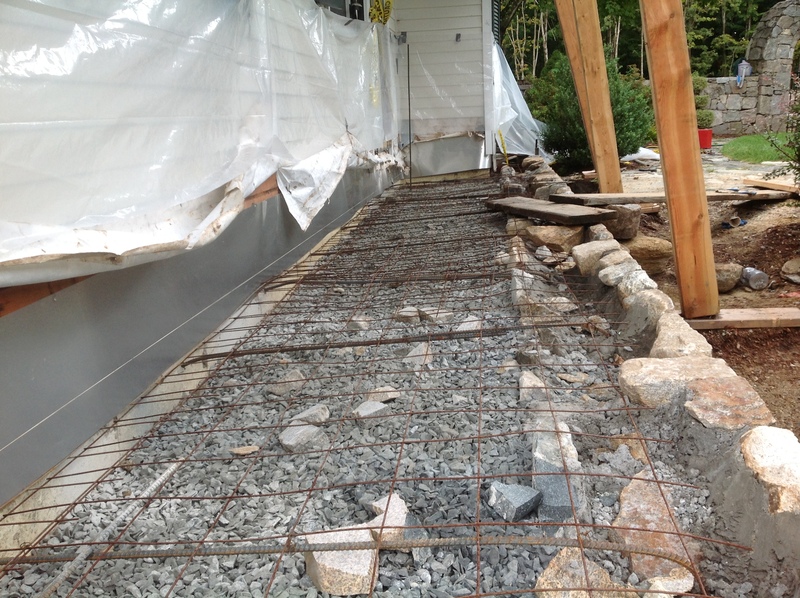 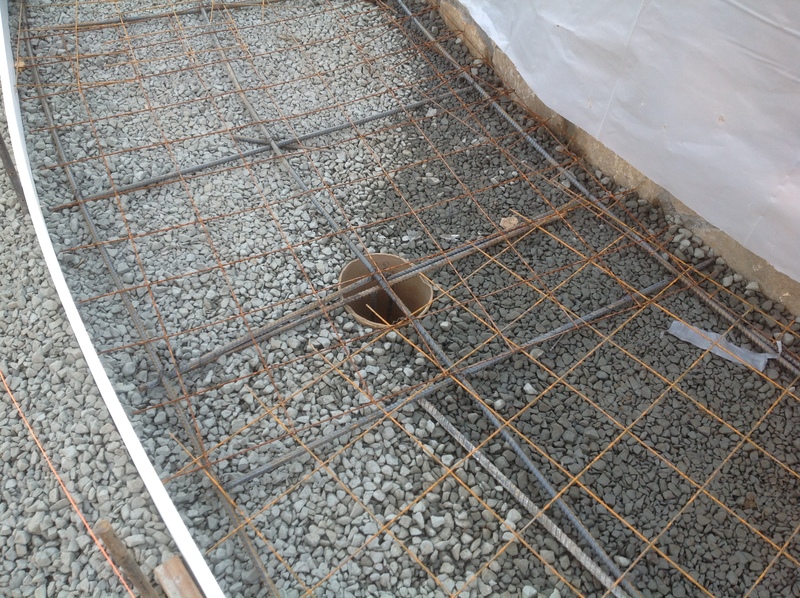 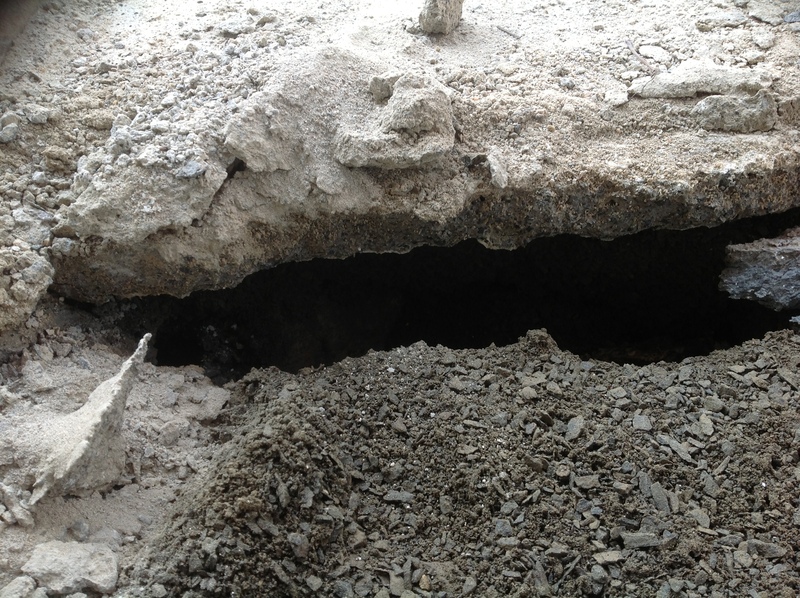 It also lacked a proper concrete slab pour and it did not have proper footings. 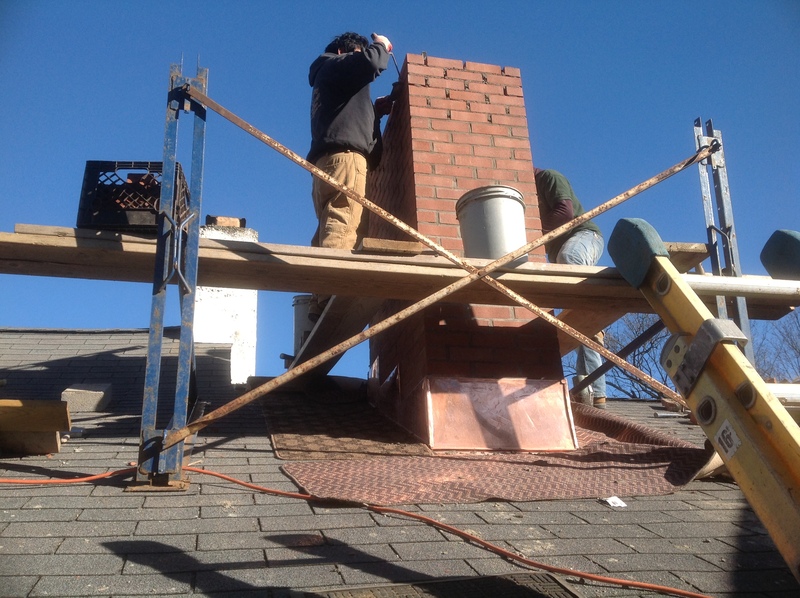 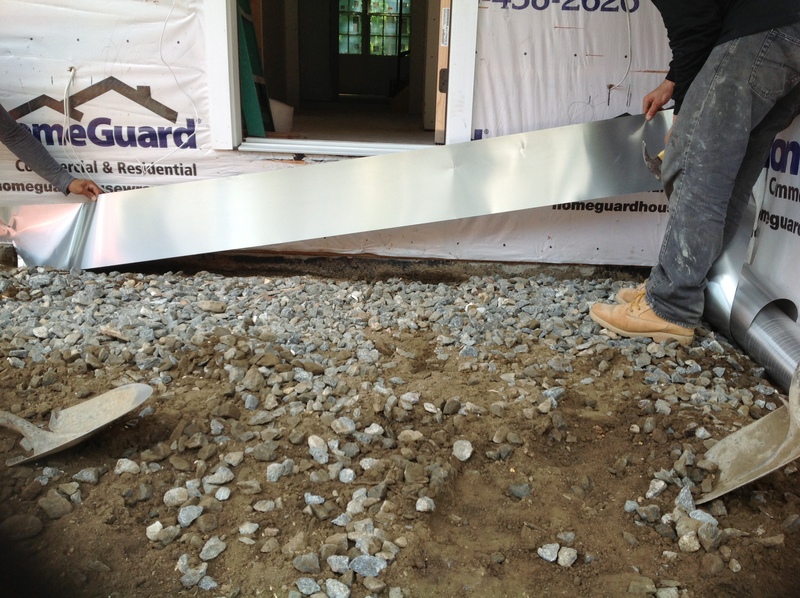 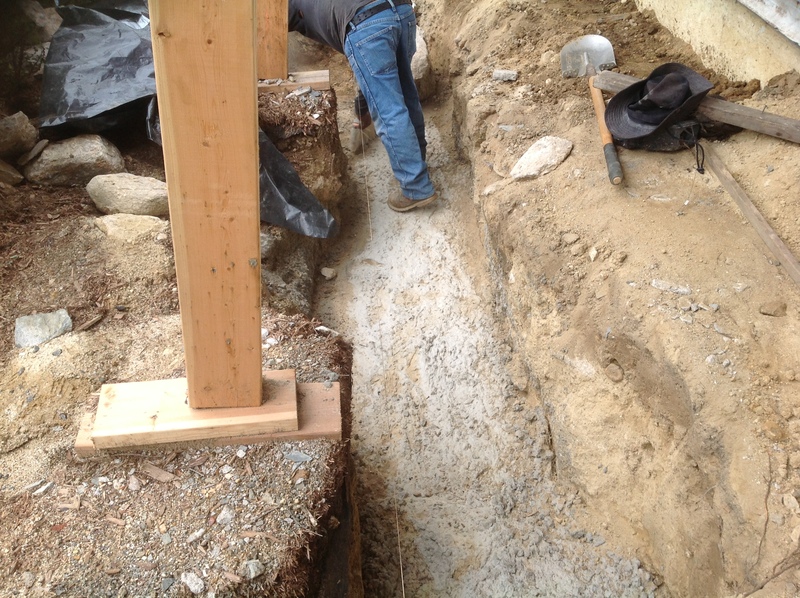 We used a carpenter subcontractor to build temporary supports for the shed roof over the house and proceeded to rebuild from the ground up correctly. 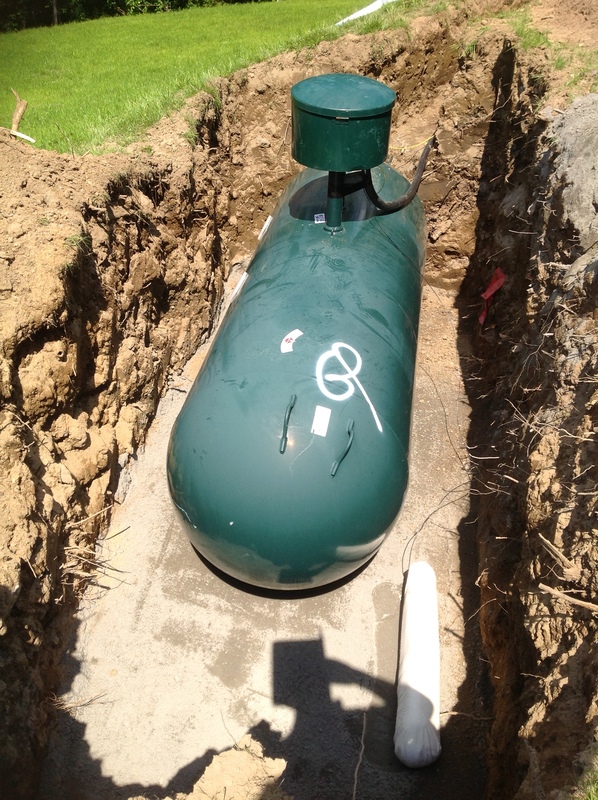 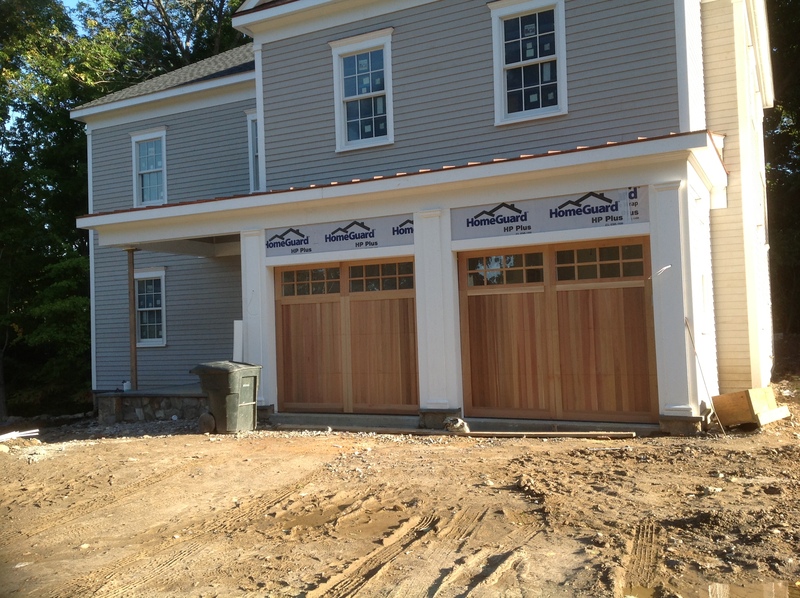 Problem: The installation of a new generator needs a propane tank in order to run. 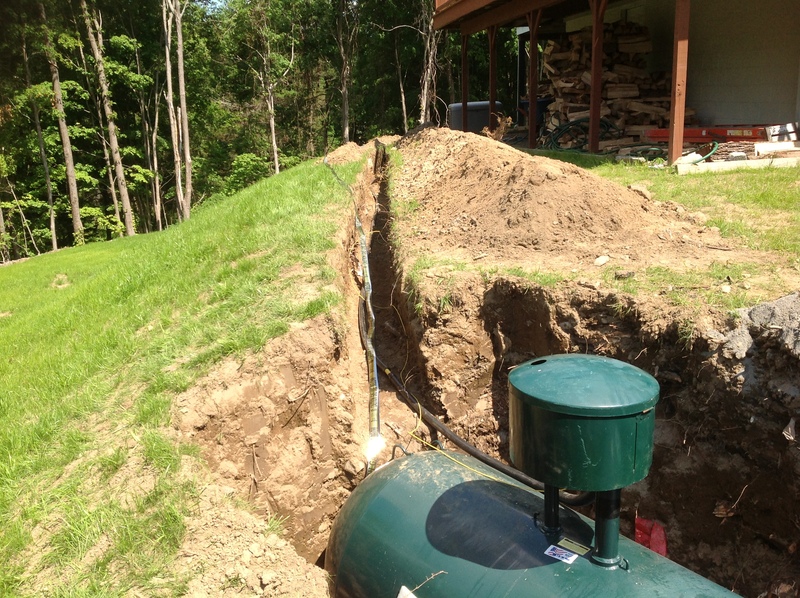 Solution: Install in ground propane storage tank and lines. 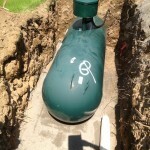 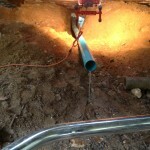 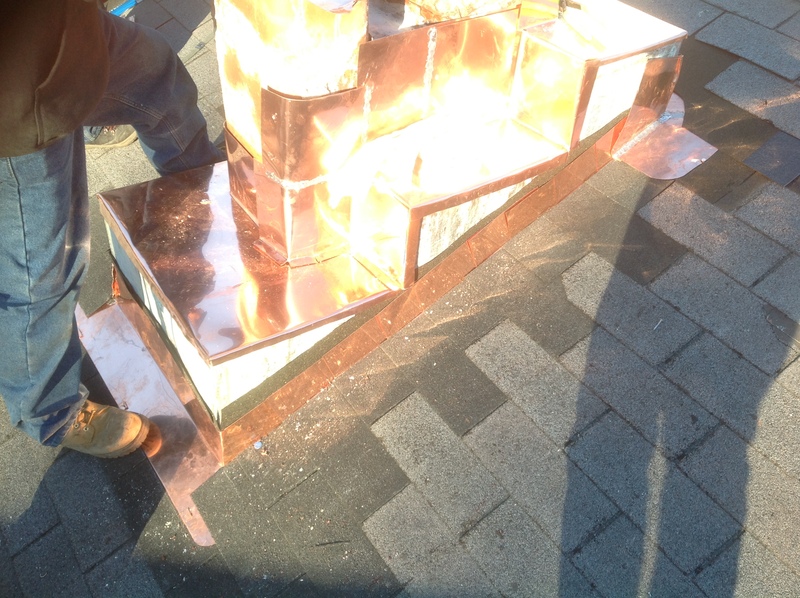 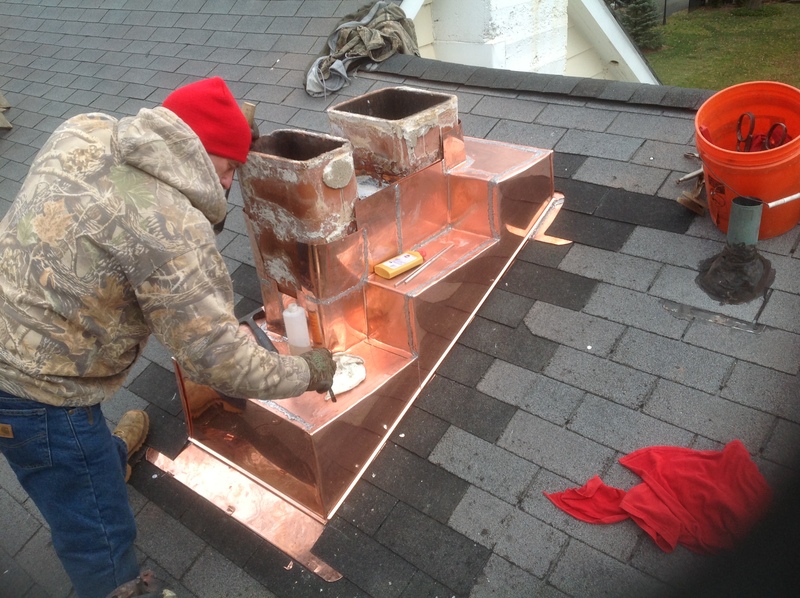 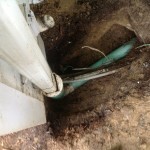 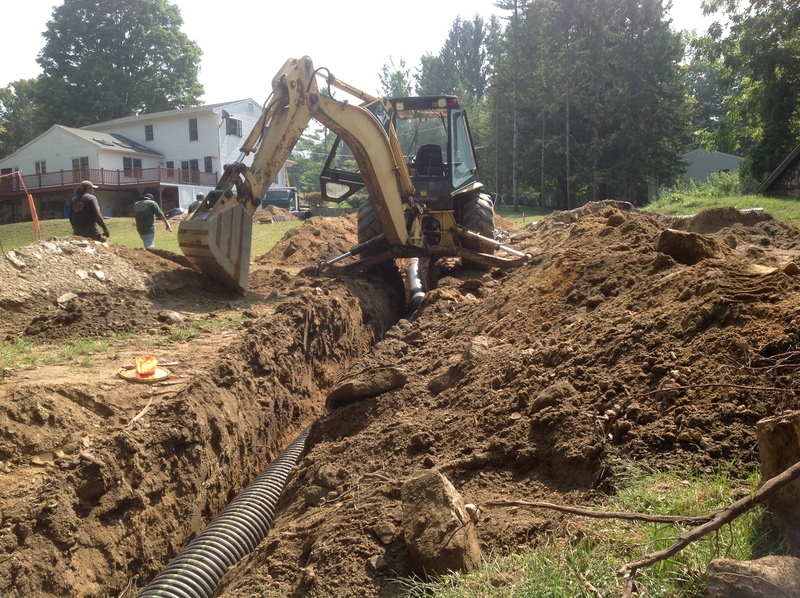 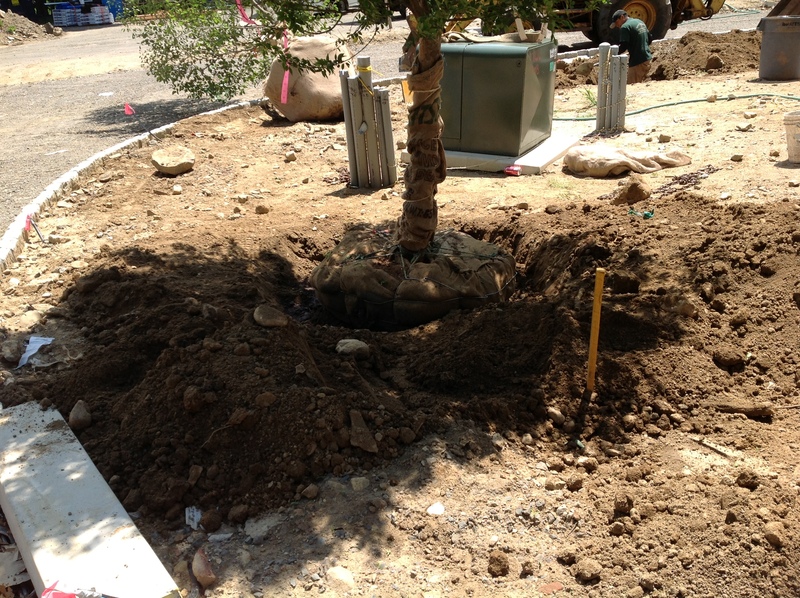 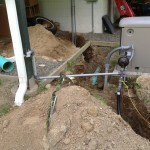 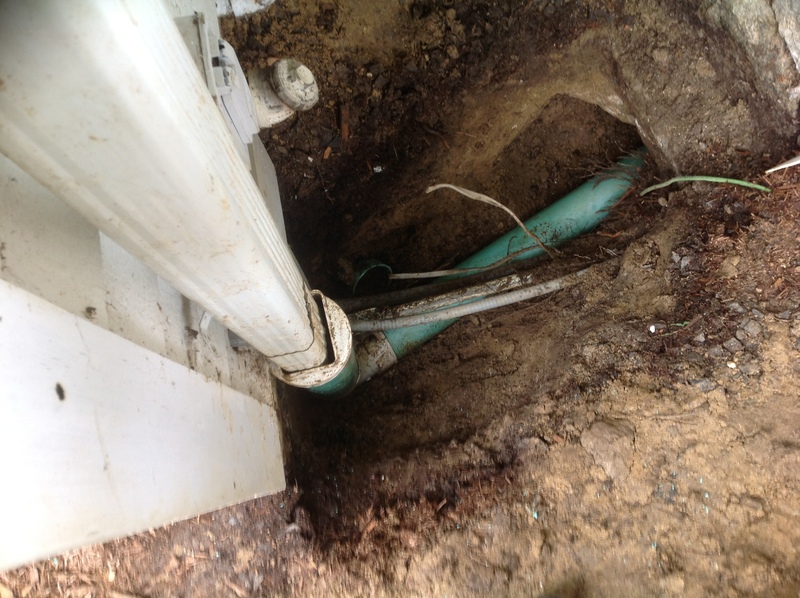 Commercial propane line repair. 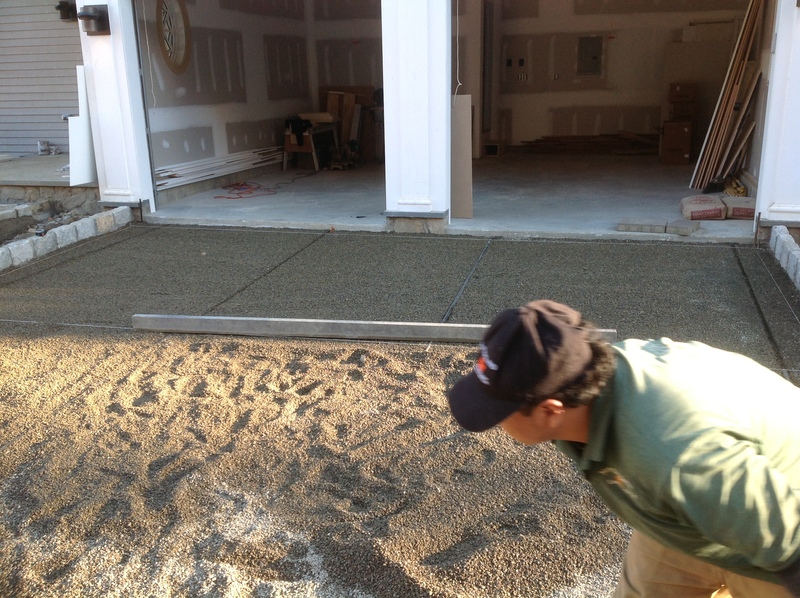 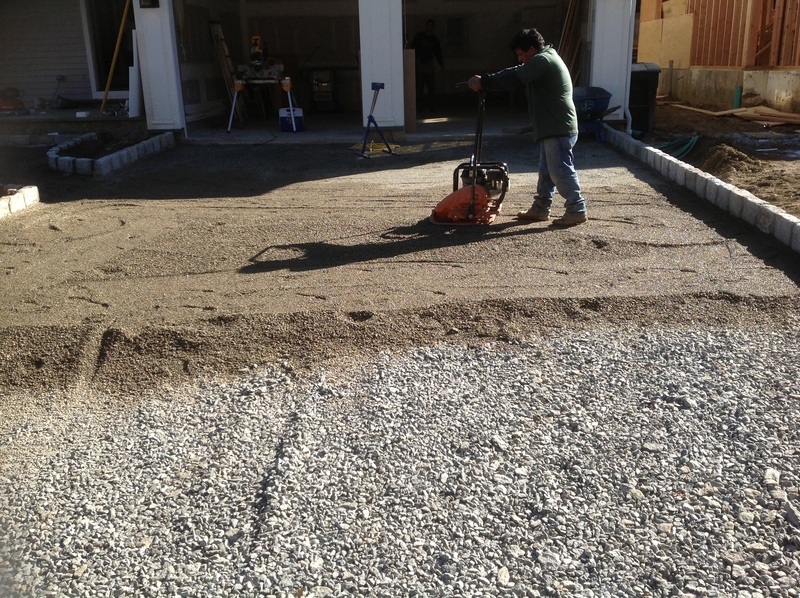 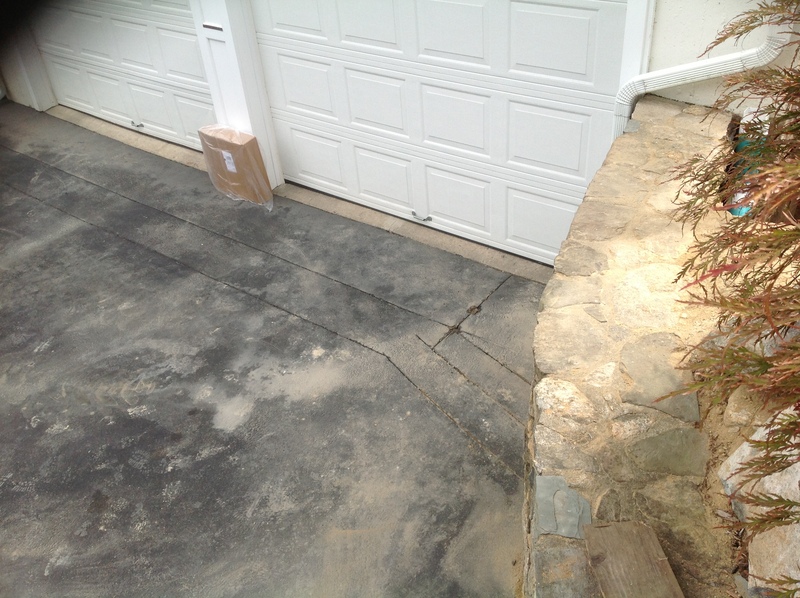 Problem: Driveway puddling/ice in winter and erosion and water in the basement and garage. 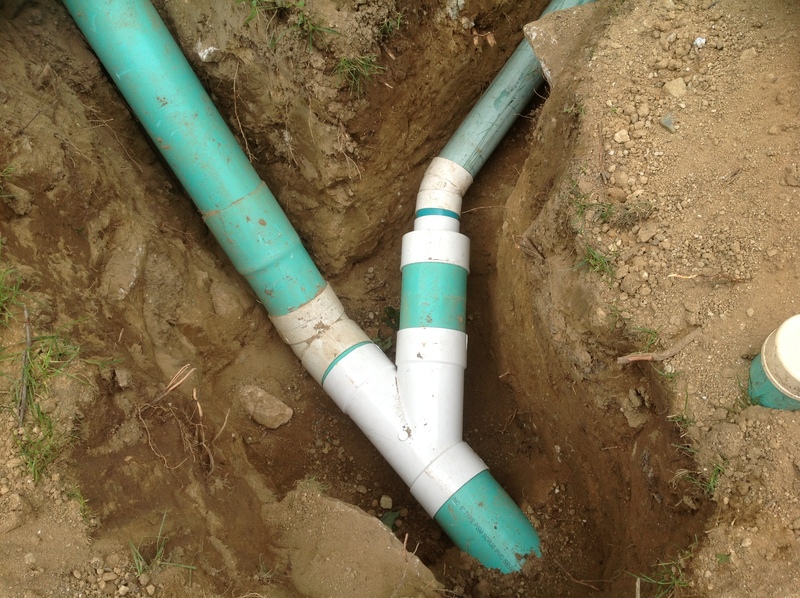 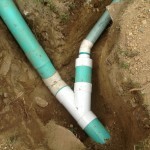 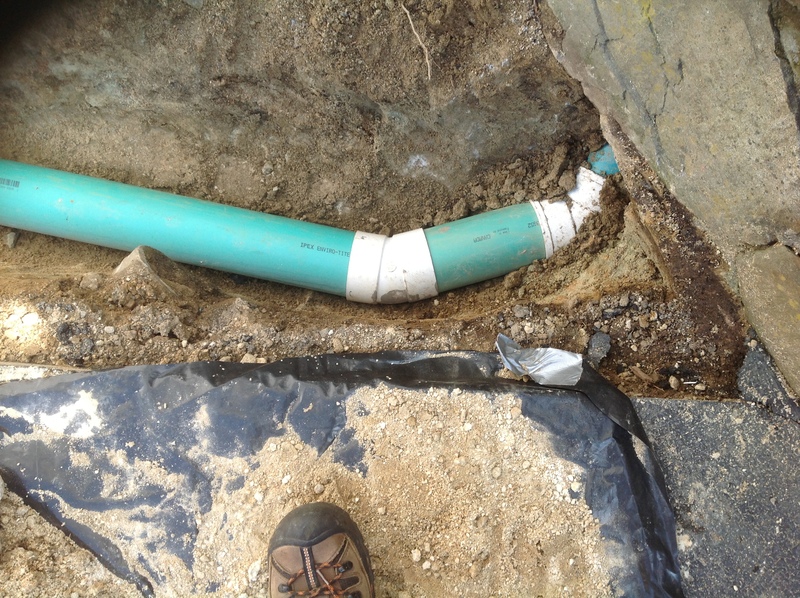 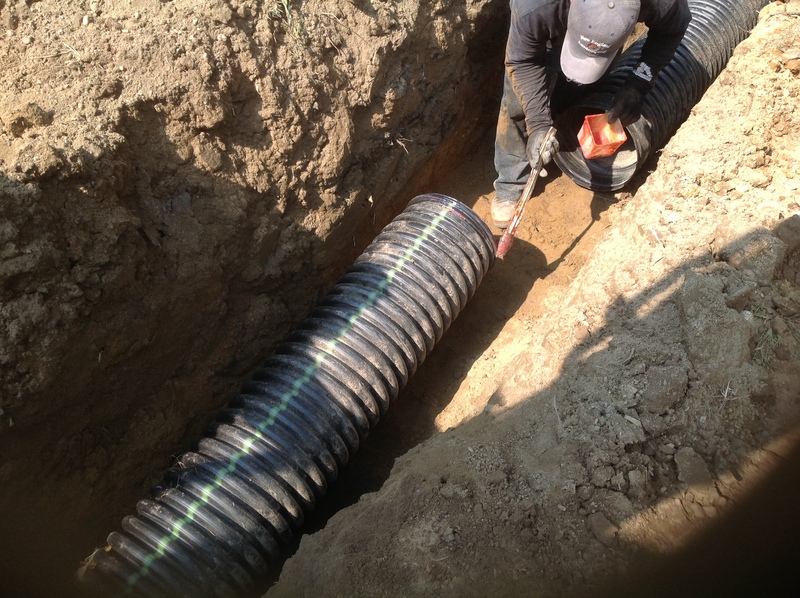 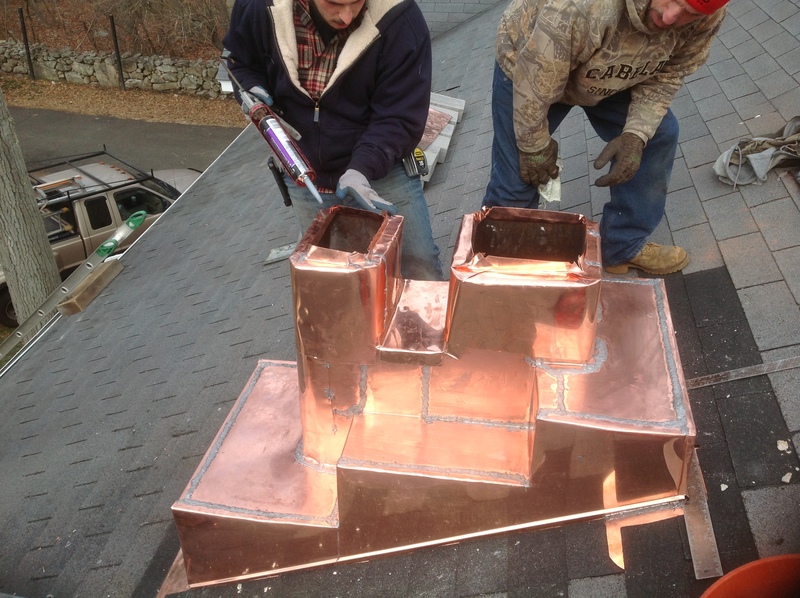 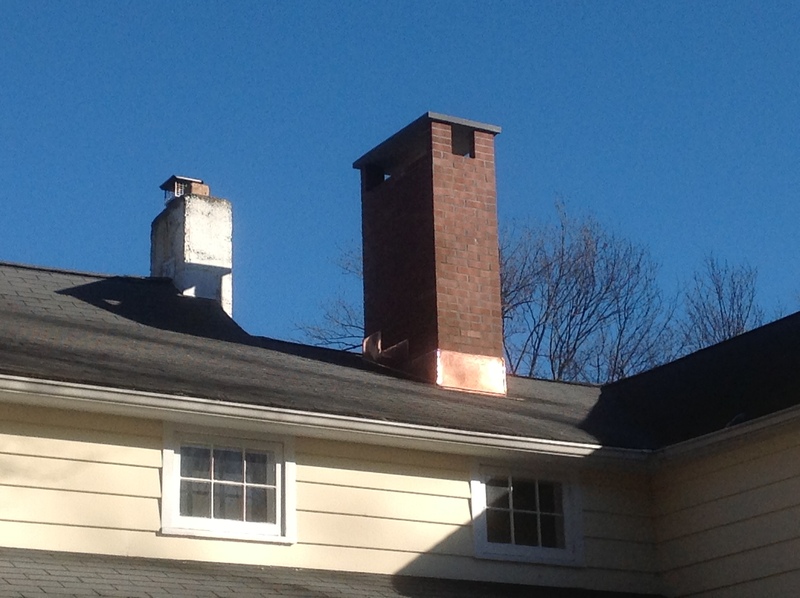 Solution: Downspout run-off discharge installed to pipe water away from building to the water retention area. 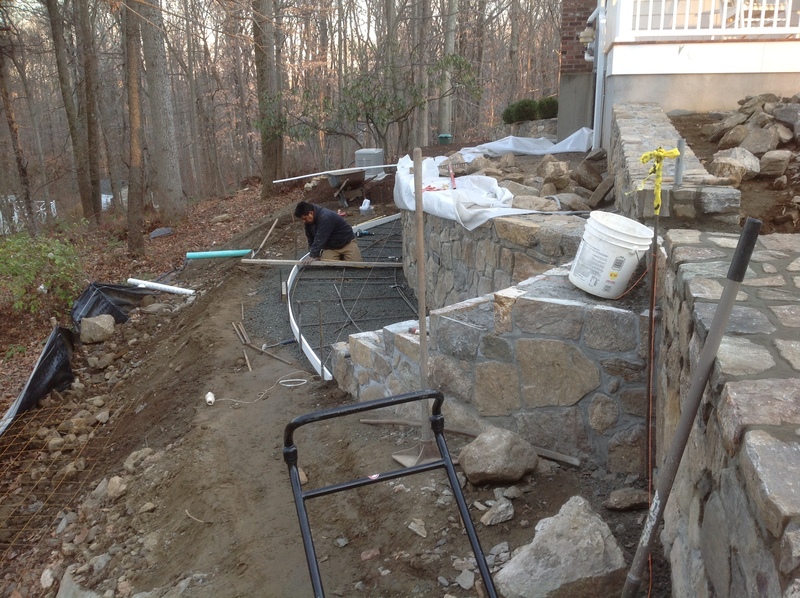 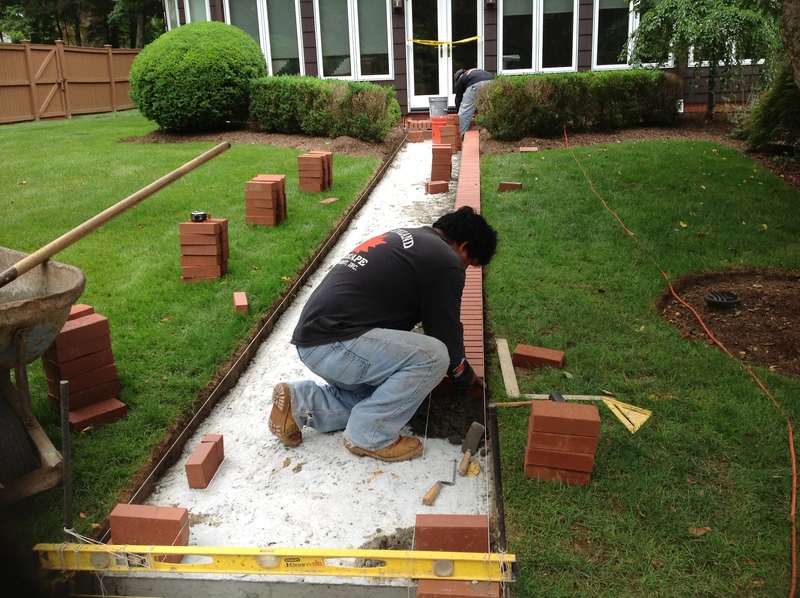 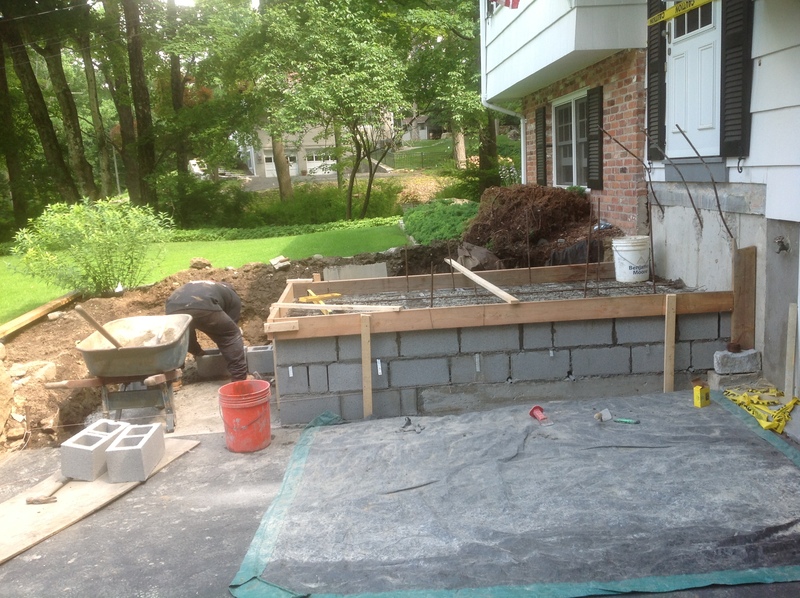 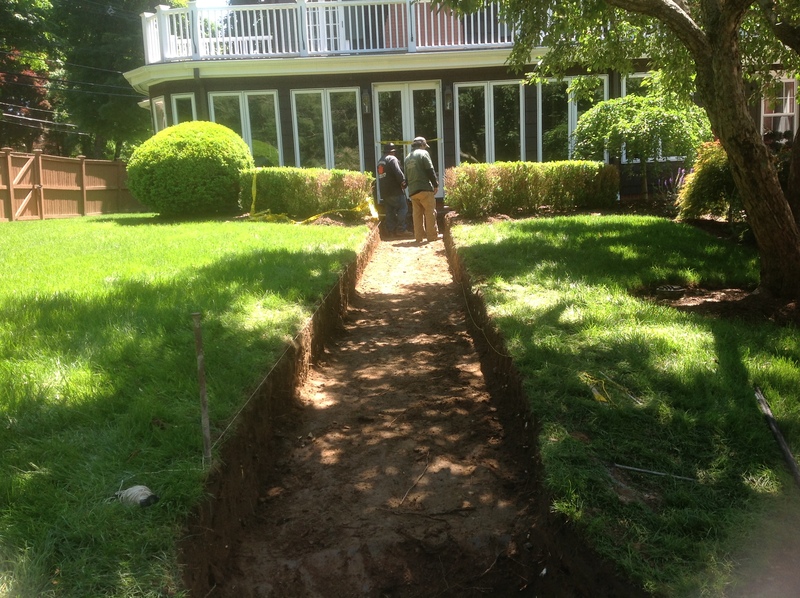 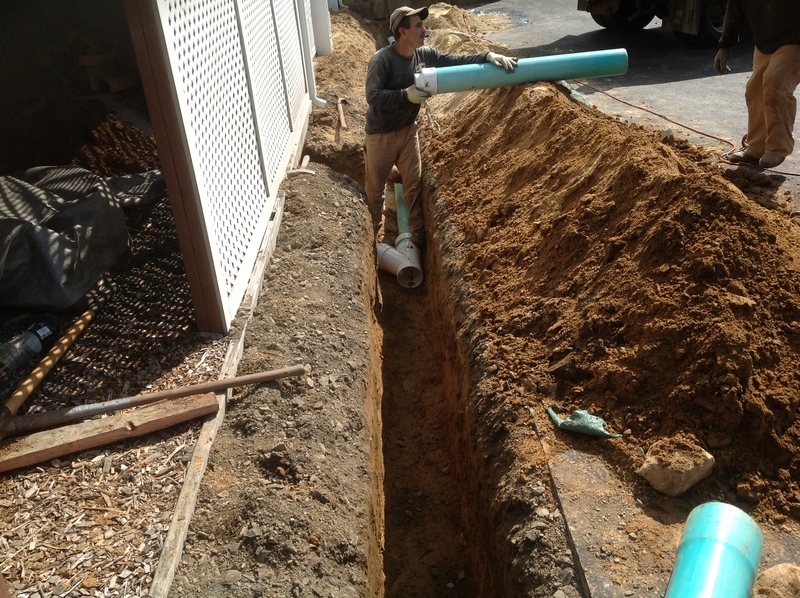 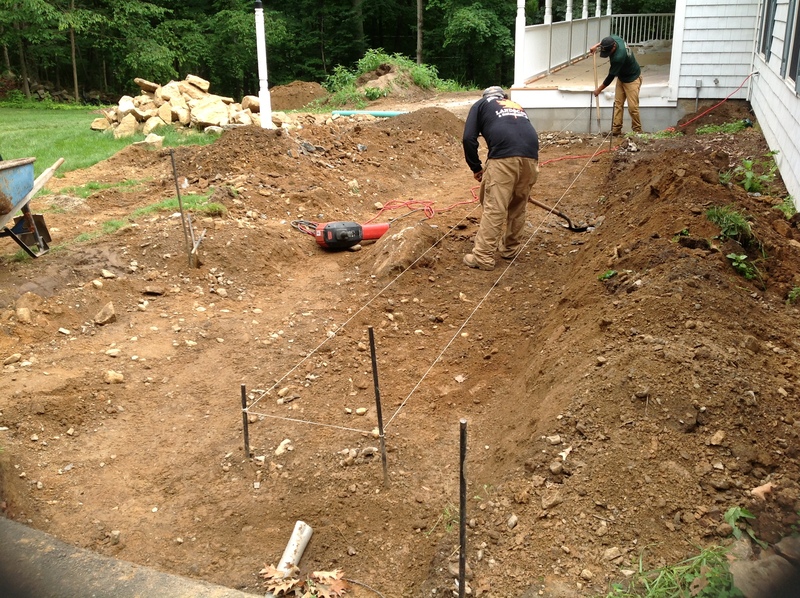 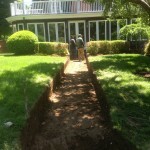 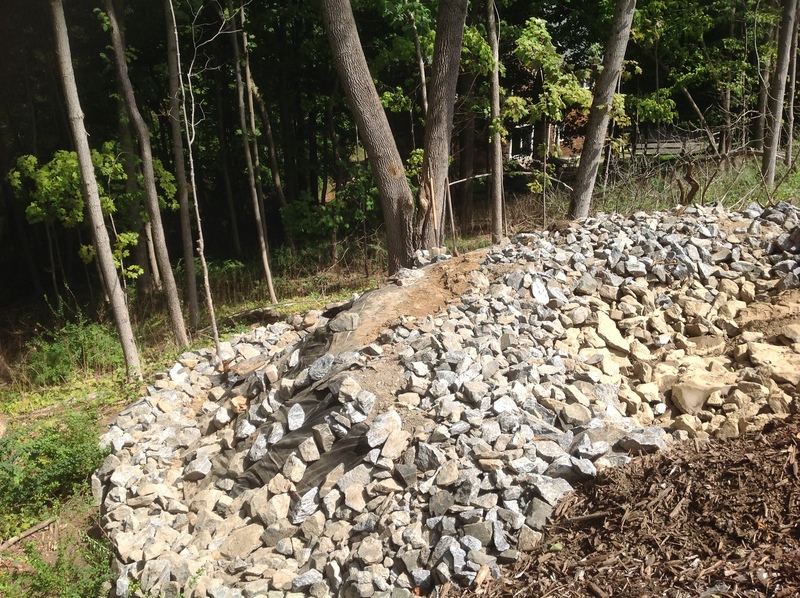 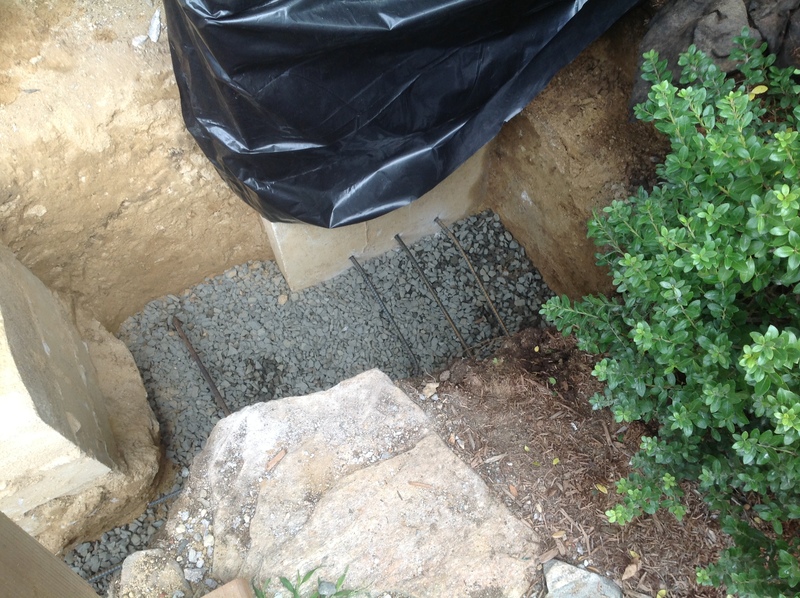 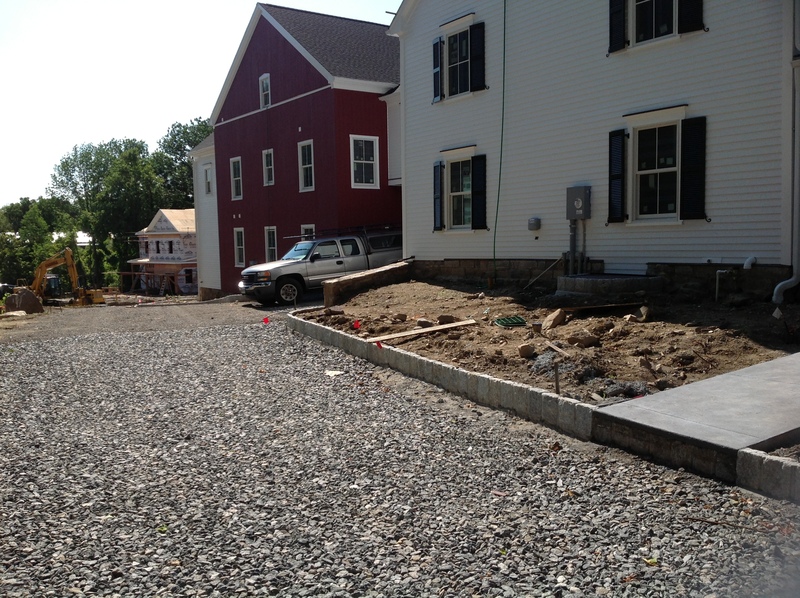 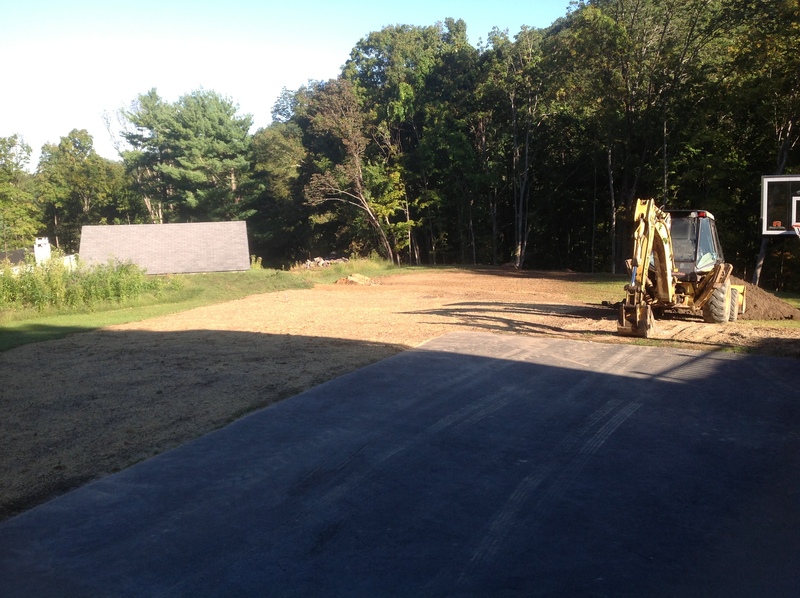 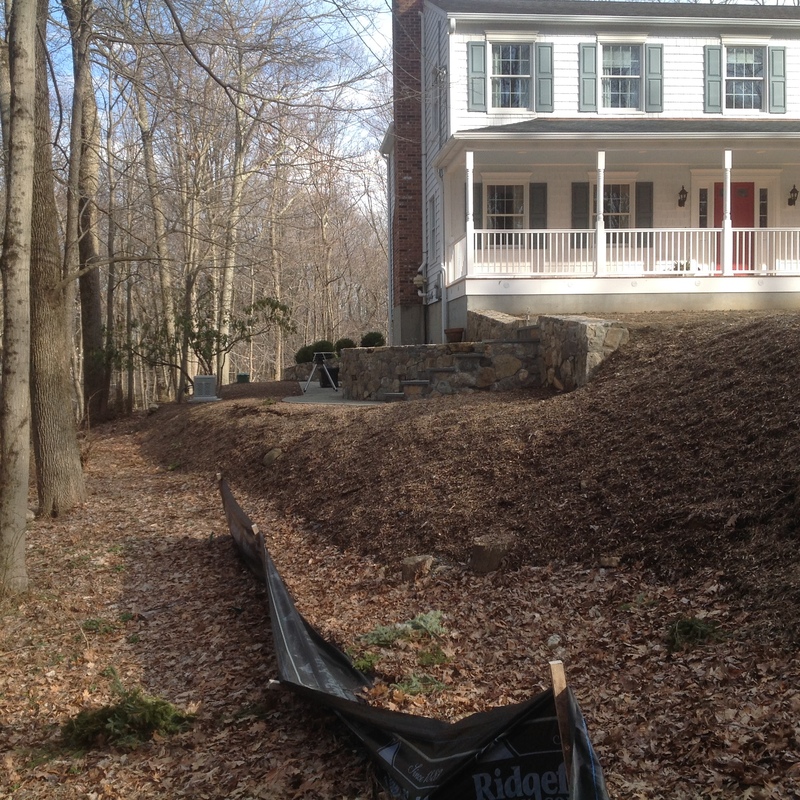 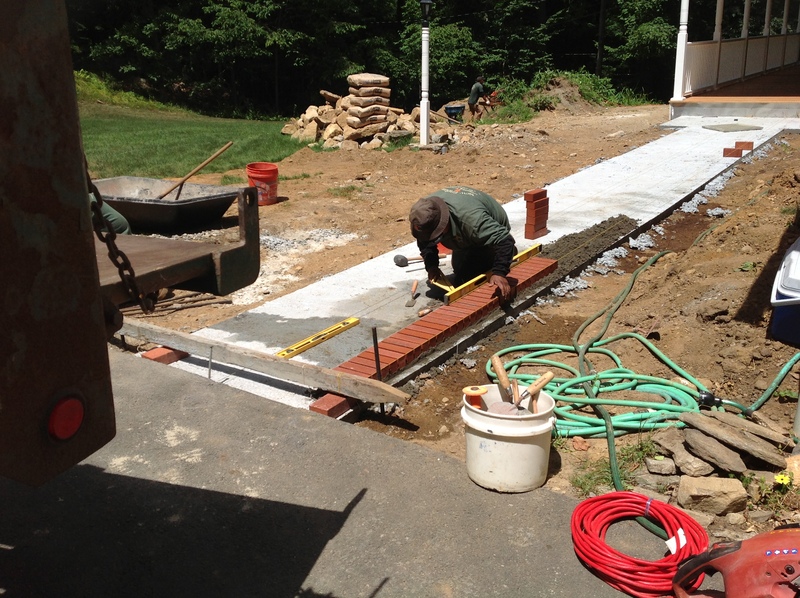 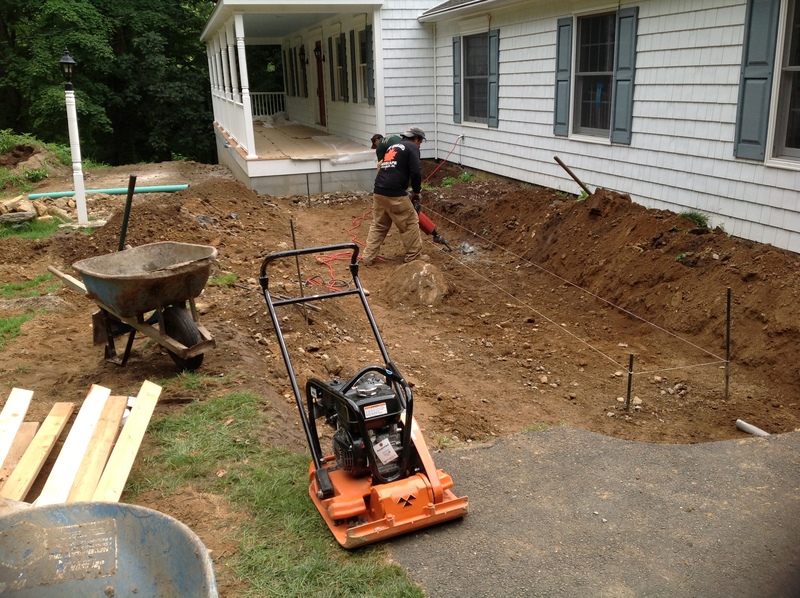 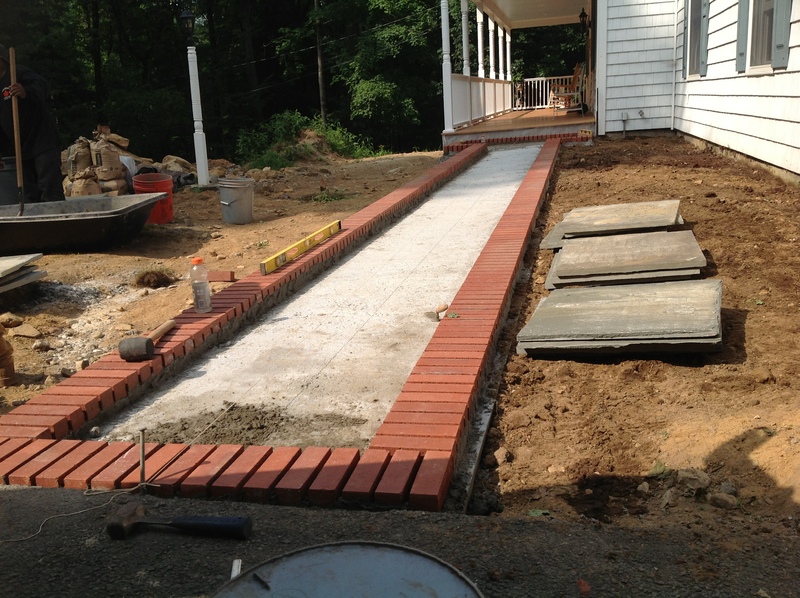 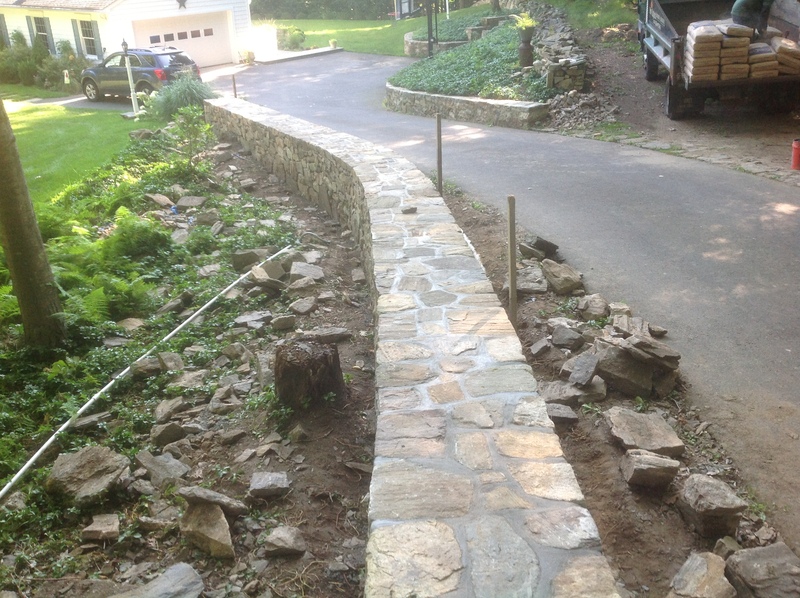 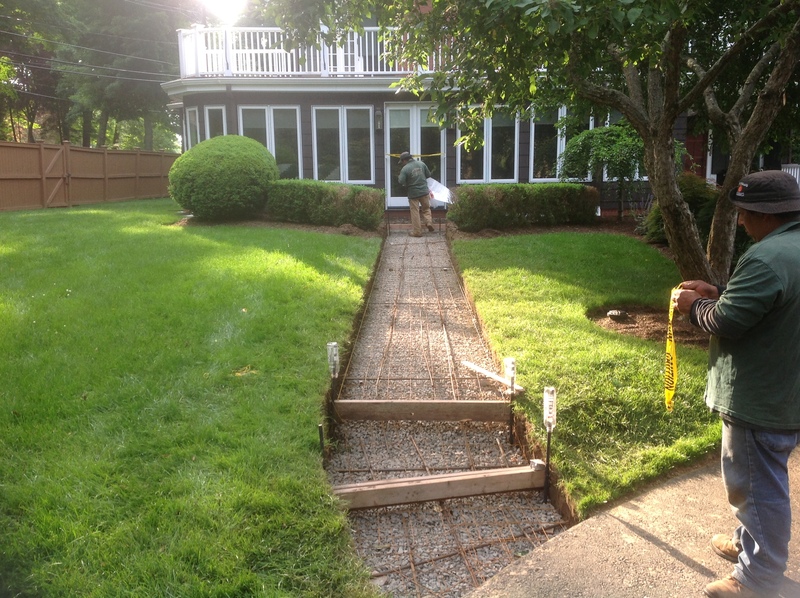 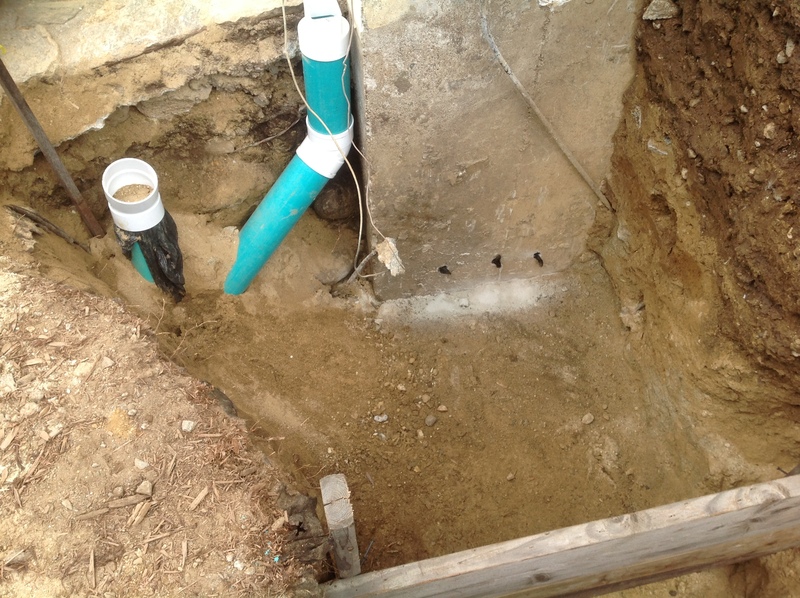 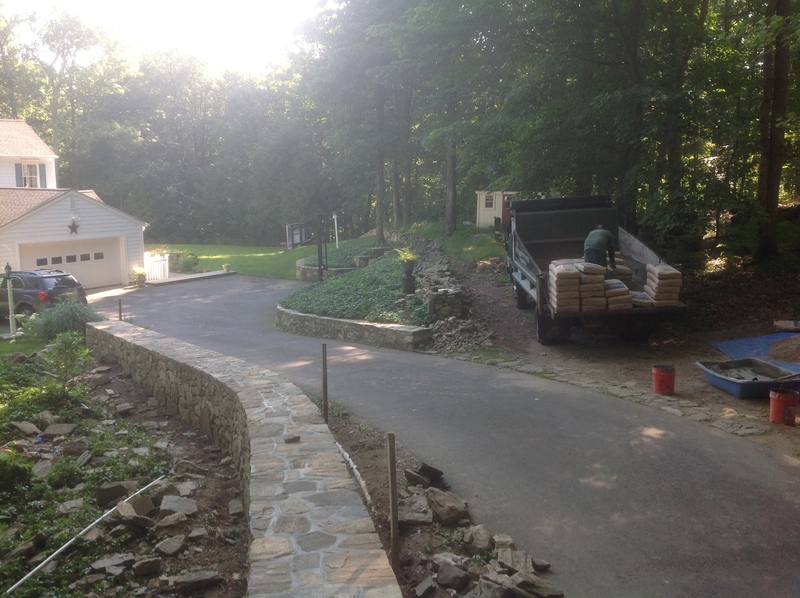 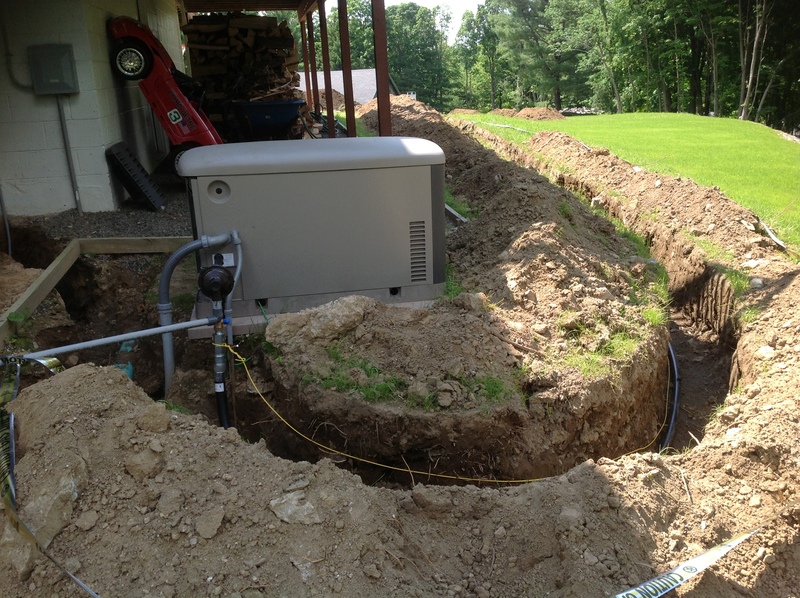 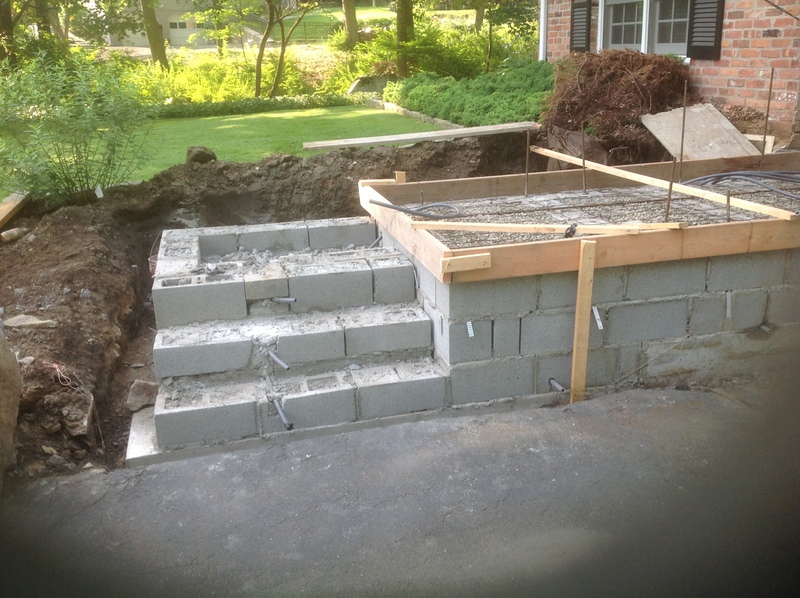 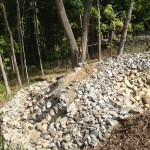 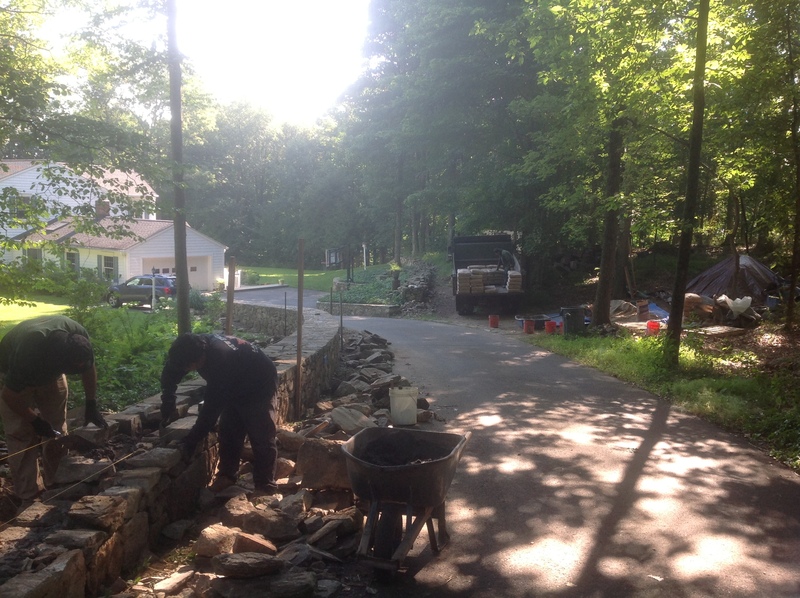 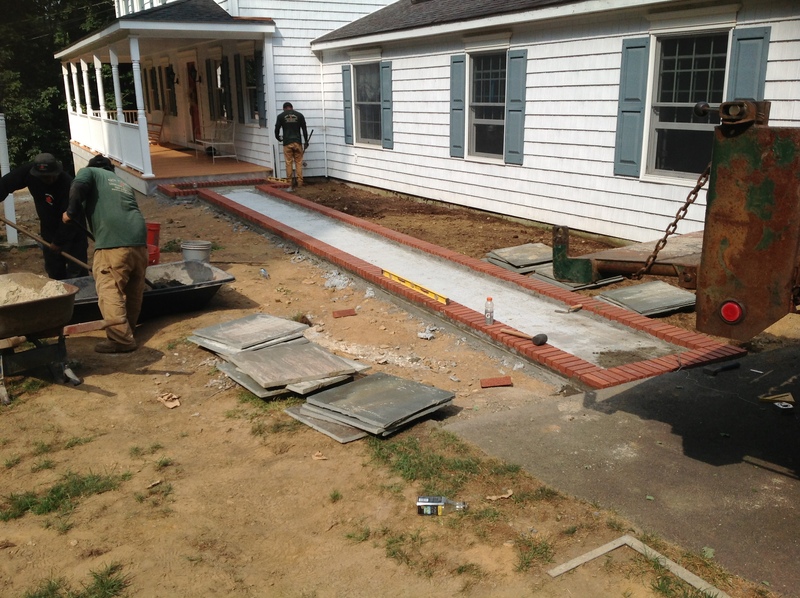 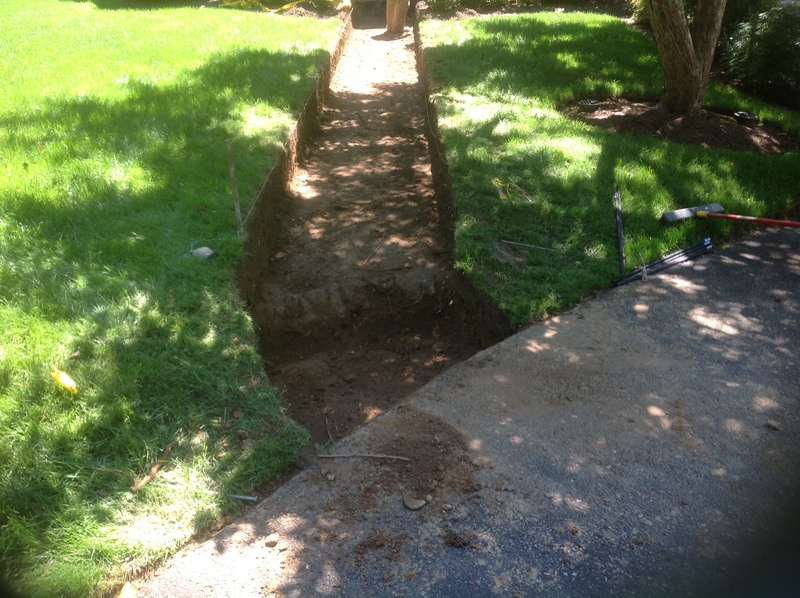 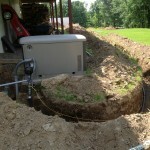 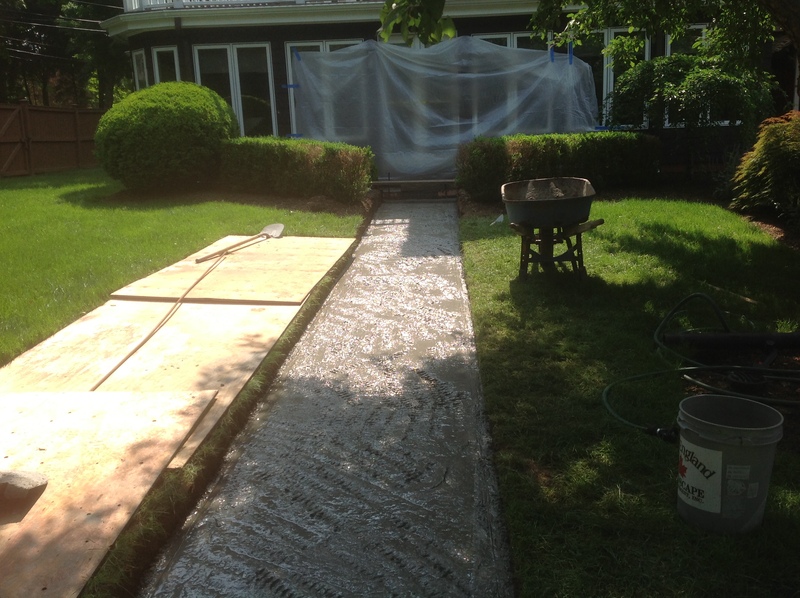 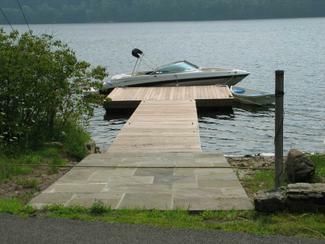 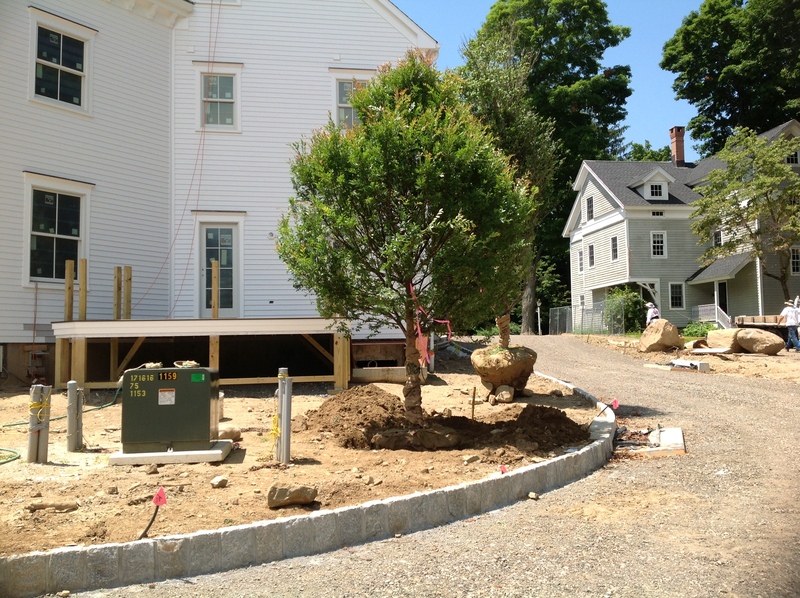 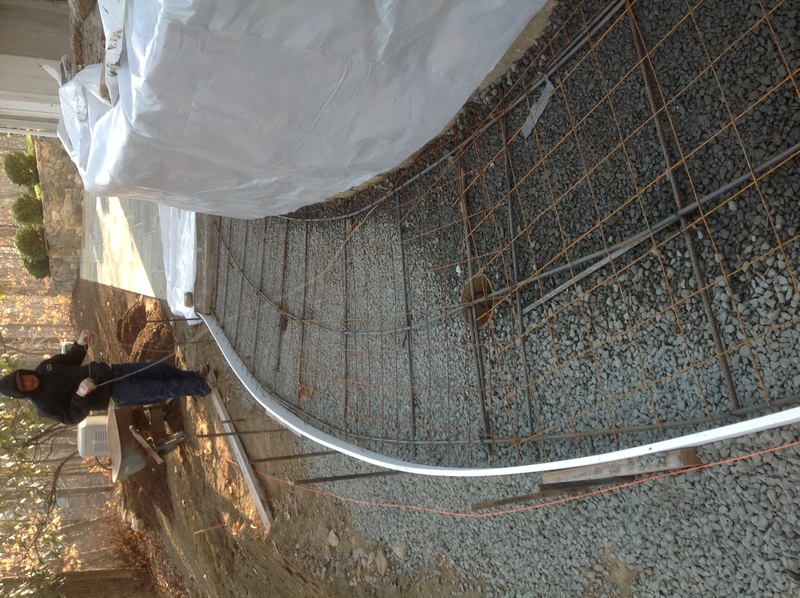 We installed discharge line under existing retaining wall and under the driveway. 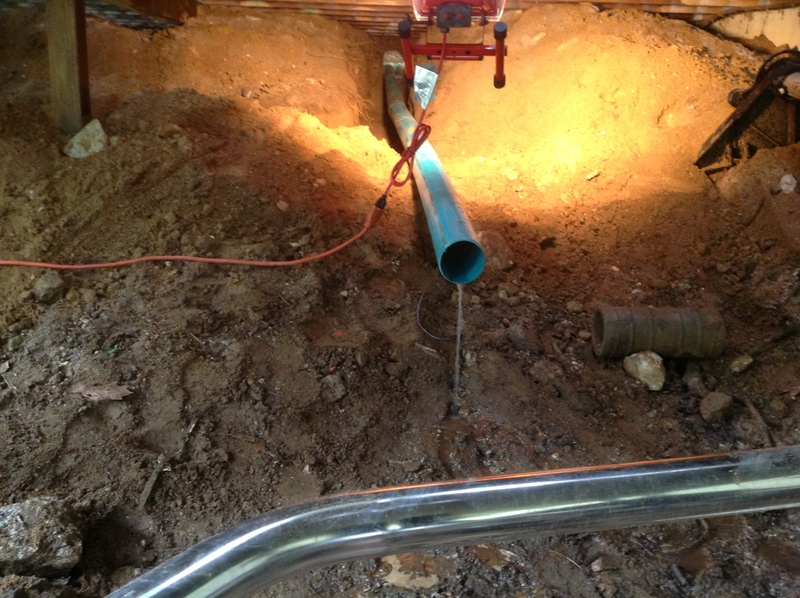 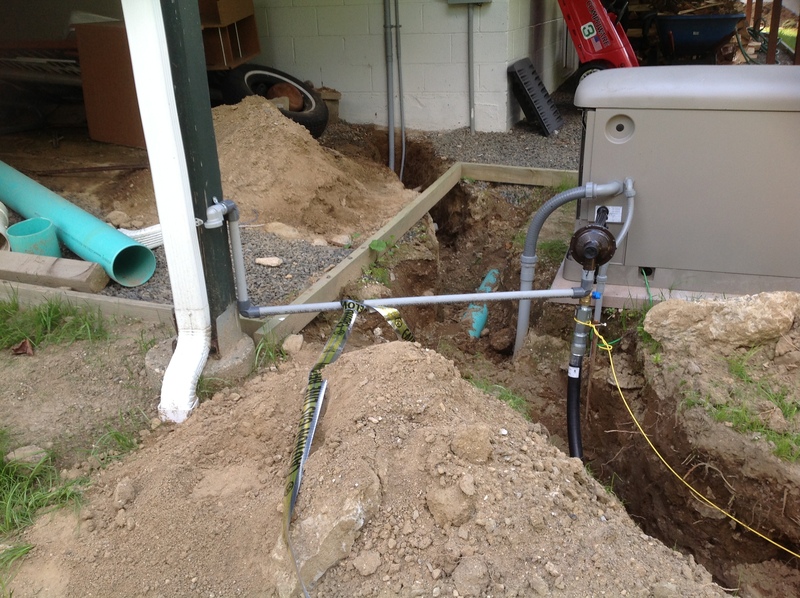 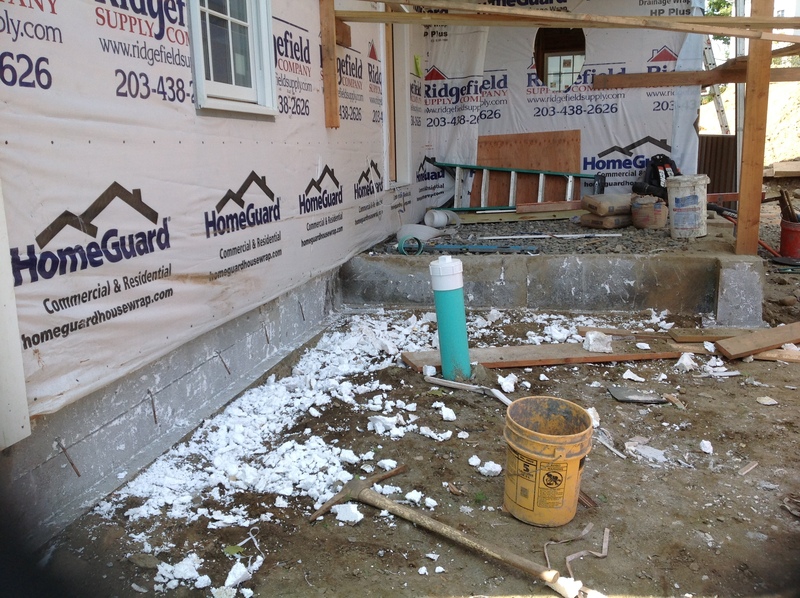 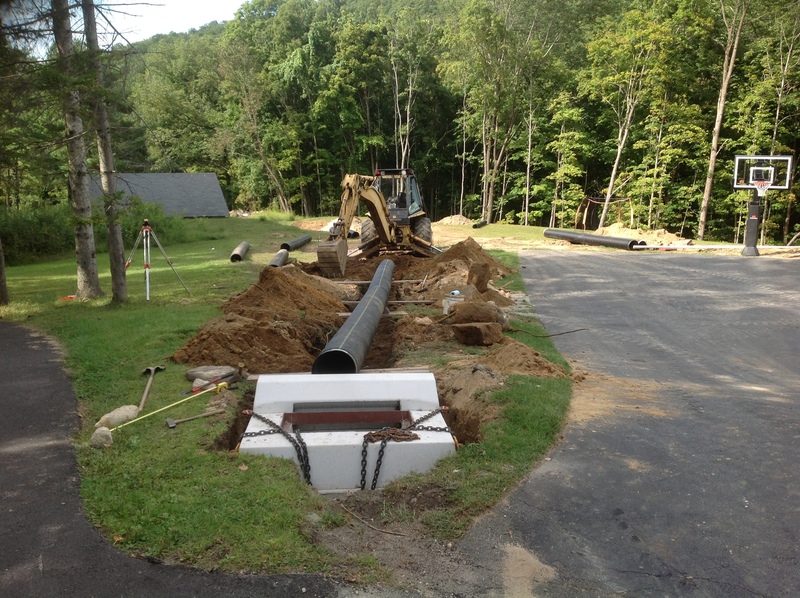 For the water in the basement we installed a downspout discharge under a pre-existing wall and porch and tied into a 6″ discharge created for future pool patio 2015/2016. 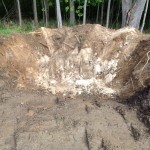 Problem: Surface run-off from the road creating large scale erosion. 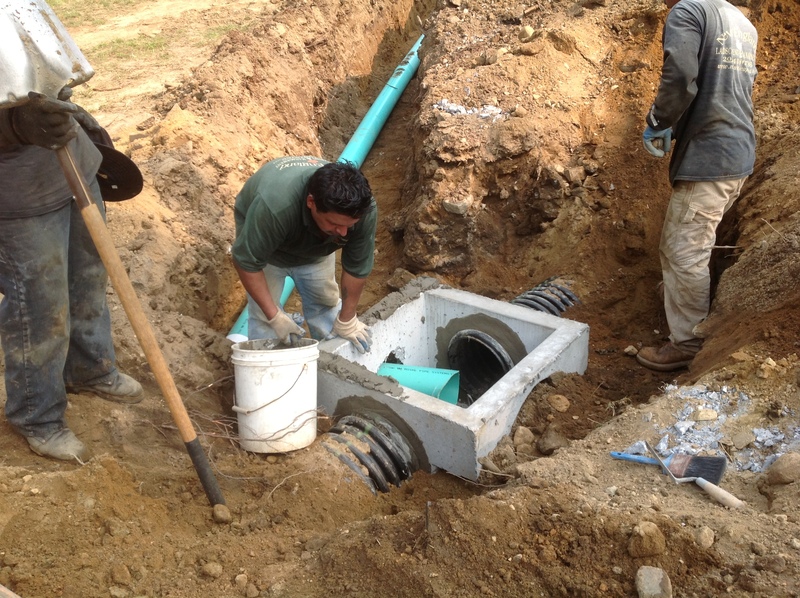 Solution: Install large scale catch basin with discharge line to a newly created water retention area. 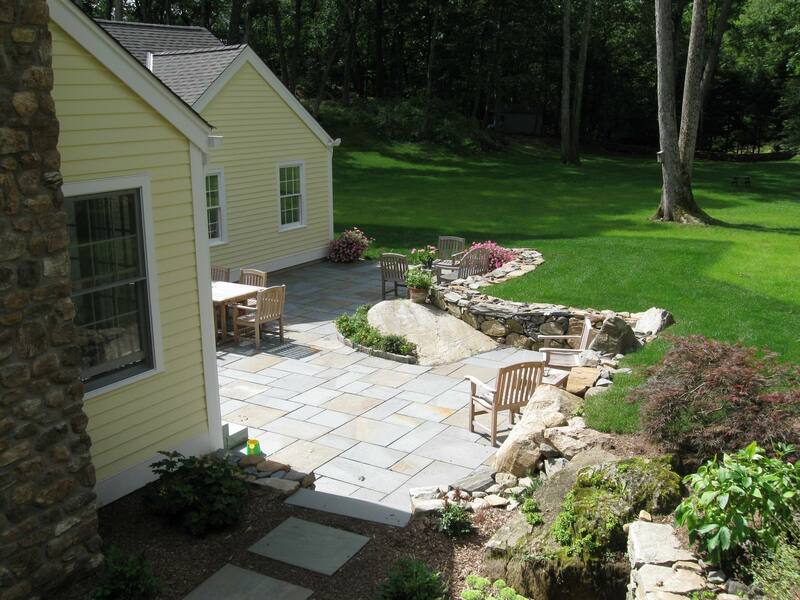 Copyright 2016 New England Landscape &management, Inc.